I am a freelancer now, working for journal indexing. 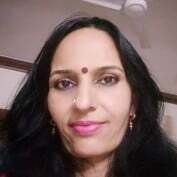 I am an ex-banker, worked for a public sector bank for 17 years and took VRS in 2001. Cooking is my passion. I love to cook natural, healthy and tasty food for my family. I like writing small articles and blogs during my leisure time.. I was born and brought up in a village near Udupi, the place where Lord Krishna temple is located. My ancestors were farmers. During my childhood, the fresh produce from the farm was used for cooking meals at our house. The aroma of the fresh, organic fruits and vegetables still linger in my memory. Even now I like to use fresh vegetables in my preparations. I recommend the foods we consume should be natural and healthy. I like to introduce my family to you. I am a mother of two grown up kids, my daughter persuing higher education in a prestigious US college. My son is doing his final year of engineering studies. My husband works for a public limited company. We reside in Bengaluru. Dill leaves falafel is a delicious snack, which is crunchy outside and soft inside. 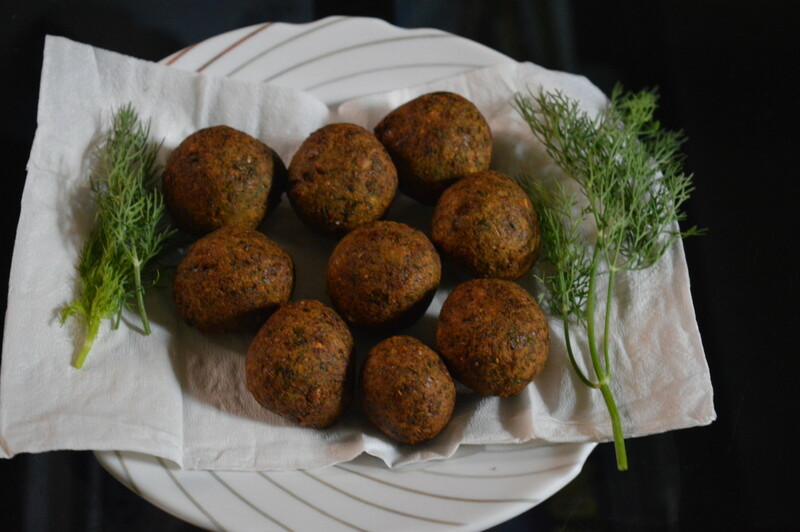 The aroma of the herbs, garlic and ginger used in this dish makes this falafel simply irresistible to munch. 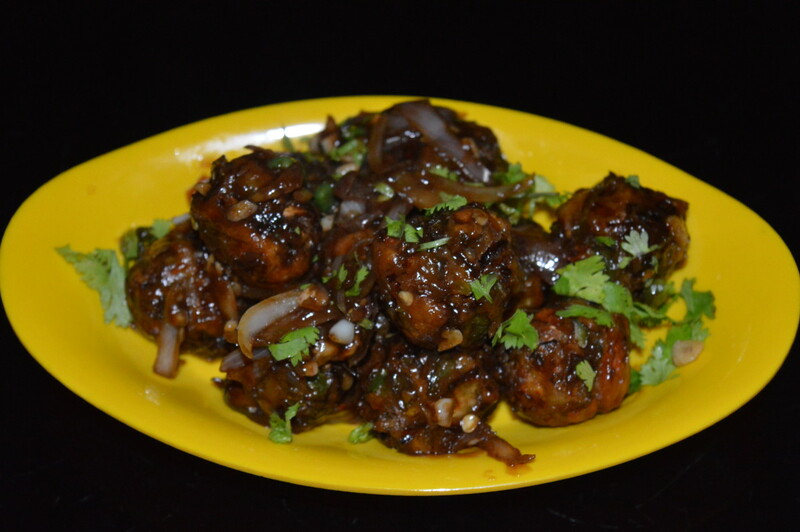 A mouth -watering vegetarian starter which prompts you to lick your fingers. This is a very delicious and flavorful appetizer for a party, and a great finger-food for children and young adults. Vegetarianism is gaining popularity. 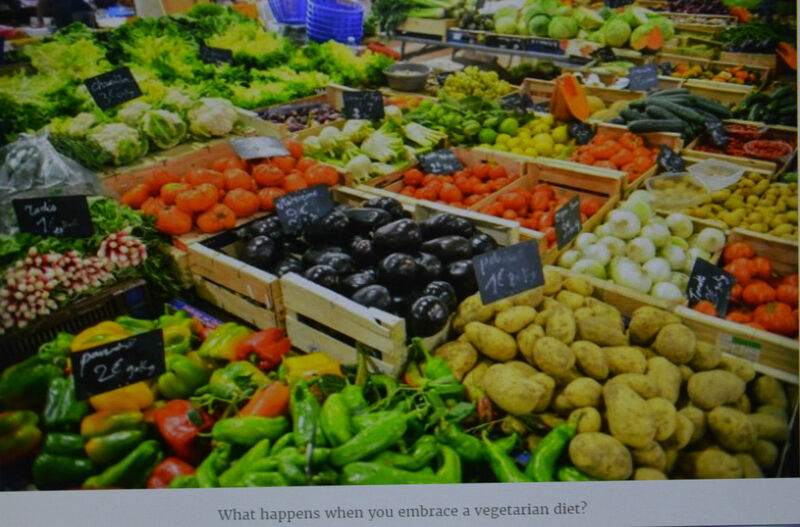 A desire to stop eating meat and live on vegetarian foods is always welcome. Also, the nutrients from the vegetarian diet is considered enough to keep good health. 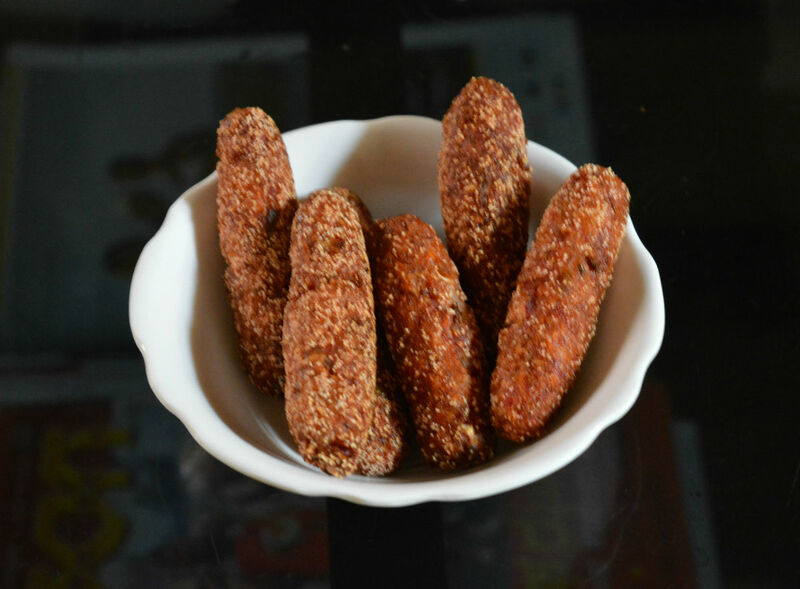 Potato and cheese croquettes are fried snacks that melt into your mouth. The perfect blend of potato and cheese, along with other spices, makes it a great starter or appetizer for parties, as well. 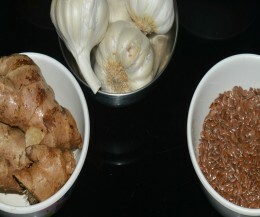 Ginger, garlic, and flax seed I chose as the most wonderful foods which help in maintaining good health throughout our lifetime.They are simple and affordable kitchen ingredients. Vegetable bullets are fake bullets!! which are delicious, crunchy, and store house of nutrients. While eating, numbers are not counted, it just disappears!! A finger food, a great appetizer for parties. Golden-fried baby corn is a delectable appetizer that you can make in a jiffy. This is one of my favorite snacks, and I love to make it during the holidays or when guests come to visit. These sweet and crunchy corn fritters are my favorite. Whenever I make this treat, they vanish in no time. I often get attracted to steamed snacks because they are mostly oil-free and healthier. 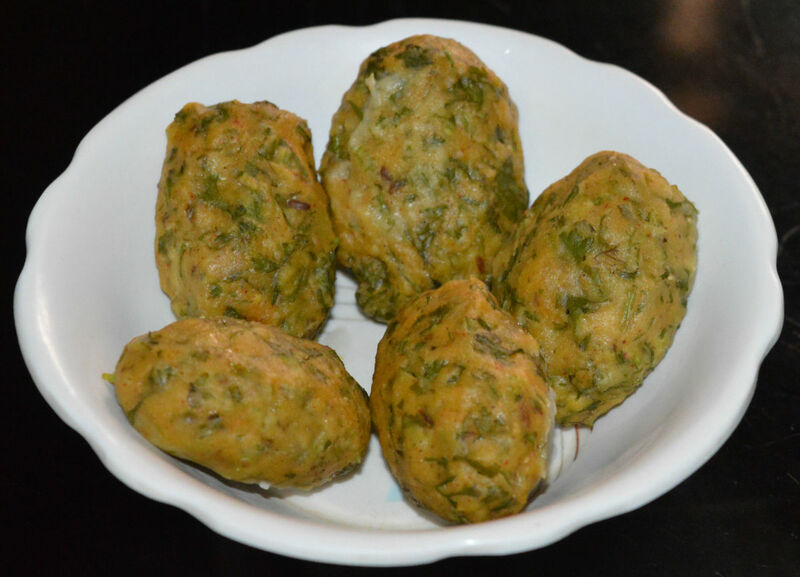 Coriander chickpea flour balls (Kothimbir Vadi) belong to a similar variety. In this, you have the freedom to eat them directly after steaming or eat them after shallow-frying. They taste good both the ways. 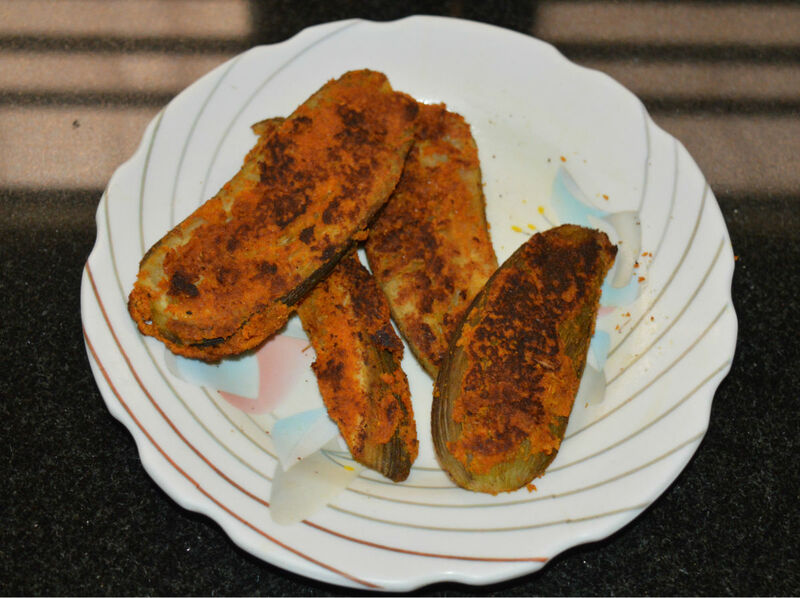 Eggplant is one of my favorite vegetables, and I make many different snacks with them. But these savory eggplant fritters are special. Crunchy on the outside and spongy on the inside, they have an amazing texture and aroma. 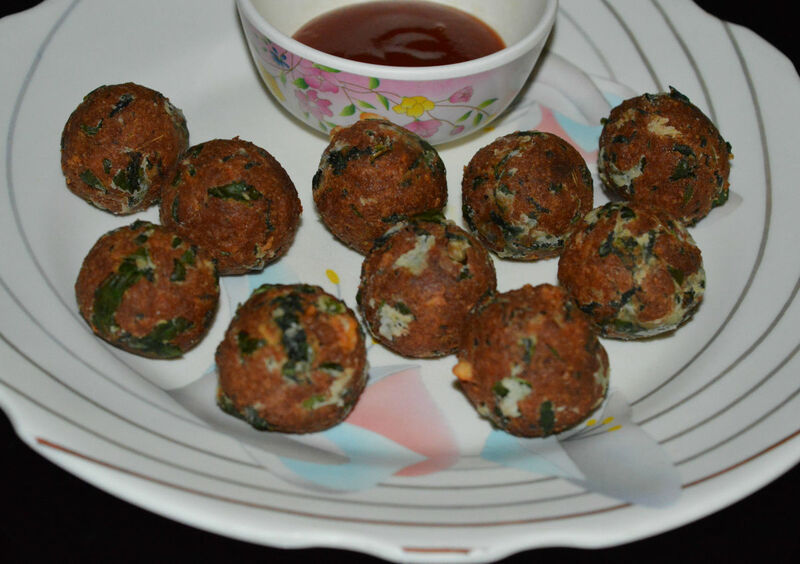 Spinach, paneer, and cheese balls are scrumptious appetizers which are not only delicious but even simply melt in your mouth. 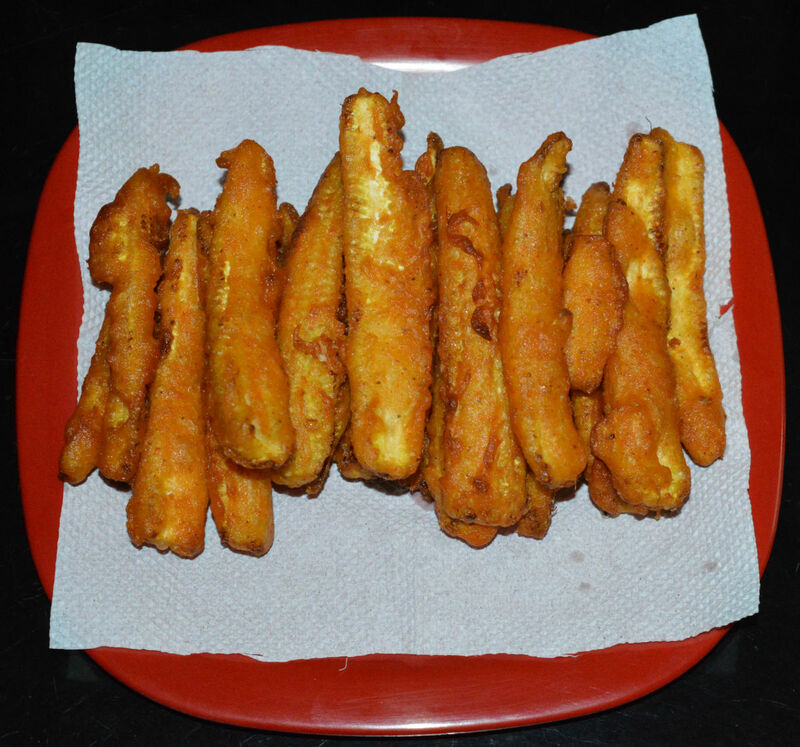 I made this quick and easy snack at home and served them with tomato sauce. They were super hit! 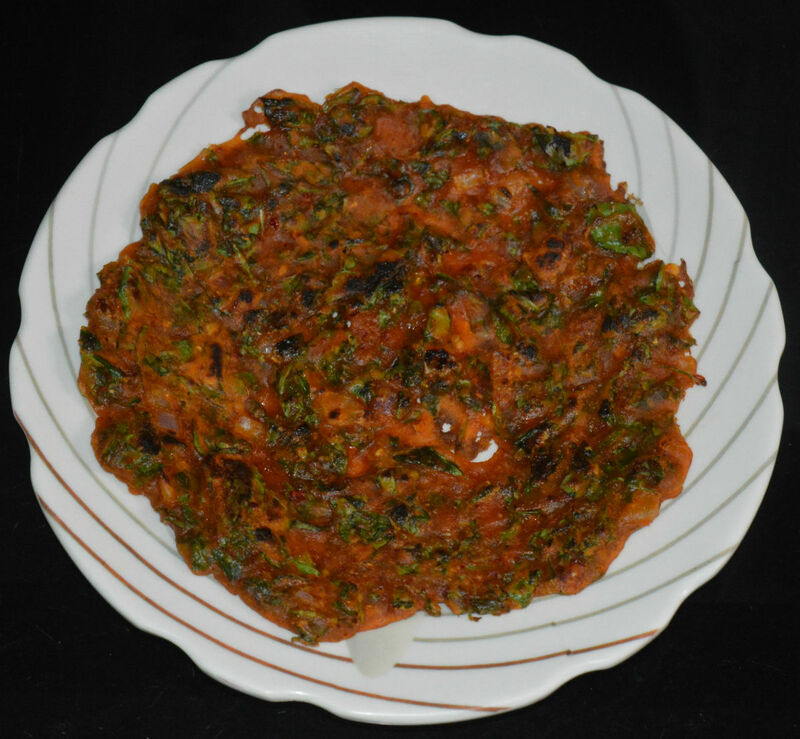 Methi thepla is a type of Indian flatbread made with fenugreek leaves and wheat flour. The various spices used in this savory flatbread make it delicious and flavorful. 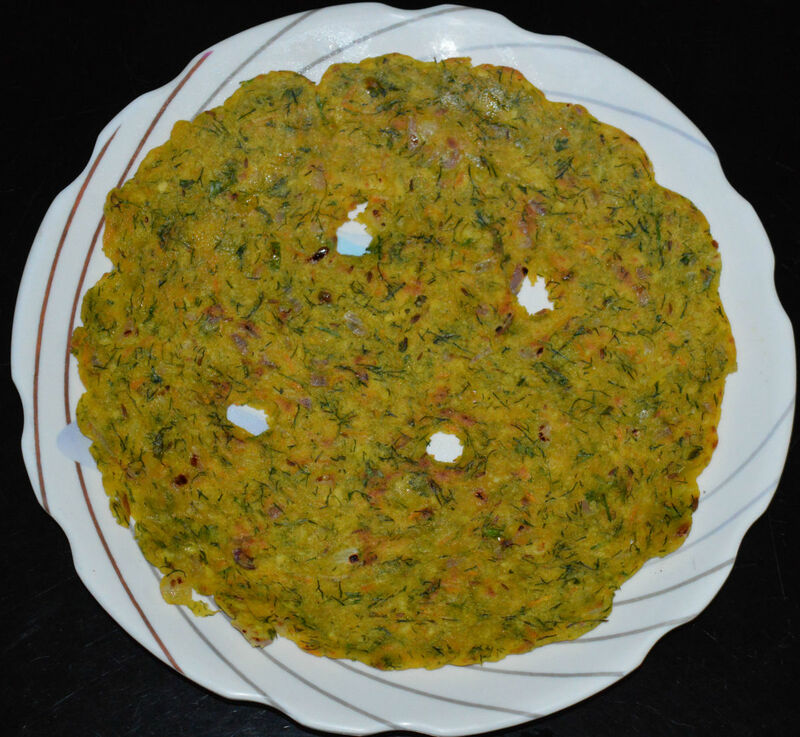 Methi thepla stays fresh for many days, which makes it a favorite snack for travelers. The potato may be one of the most popular vegetables in the whole world. They are not only delicious, but they are also nutritious. 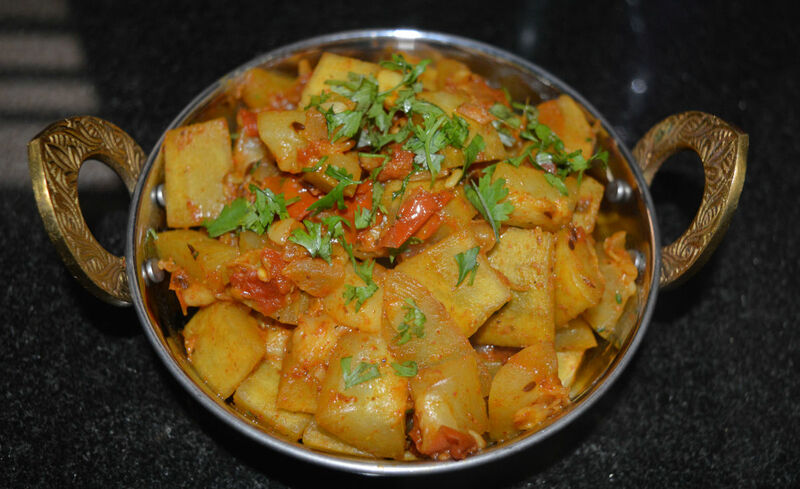 This potato curry is a quick and easy side dish that goes well with roti, chapati, poori, or any flatbread. 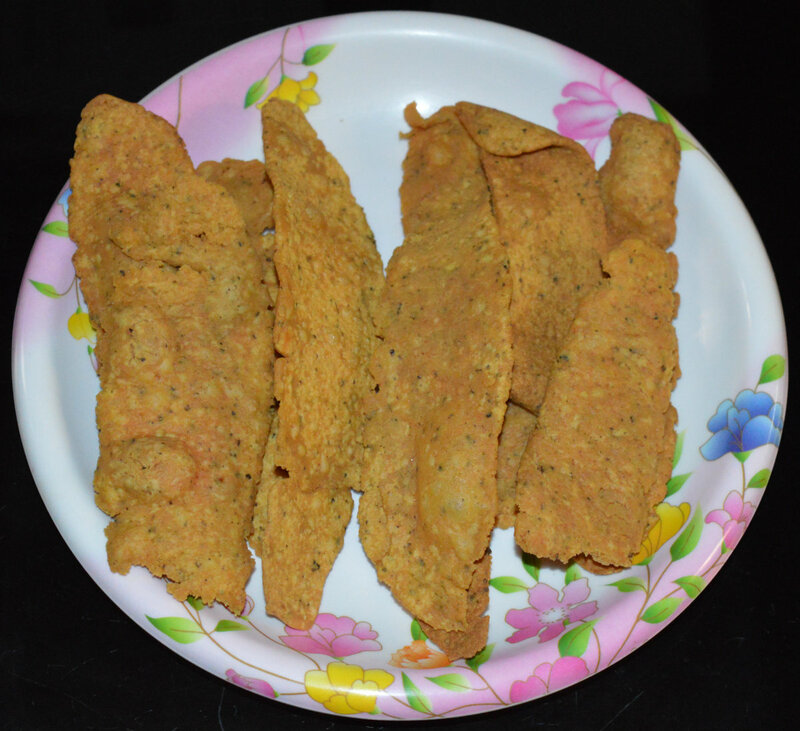 Fafda is a popular Gujarati street snack. It's easy to make this snack at home for teatime—or any time. The main ingredient is chickpea flour. Chickpeas are a good source of vitamins, minerals, protein, and fiber. 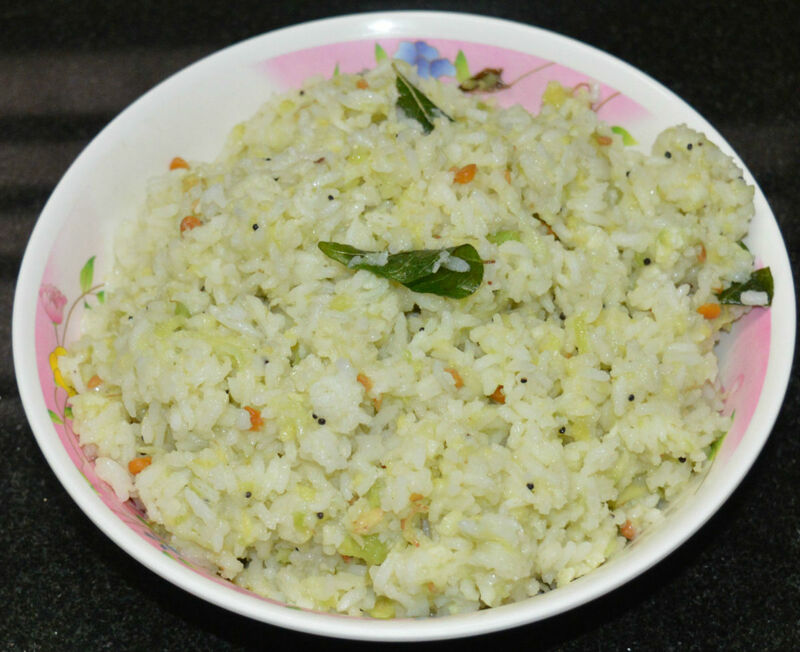 Upma is a popular Indian breakfast dish. 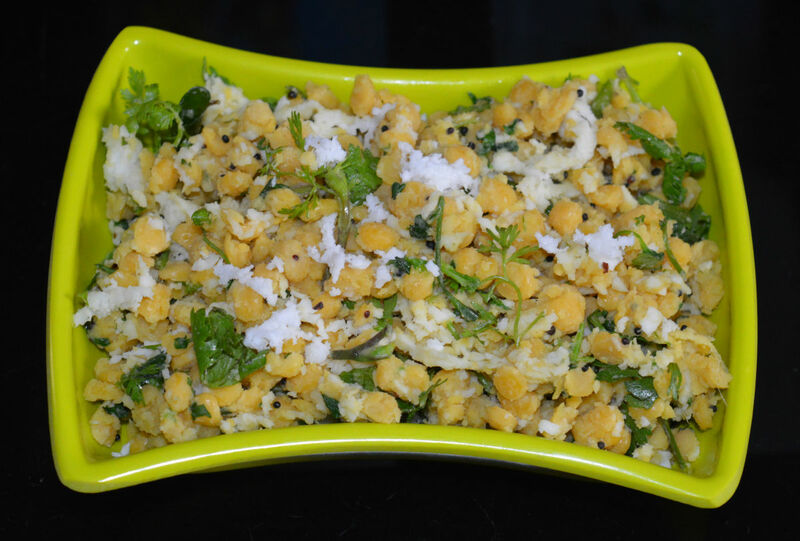 Instant upma mix is a pre-made mix that allows you to make this meal instantly, simply by adding boiling water. You can also add boiled vegetables to make the meal more nutritious. Bottle gourd, or lauki, is a tasty vegetable that has many nutrients and health benefits. 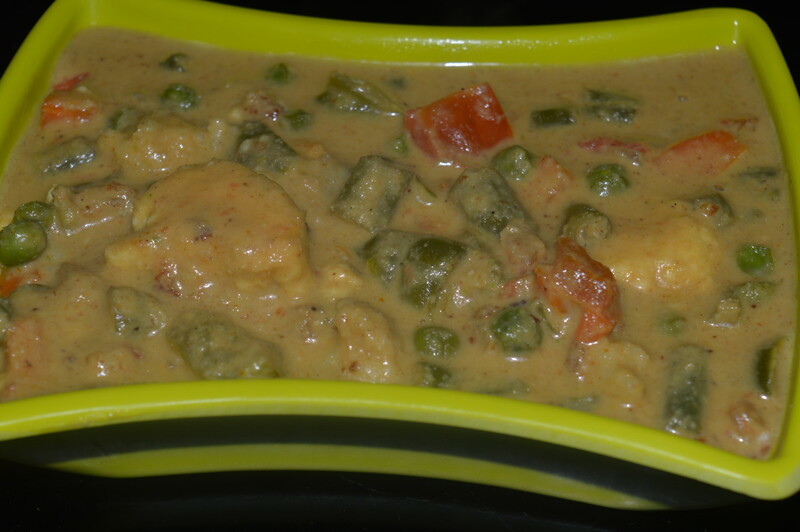 This is a delicious curry with bottle gourd and split pigeon peas (toor dal). 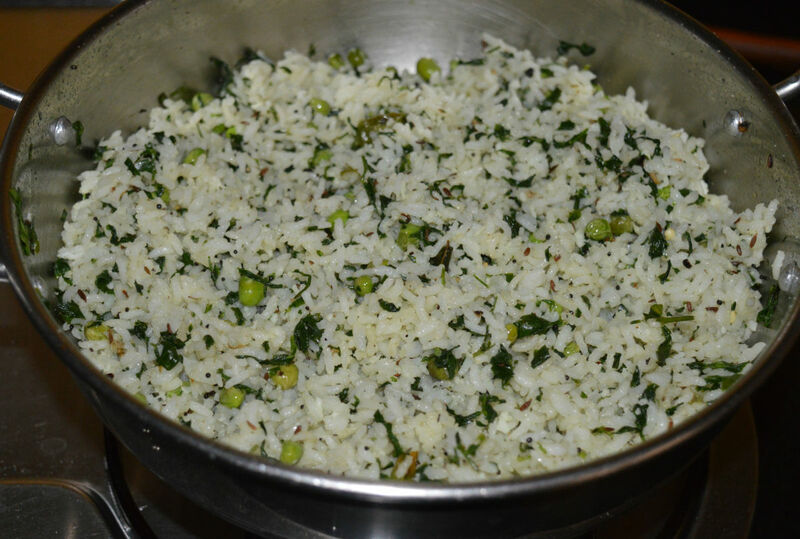 Making mint leaf rice (a.k.a pudina rice or pudina pulao), requires only basic ingredients like mint leaves and some spices. This dish makes a delicious and healthy breakfast, brunch, lunch, or dinner. I made mint leaf rice in about 30 minutes and served it to four people. 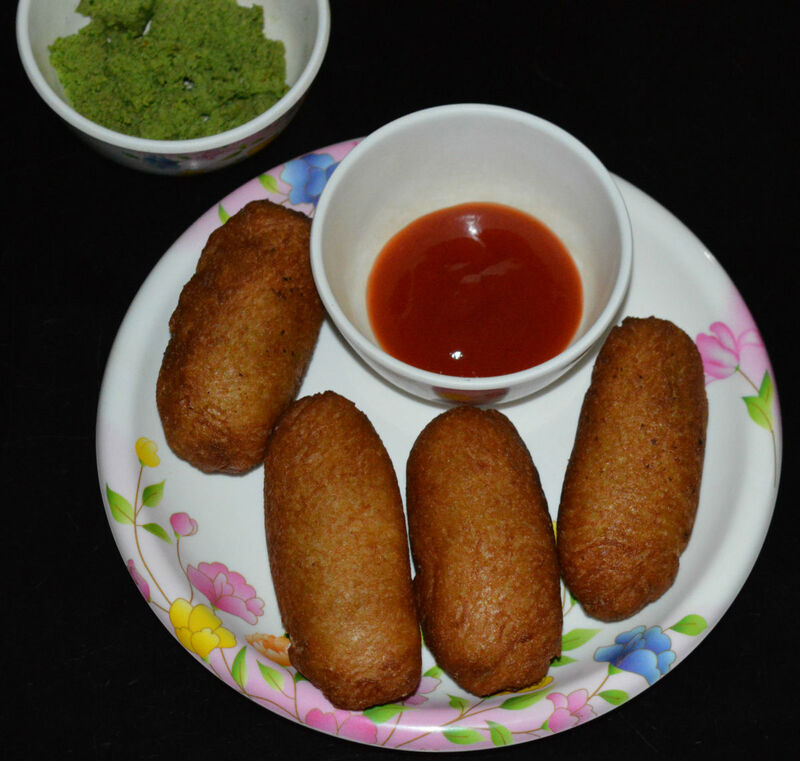 Mini modaks, or ammi kozukattai, are rice dumplings that we traditionally make for festivals. It is an Indian sweet dish that is steam-cooked with coconut, jaggery, white rice, and cardamom powder. 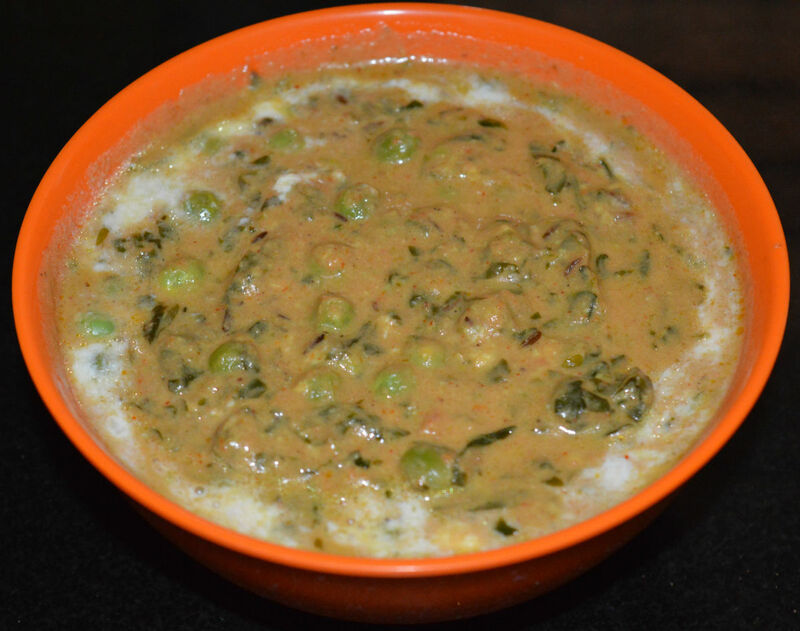 Methi Matar Malai is a creamy side dish that complements all types of flatbread. This curry is nutritious and mouthwatering. The secret of its heavenly taste is the spices, as well as the fresh milk cream. 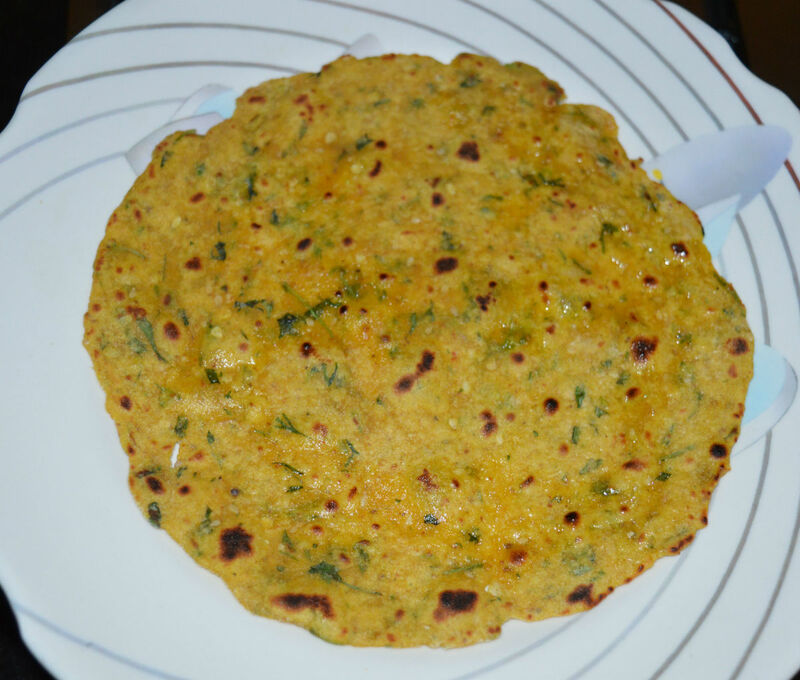 Masala rice roti is a delicious flatbread you can serve to your family for breakfast or dinner. This roti makes a wonderful between-meal snack, too. Try this easy and simple recipe, and savor the uniqueness. Potato rolls are a scrumptious finger food loved by children and adults alike. The recipe needs only a few ingredients and uses an easy cooking method. Serve these rolls as a party appetizer or as an anytime snack. 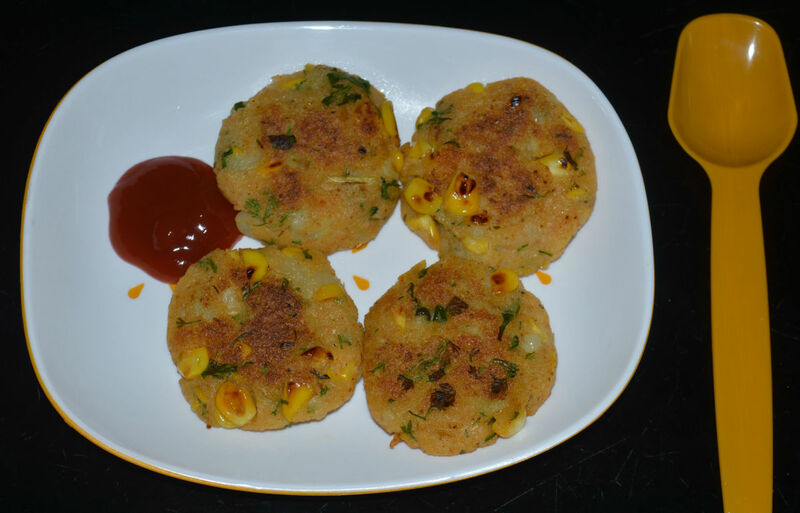 Corn capsicum cutlets are soft, crunchy, and super yummy. Children love to eat them, and they make the best after-school snacks. 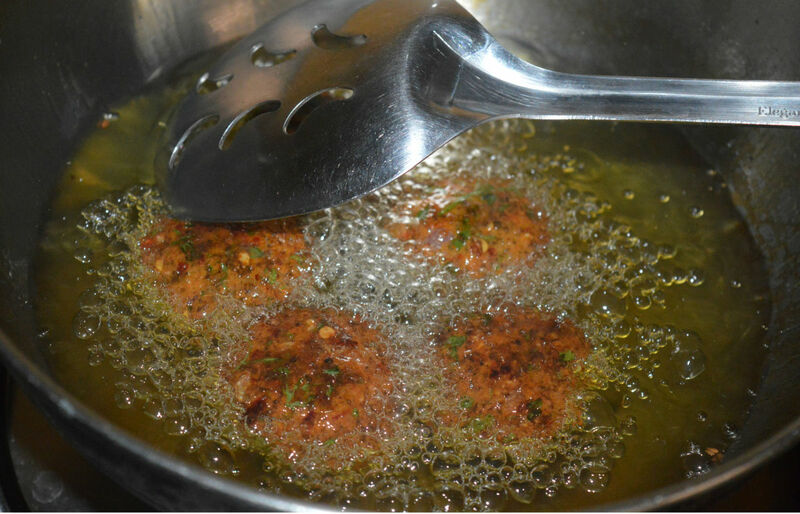 Once you prepare the dough, all you need to do is shallow-fry the patties, and they're ready to eat. 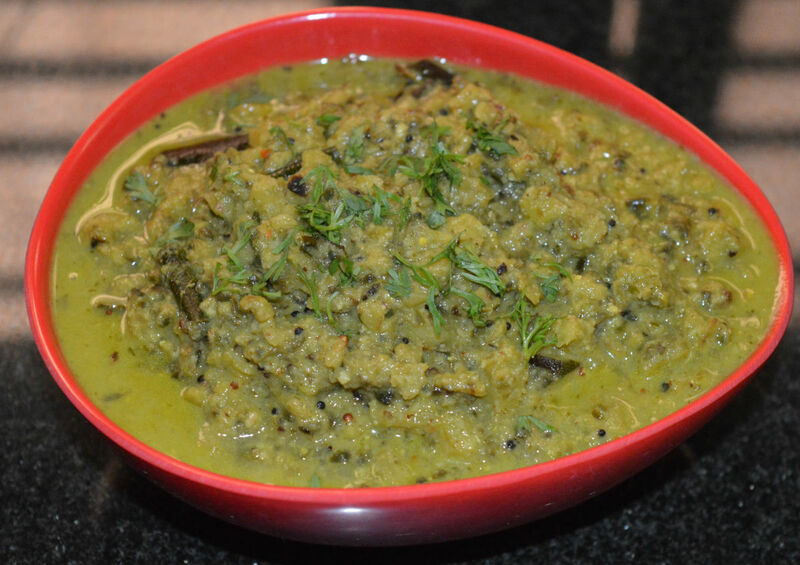 Moong (mung bean) is known for its protein, antioxidants, and fiber content. 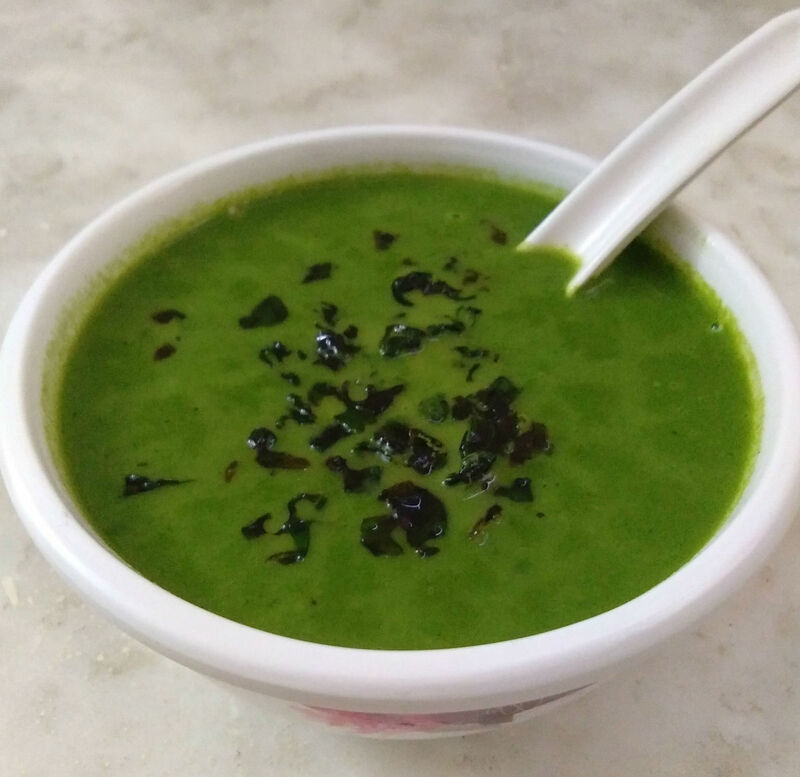 Moong soup is a nourishing soup that is both tasty and filling. Radish is highly nutritious and cooks quickly, but it has a pungent flavor. Radish curry is a spicy yet delicious side dish that you can serve with any type of flatbread. Yellow pumpkins are a tasty vegetable that are available throughout the year. As the name suggests, they are bright yellow. 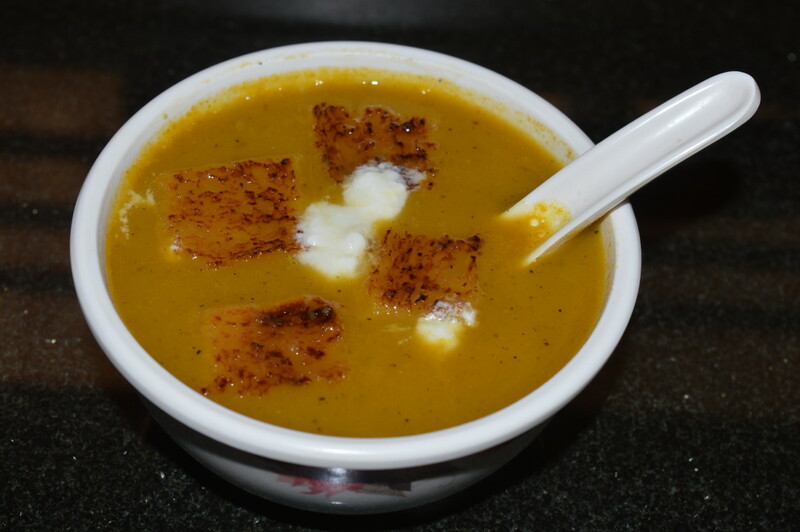 Using its soft flesh, you can prepare many different dishes, including this delectable pumpkin soup. 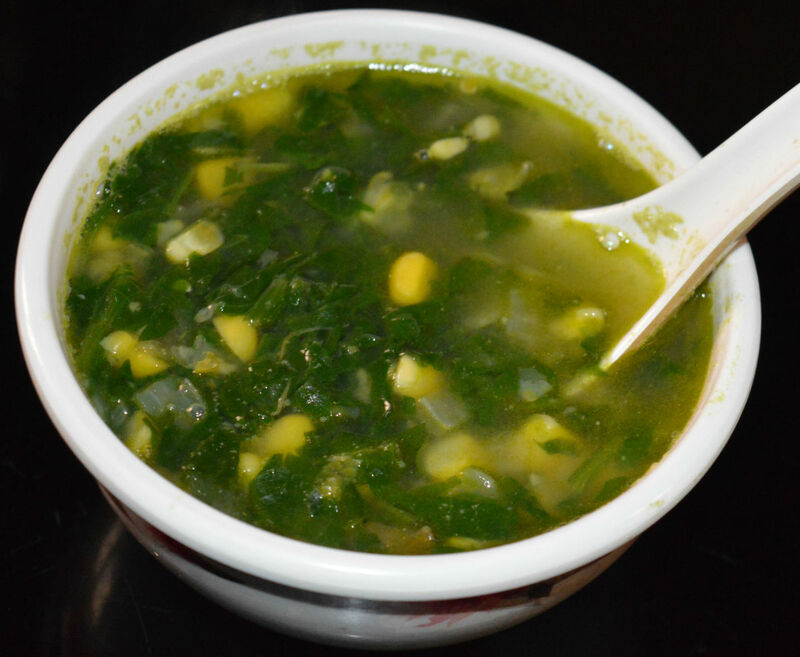 Corn spinach soup is a delectable winter soup. On cold evenings, my family enjoys this mildly spicy soup that features solid vegetable chunks in a clear liquid base. 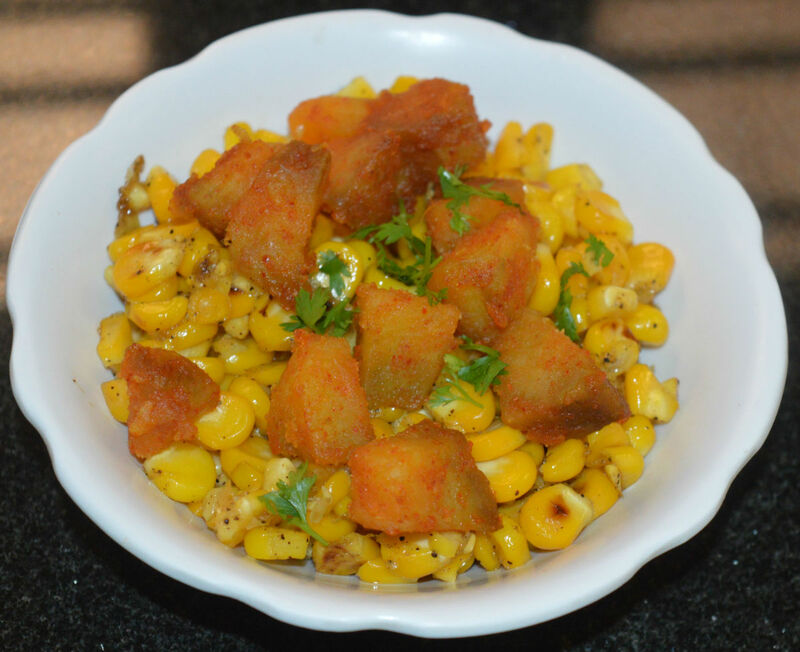 If you are looking for an easy, quick, and delightful side dish, corn methi masala is a great choice! This is a gorgeous side dish that goes well with flatbreads, fried rice, roti, chapati, and much more. 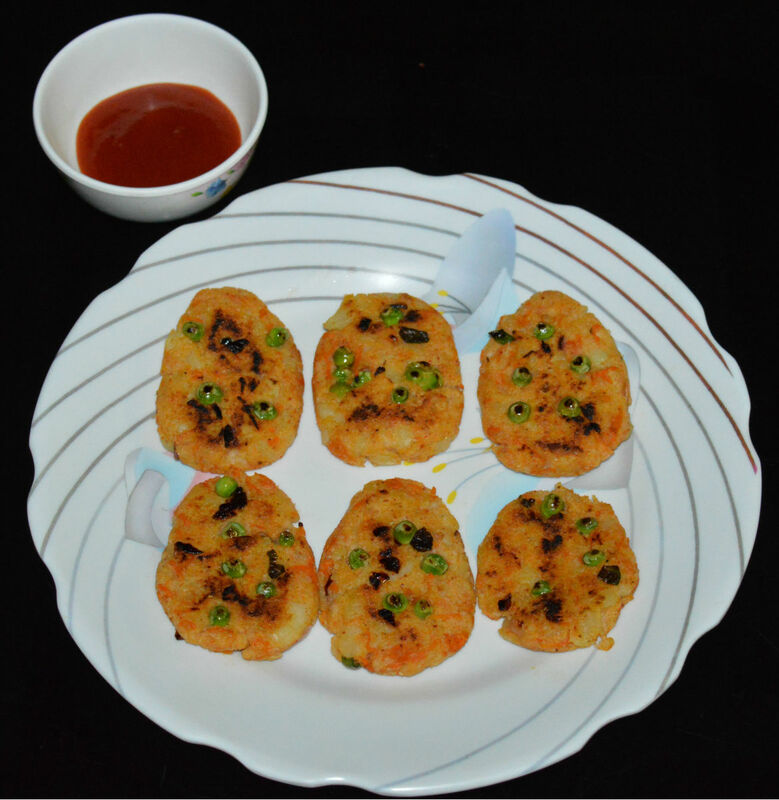 Potato-stuffed pooris make an excellent snack or lunch box food for the kids. 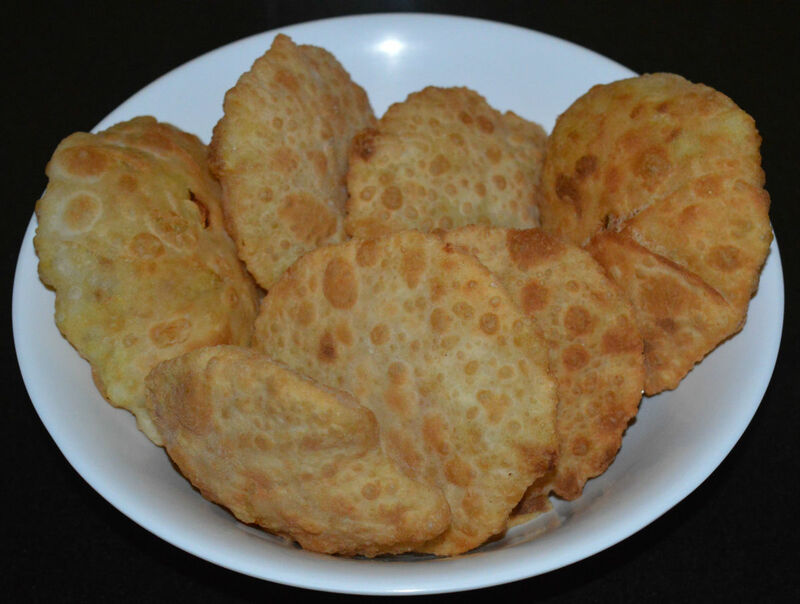 These pooris are bite-sized, flavorful, and very delicious. Children love to eat them! 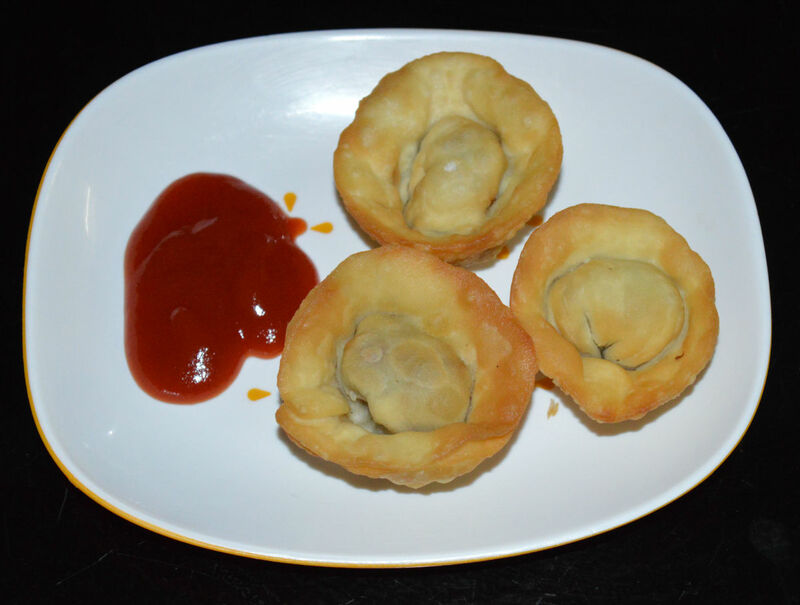 Serve these pooris hot or warm with tomato sauce. Pickles enhance the taste of your meal. Pickled mangoes are one such yummy condiment. I recommend that you try this easy and quick recipe. Moreover, it is mouthwatering too! 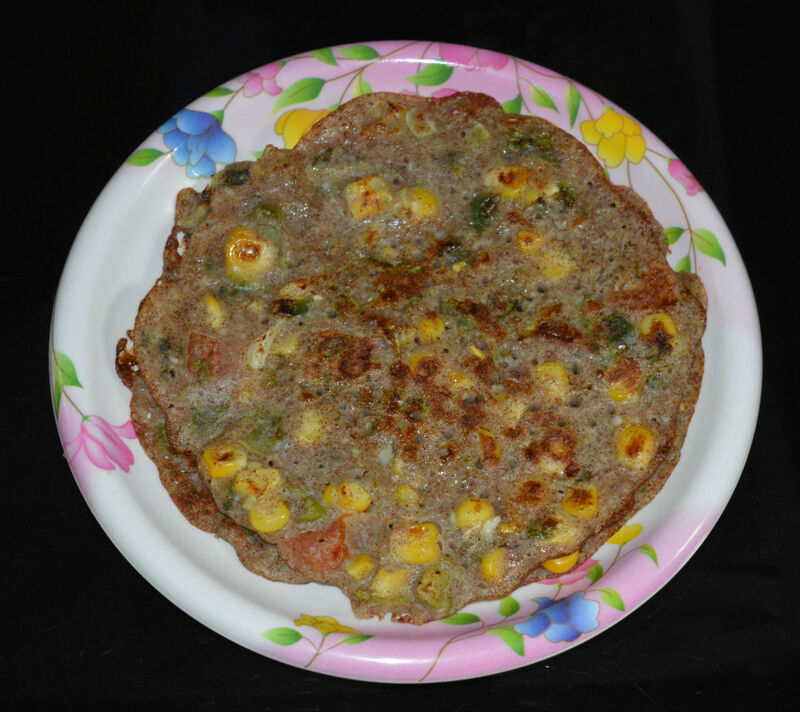 Instant pan handvo is a delectable pancake made mainly with assorted vegetables, semolina, and chickpea flour. They are delicious, crunchy, and nutritious. Serve these slices as they are because they have a balanced, scrumptious taste. I like to make flour and vegetable pancakes for breakfast. They are quick to make. Also, they are healthy due to the many nutritious ingredients in them. I used wheat flour, chickpea flour, potatoes, curds, and a few spices in this recipe. Sweet and tasty, mangoes are a good source of antioxidants. Mango raita (mavina hannu sasive) is a quick and easy side dish you can make in about 15 minutes. This raita is best served with rice, dosa, chapati, or flatbreads. 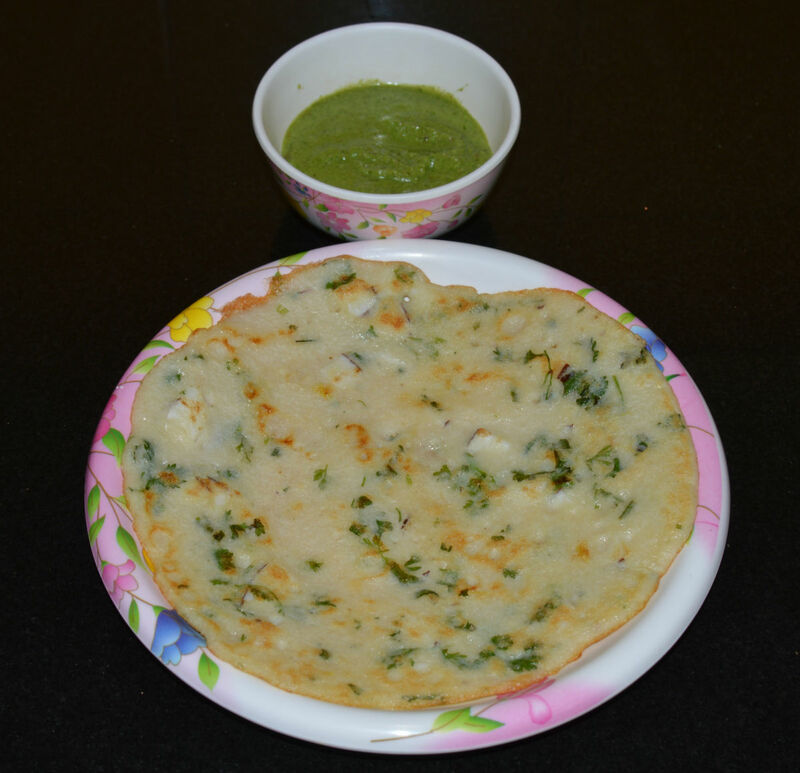 Green banana parathas are stuffed flat breads that have a spicy banana filling inside. They make a mouthwatering and filling breakfast or lunch. Raw bananas are high in fiber, vitamins, and resistant starch. Raw mango stir-fry is a spicy, tangy, and mildly sweet dish that leaves you craving more. Serve it with steamed rice for a delicious side dish. 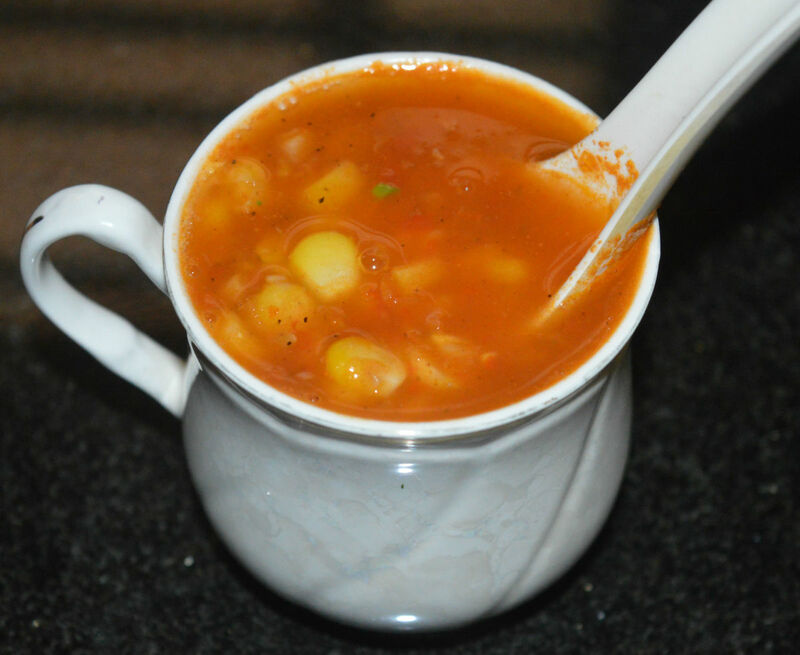 If you are looking for a vibrant, smooth, warm, and palatable soup, consider making this Mexican potato soup. It is truly yummy and classic. It has all the goodness of tomatoes, potatoes, and spices. 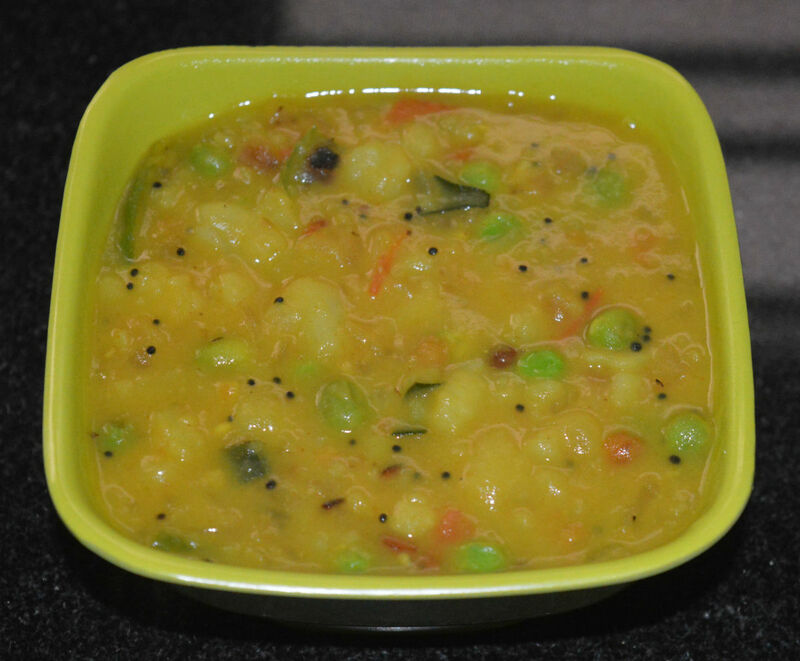 Chutney is a regular side dish served with South Indian breakfast. 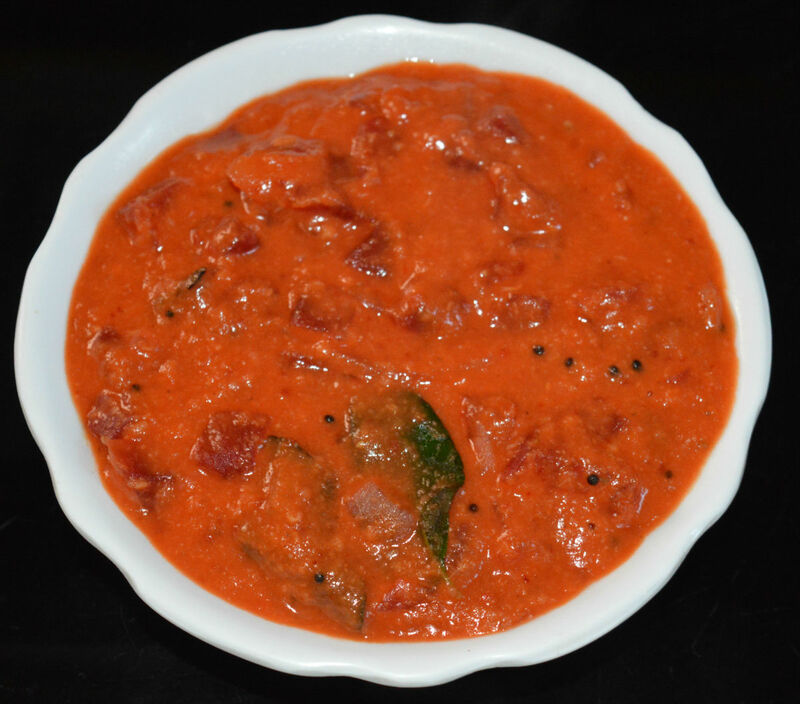 Though use of coconut for making chutney is common, this tomato lentil chutney does not contain coconut. 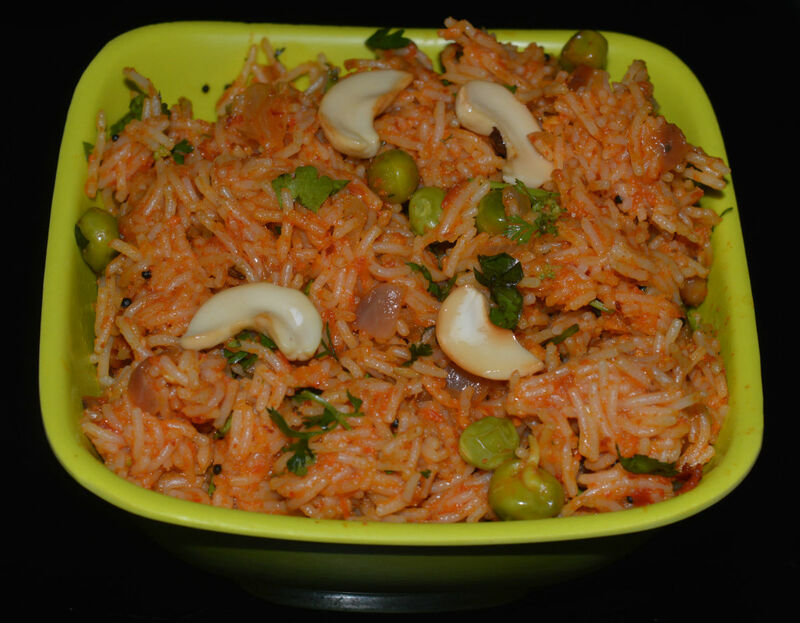 I have used lentils and tomatoes in this yummy side dish. 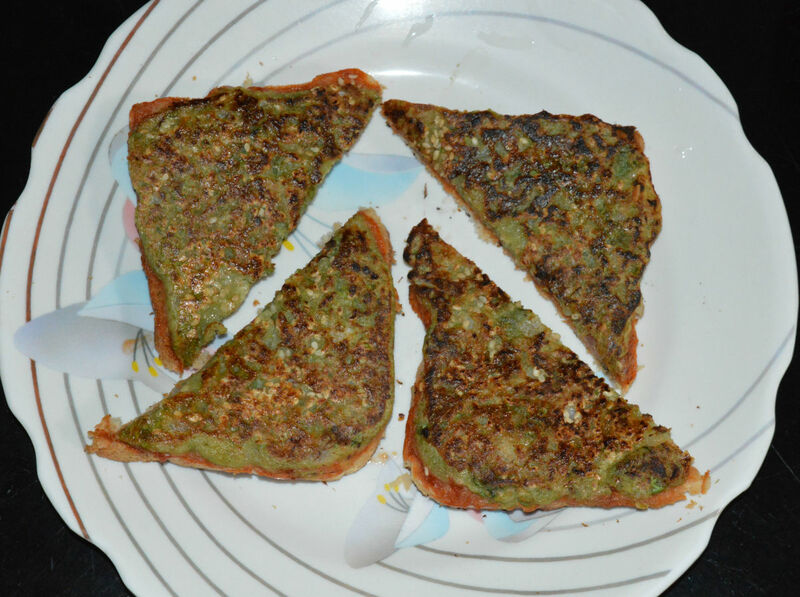 Cheese mung bean toast is a high-fiber, delicious snack you can serve for breakfast. This toast is protein-rich, filling, and palatable. It makes an apt in-between meal, too. 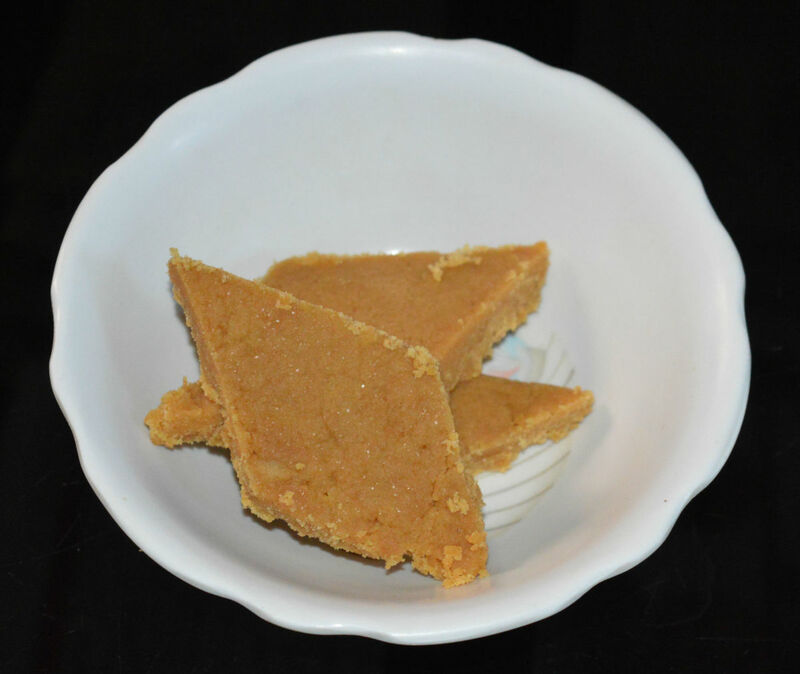 Seven-cup cake, also known as seven-cup burfi, is a very delicious, flavorful sweet cake to indulge in. You can make it in a few minutes. This sweet is made of seven equal measures of the ingredients, hence the name. 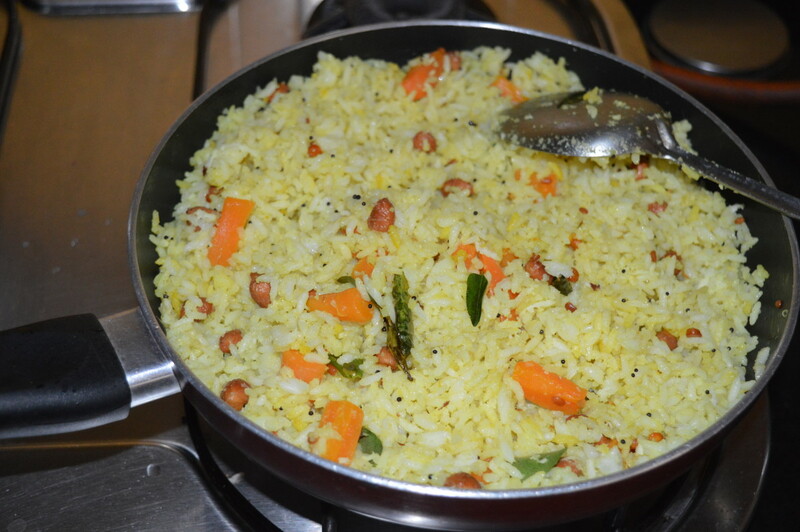 Beaten rice (flattened rice) is a good source of essential vitamins and minerals, including iron. It is gluten-free, fat-free, and lactose-free. Adding spicy seasonings, onions, and tomatoes makes it very delicious. 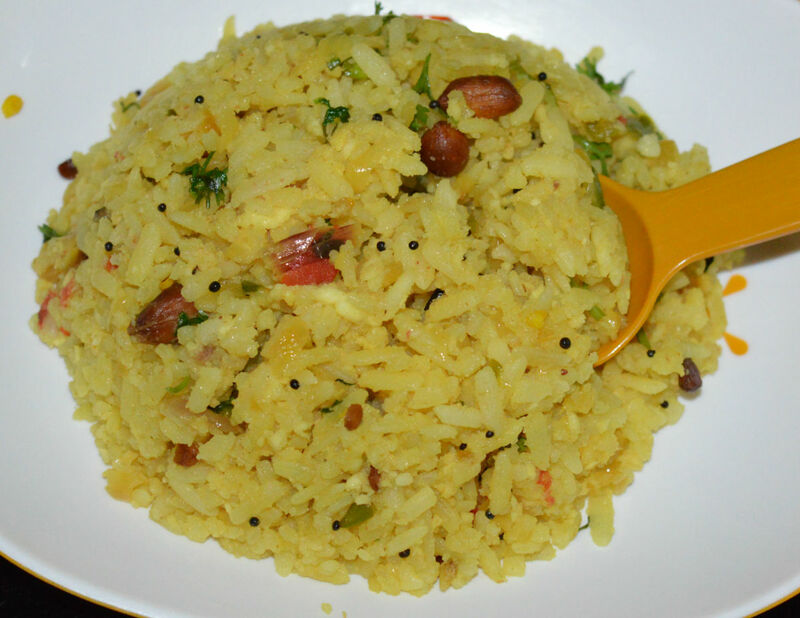 This poha upma is a mouth-watering dish. Upma is my all-time favorite breakfast dish. This versatile dish often includes seasonal veggies in addition to onions, coconut, and tomatoes. 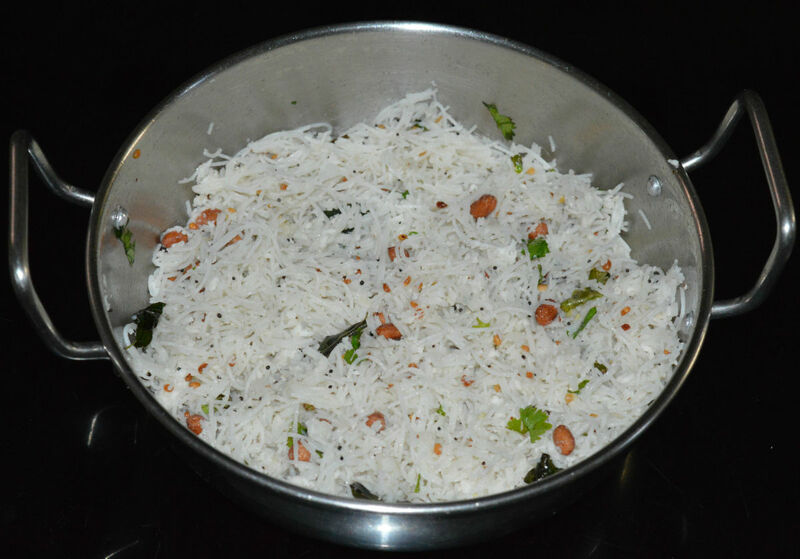 Rice sevai (vermicelli) upma is soft, smooth, and delicious. You don't need a side dish for this. It can also be packed in a lunch box. Brown beans are a nutritional powerhouse of nutrients your body needs. 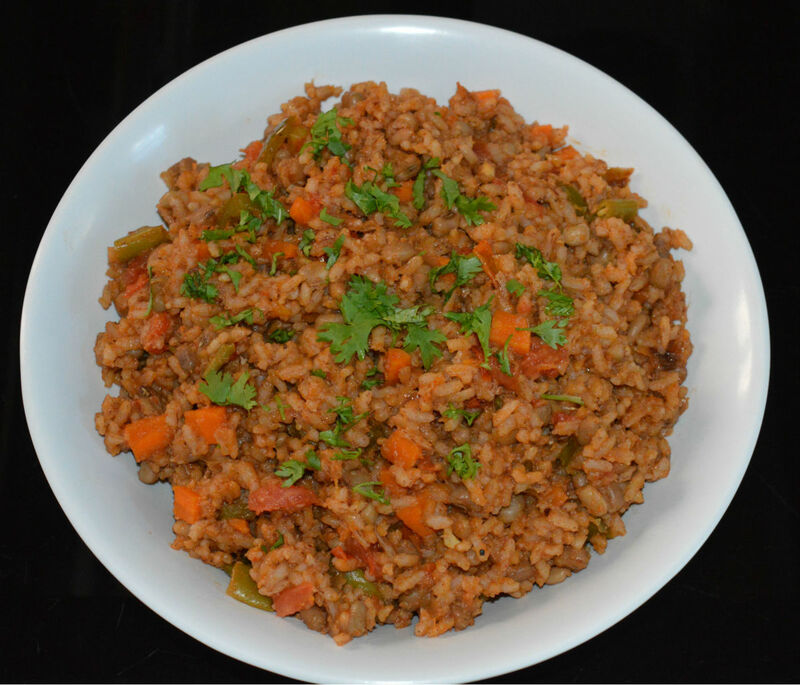 This Mexican brown rice is a delicious meal made with brown rice, beans, and vegetables. This is a guilt-free and yummy meal even for diabetics. You can eat it as is. Serving it with a yogurt-based raita will be a luxury! 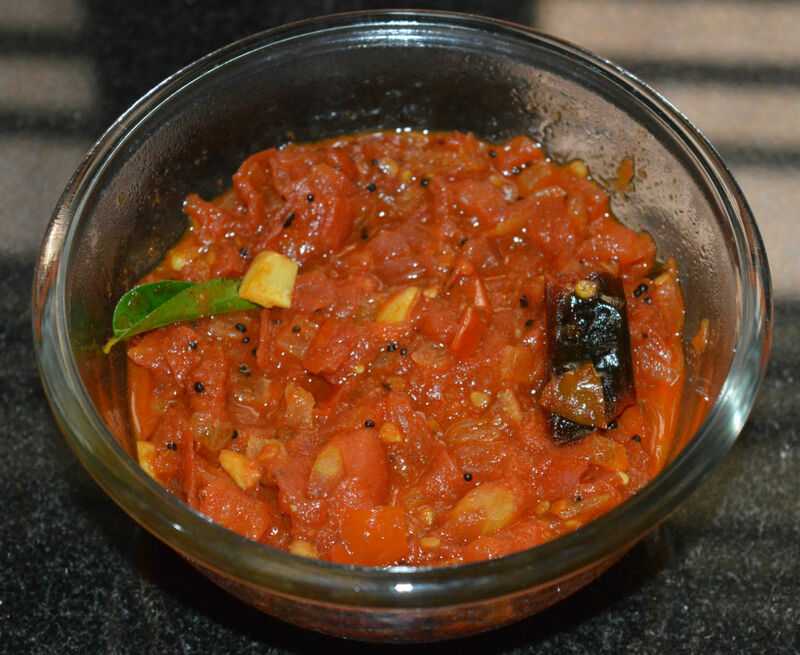 Tomato onion chutney is a spicy and tangy side dish that pairs well with idli, dosa, and plain rice. You can make this chutney in a jiffy. It is a treat for your taste buds and a savior when you need a quick side dish. Beets' ruby red color is attractive. Added to that, they offer many health benefits. 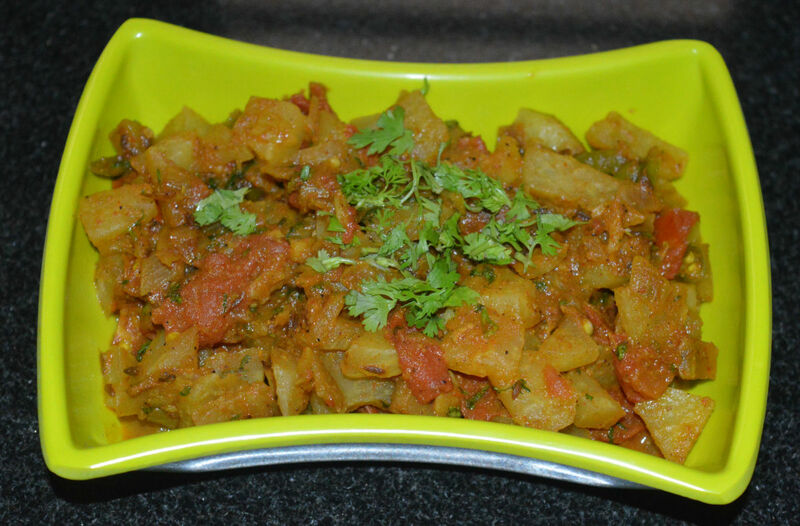 Beetroot kootu is a delicious, mild side dish made with beetroot and moong dal. 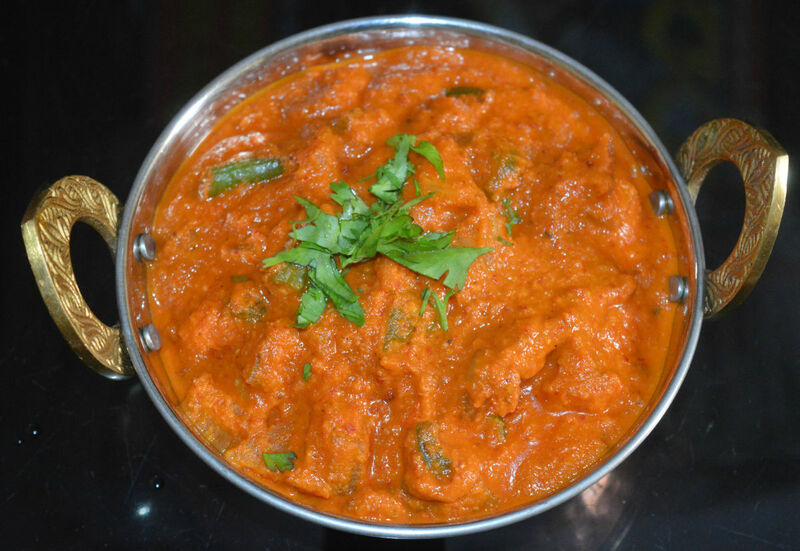 Make this easy curry and serve it with steamed rice or chapati, poori, etc. 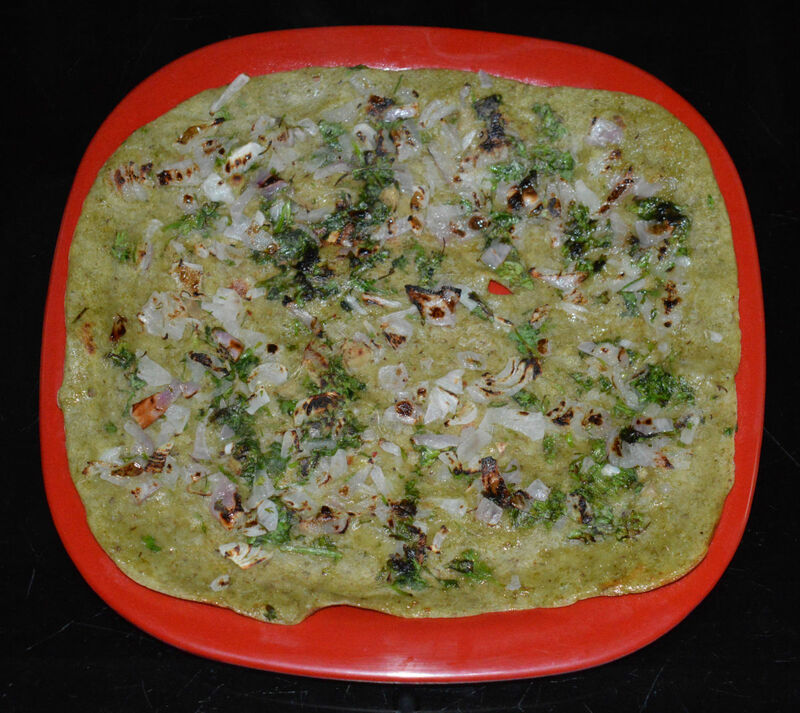 Pesarattu are nutritious green-gram crepes. Make pesarattu masala dosa for a change. They are tasty! You have to fill them a potato-onion or ginger-onion stuffing. They are super yummy when served with a coconut chutney. 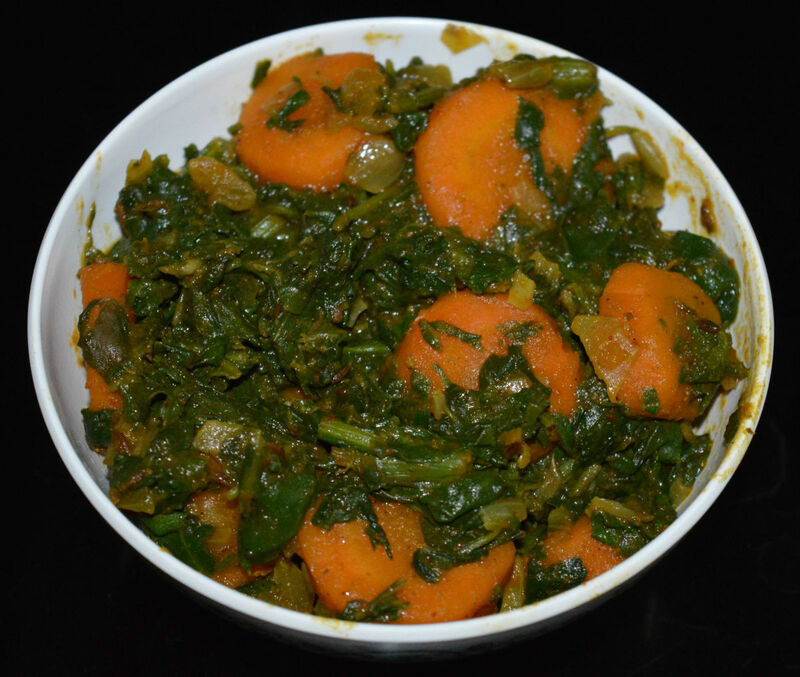 This spinach and carrot curry is a simple recipe that doesn't include grinding your masala. Both these veggies are nutrient dense, so this is a healthy sidedish. You can make this curry in about 25 minutes. Mung beans (green gram) have a lot of nutrients. 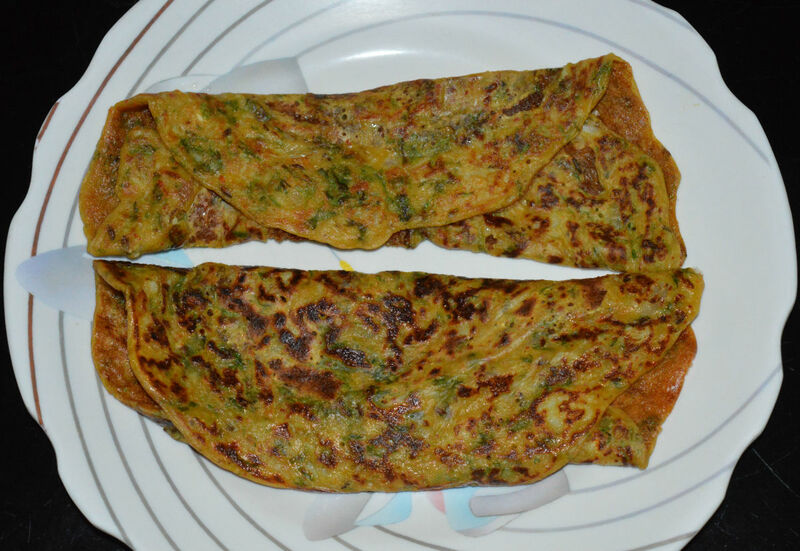 Pesarattu is a delicious and nutritious pancake that is made from mung beans. You can enjoy these tasty and mildly spicy pancakes on their own, or you can serve them with a chutney or sauce. 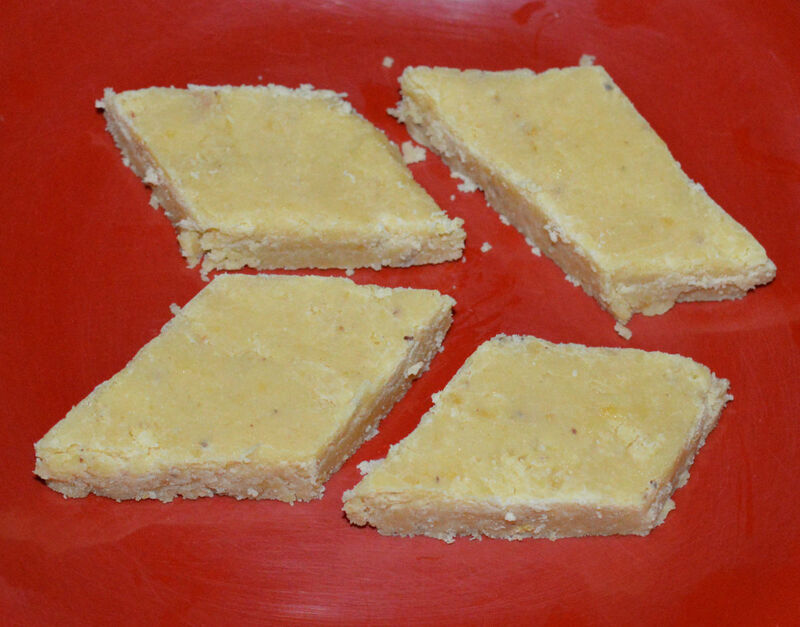 Sukhdi (Gur Papdi) is an authentic Gujarati sweet. You can make this dessert in twelve minutes. This dish is made with only three ingredients. 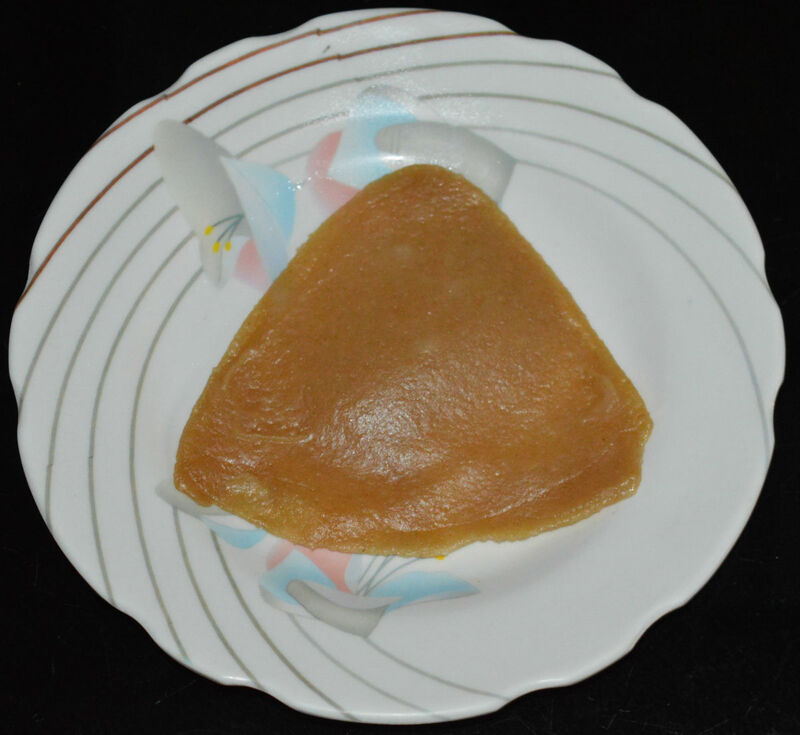 Sukhdi is crispy, delicious, and flavorful sweet treat. It just melts in your mouth! Bottle gourd muthiya makes a nutritious breakfast. You can make these steamed dumplings in 30 minutes. They are crunchy and very delicious. Serve them with tomato sauce or a mild dip. Cornmeal is a rich source of fiber and protein. It is low in fat and calories. 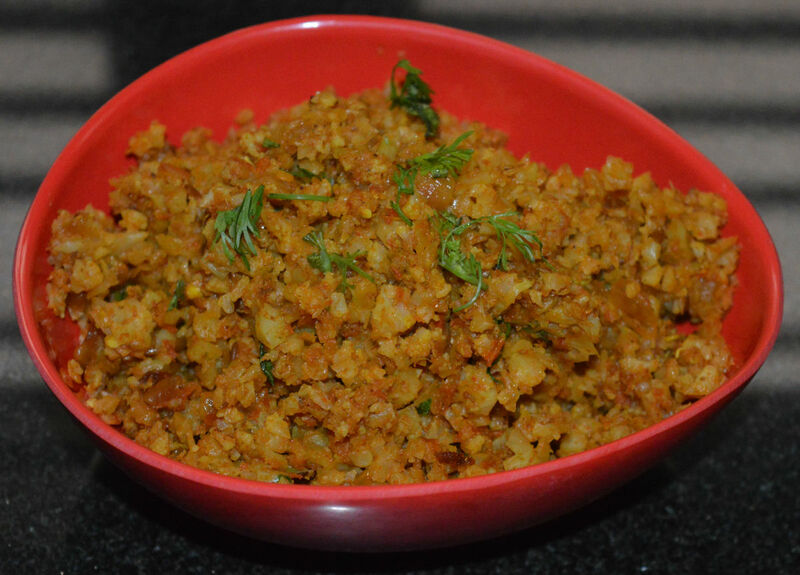 This cornmeal upma is nutritious just like any other upma. We make this one with milk. Hence, it tastes unique and awesome. Serve this for breakfast or as after-school food. 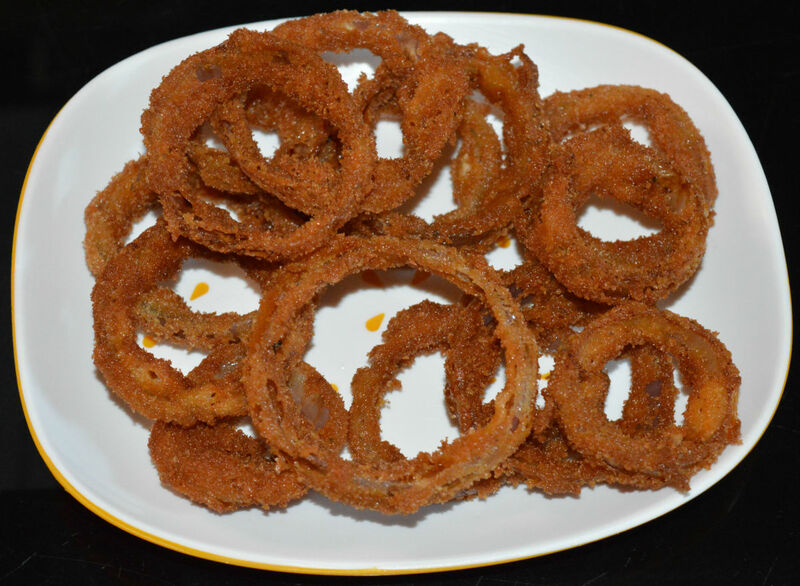 Onion rings are a tasty appetizer, perfect for a party or evening snack. I made this without using eggs in the batter. They came out perfect. They were crunchy and delicious. Serve them with a cream dip or tomato sauce. Wheat flour pancakes are a quick and easy breakfast. No need to plan in advance to make these yummy and super healthy pancakes. Just gather a few ingredients, make a batter, and your pancakes are almost ready! Want to have a soothing, homemade beverage? This leafy greens drink will satisfy you with its cooling effect and natural color. You can serve this as a side dish with rice, as well. Momos need a delicious dip. This homemade tomato chili dip pairs well with them. Try this easy and hassle-free accompaniment. Pomegranate is known for its rich vitamin C and antioxidants. Pomegranate tambuli is a yogurt-based side dish. It is mildly sweet and delicious. Pair it with steamed rice. 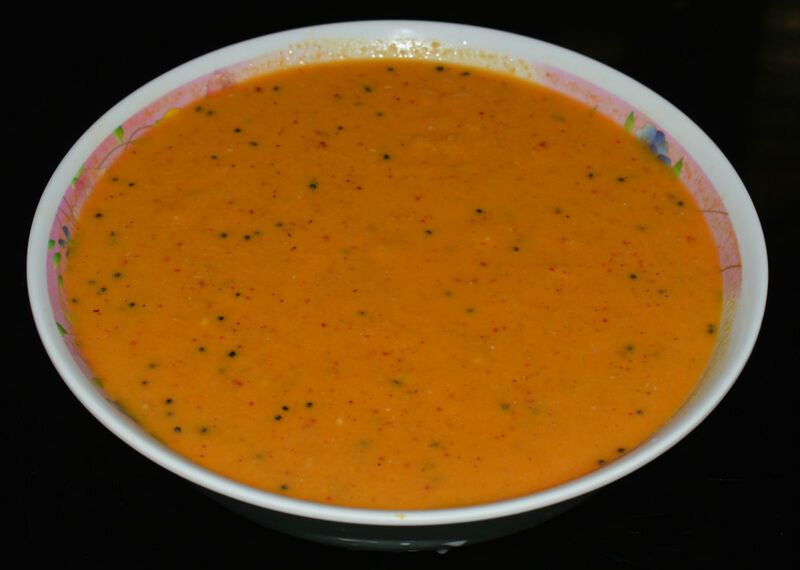 Tomato tambuli is a side dish made mainly of tomato and yogurt. Tambuli has a cooling effect on your body. Eat it at the beginning of the meal or drink a cup whenever you feel warm! Cabbage is an excellent source of many nutrients. Using it in a soup is an amazing idea to get its health benefits. 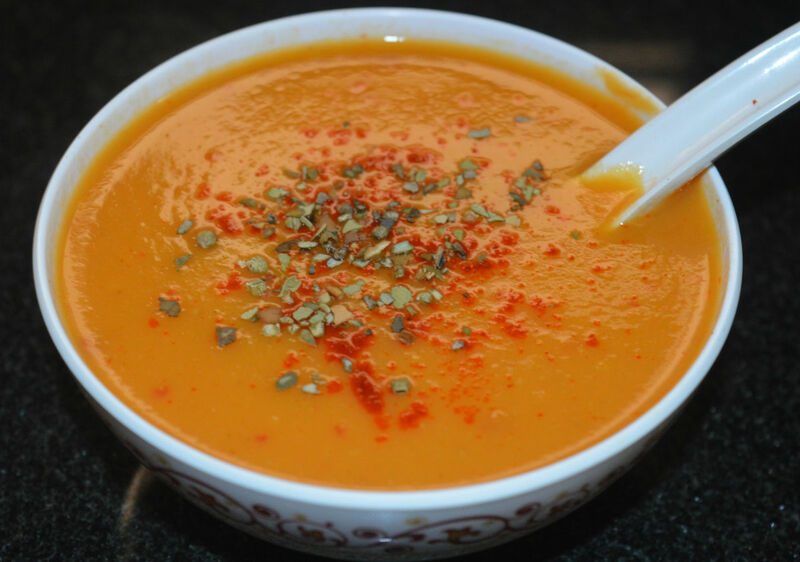 Make this soup in 20 minutes and enjoy sipping it hot! Pasta sauce is a versatile cooking ingredient. You can make varieties of pasta with it. Sometimes, people use it also as a side dish. This garlicky-flavored red sauce makes mouth-watering pasta. Though pasta sauce is available in the stores, homemade sauce tastes much better. Capsicum (bell pepper) is a nutrient-dense vegetable. This easy-to-cook veggie has many health benefits. 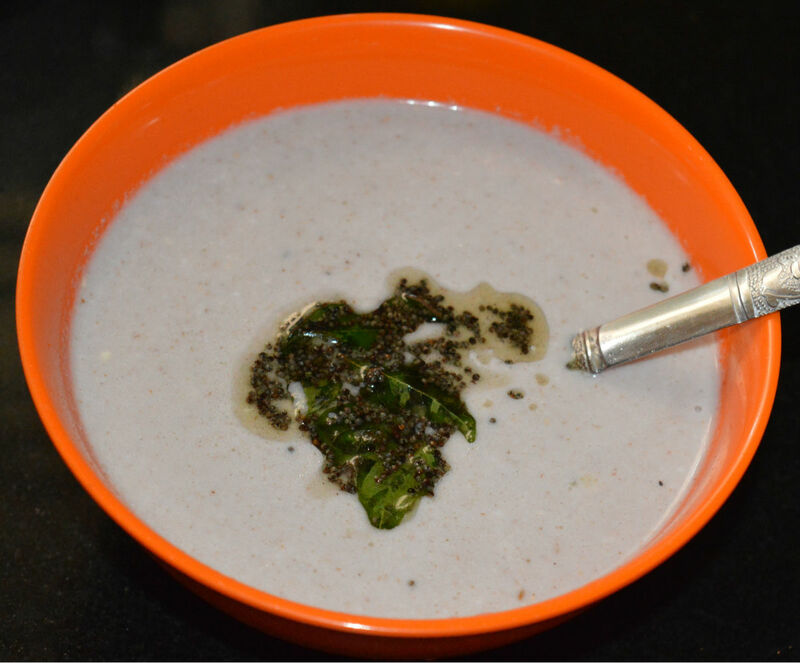 Capsicum raita is very easy to make. This raita pairs well with steamed rice. You can easily make a better pizza sauce at home than the store-bought variety. 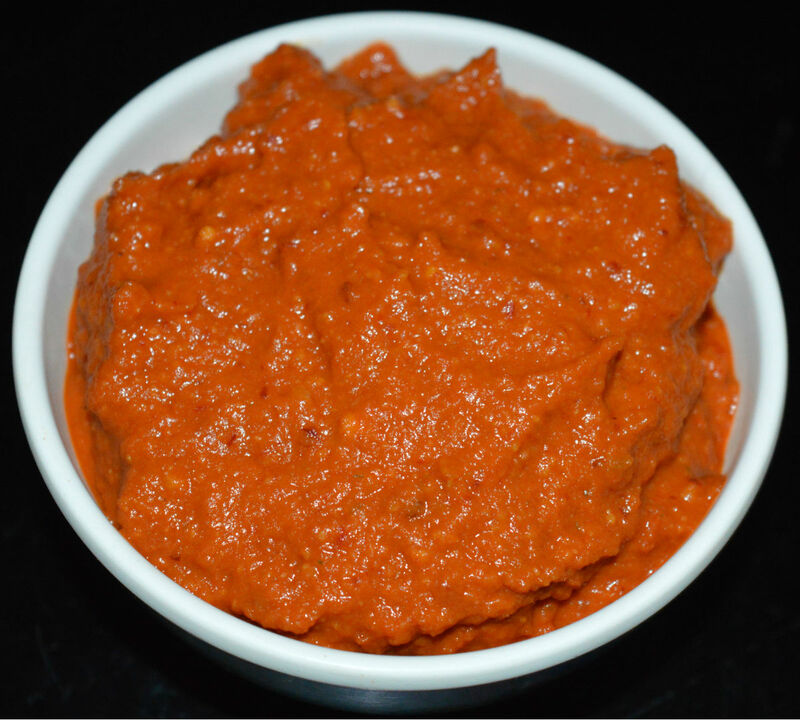 Homemade sauce is more flavorful, has less oil, and is better in taste. 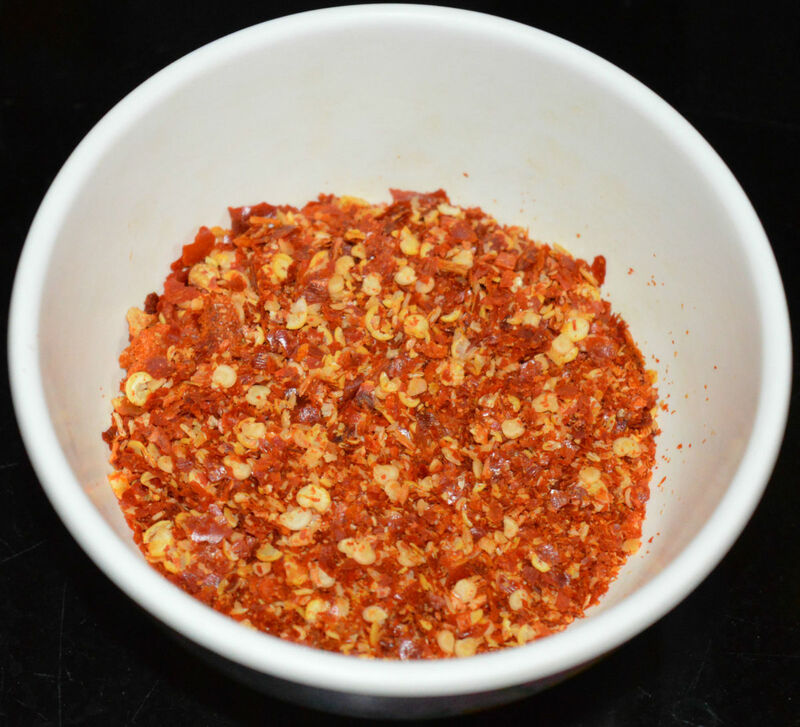 Chili flakes are a multi-purpose culinary ingredient. They are made with dry red chilies. We use this versatile item for making snacks, salads, curries, side dishes, etc. You can easily make it at home and use for months. Flax seed is one of the most popular super foods in the world. The health benefits of flax seed is due to its omega-3 fatty acids, minerals, protein, and fiber. 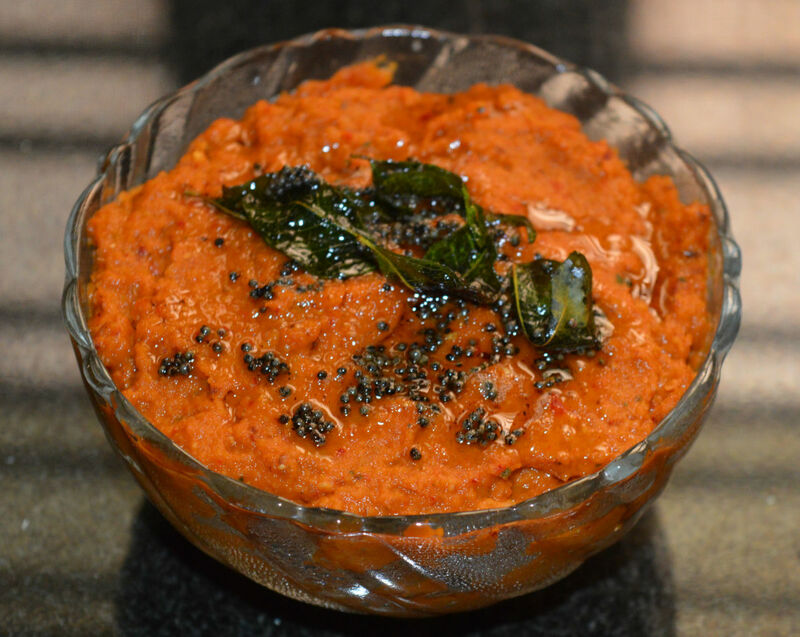 Flax seed chutney is one of the easy and best methods to include them in your diet. Instant noodles are very popular with children. For parents, it is quick and easy to throw this together for hungry children. In this recipe, I show you how to add plenty of vegetables to make it healthy, too! 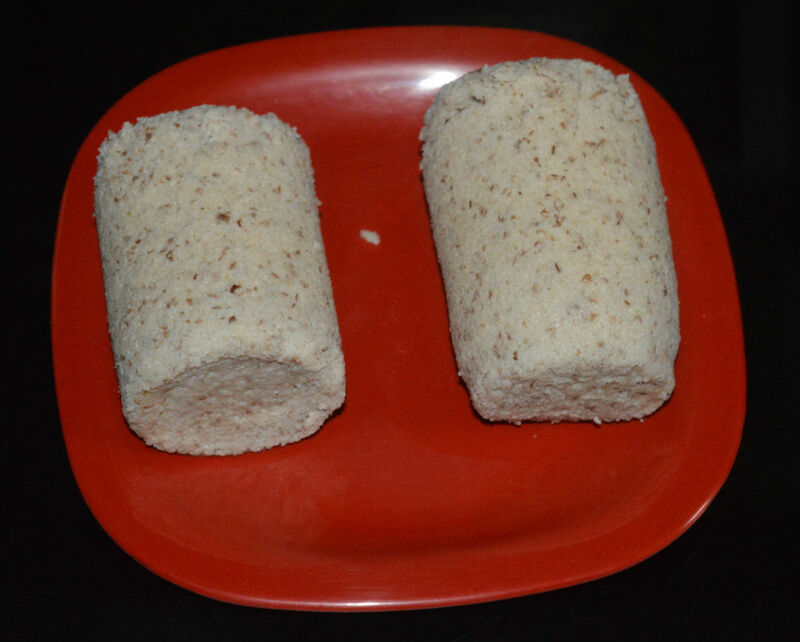 Kaanole (whole wheat and jaggery steamed cake) is a rare delicacy made during the Nagara panchami festival. This is a mildly-sweet steamed dish. This makes for a guilt-free, nutritious, and flavorful breakfast. 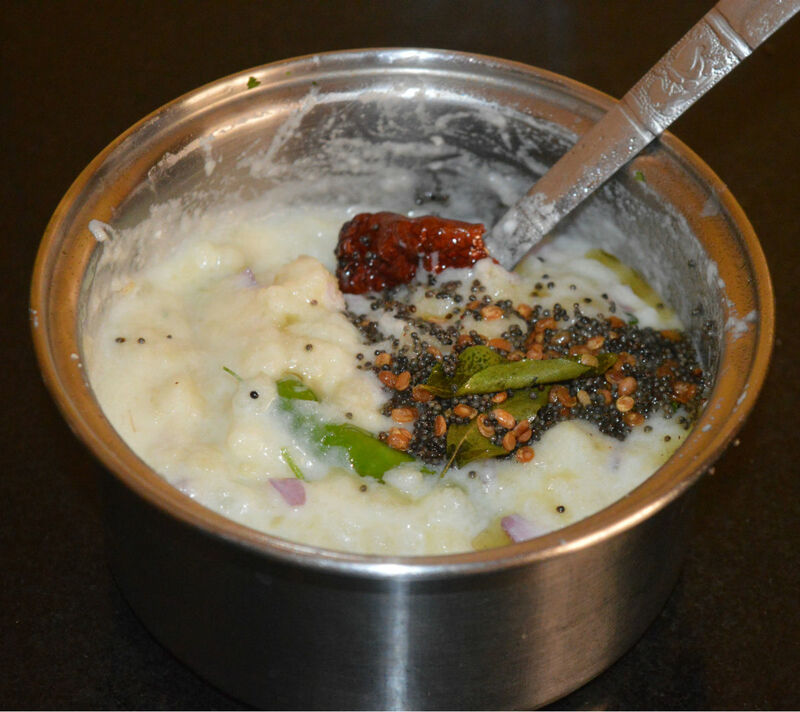 Udnittu (urad flour and curds chutney) is made with black gram flour, minced ginger, chopped green chilies, and moderately sour curds. This is a raw side dish. 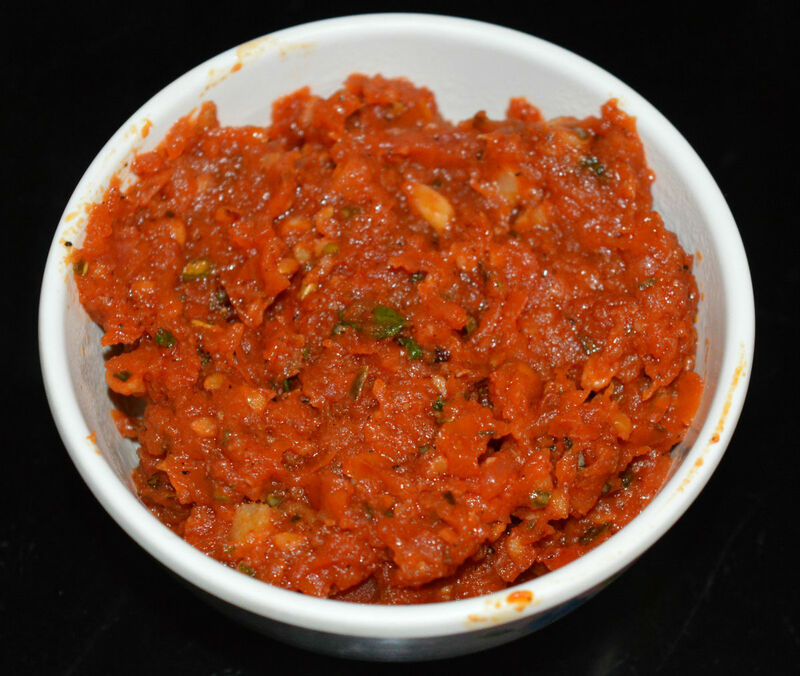 All you need to do is combine the ingredients to make this yummy and super easy chutney! Wontons make a wonderful evening snack or party appetizer. 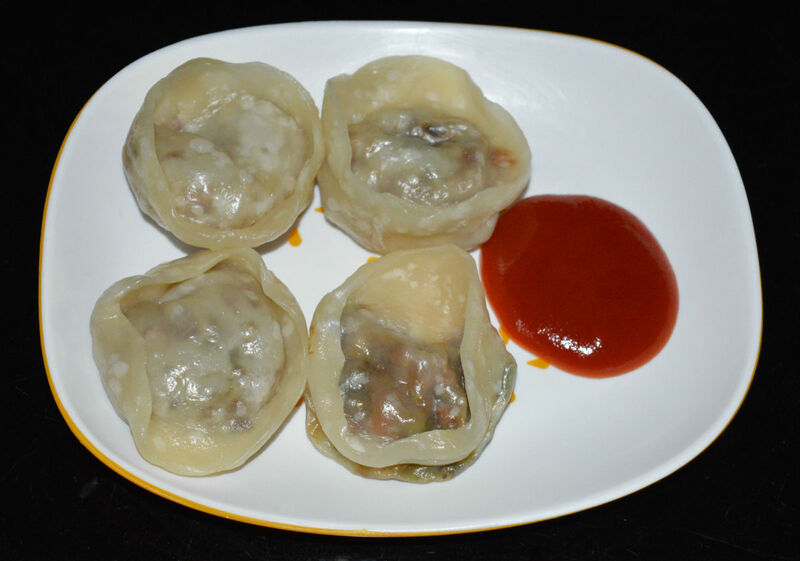 These veggie dumplings are very delicious when eaten with a hot sauce. Try this easy and quick recipe! 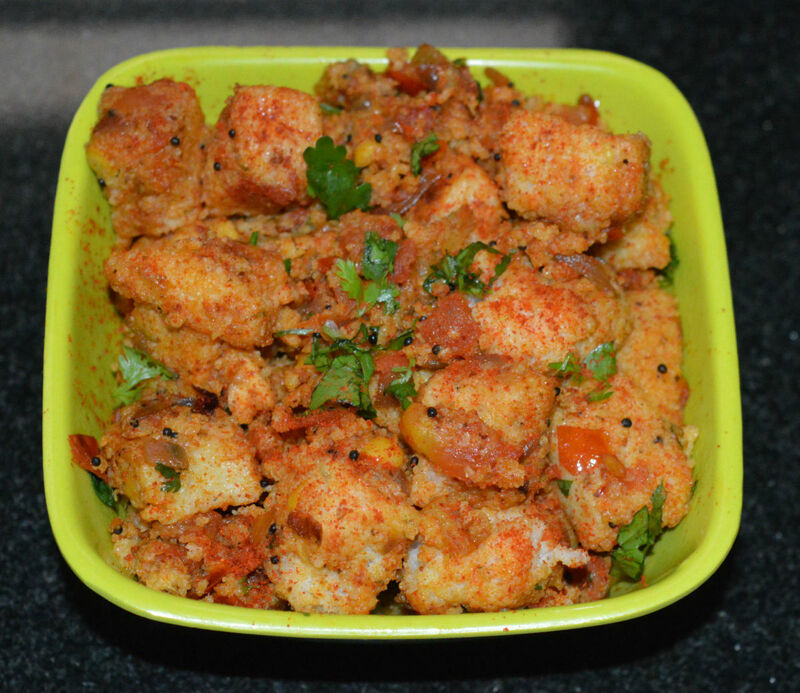 If you have leftover idlis, make tahir idli with them. 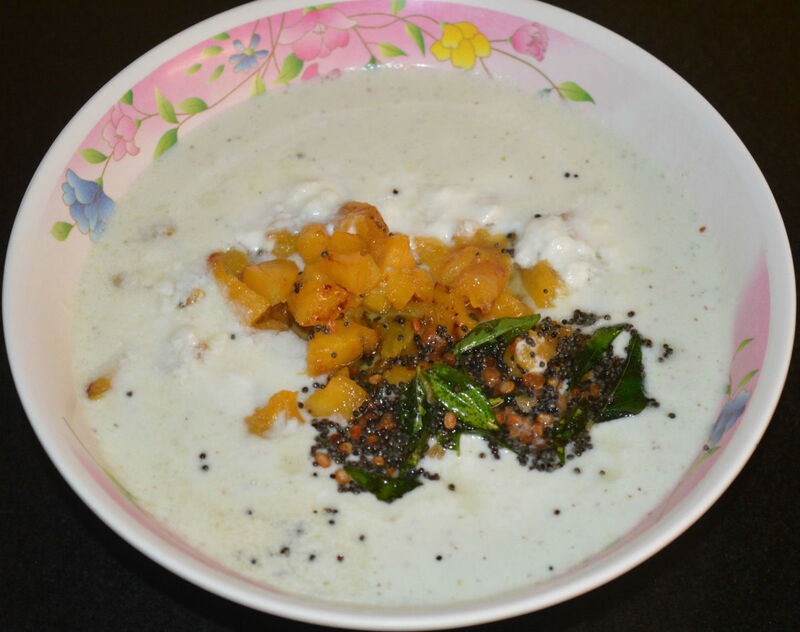 This is idli dipped in yogurt sauce. The spicy, tangy, and sweet yogurt makes a delicious gravy. Want to give your family a healthy evening snack? Make steamed wontons. This is an easy recipe that anyone can make without much effort. A wonton is a small round dumpling with a savory filling. Serve it with a spicy chili-garlic sauce or a mildly-spicy tomato ketchup. 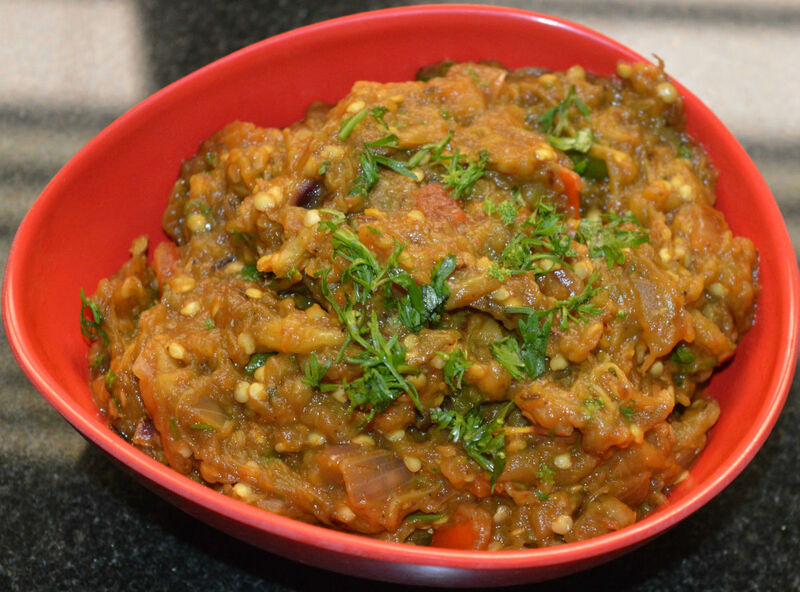 Baingan bharta is a very popular Punjabi curry made with roasted eggplants. This curry is a bit tangy, spicy, and very delicious. It pairs well with roti, chapati, and any flatbread. This smoky-flavored curry is easy to make. Chickpea (garbanzo bean) is the leading ingredient for making hummus. So, hummus will be high in protein, as chickpeas are a good protein source. 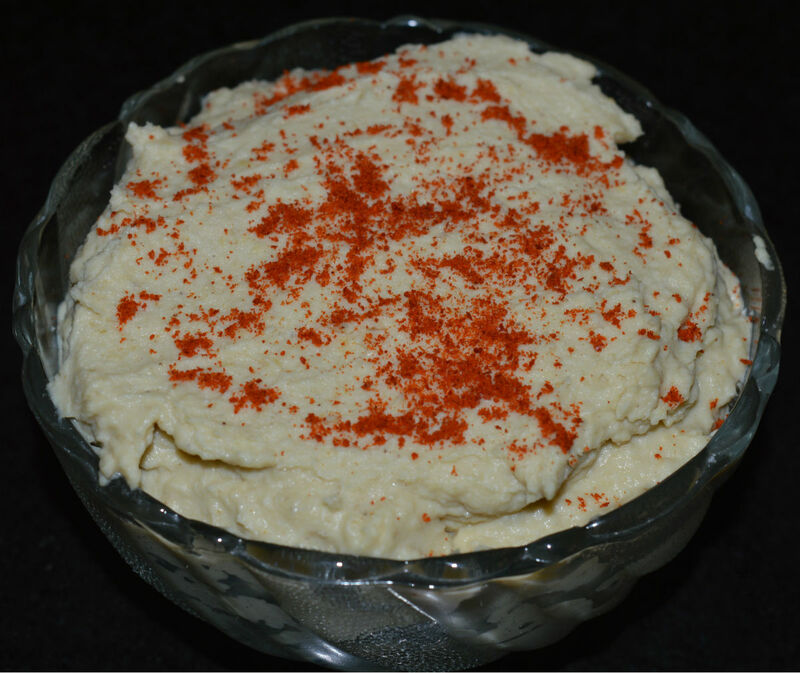 You can use this yummy hummus in many ways, like spread, dip, side dish, etc. Idli is a popular Indian breakfast food. This steamed dumpling is made with rice semolina and white lentil batter. Sometimes, you will have leftover idlis at home. You can make awesome cutlets with them. 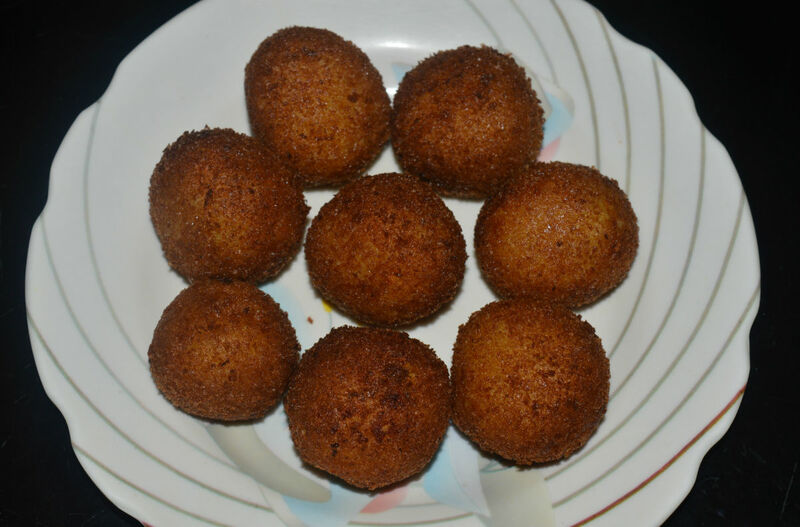 Here's a wonderful recipe to make idli cutlets. 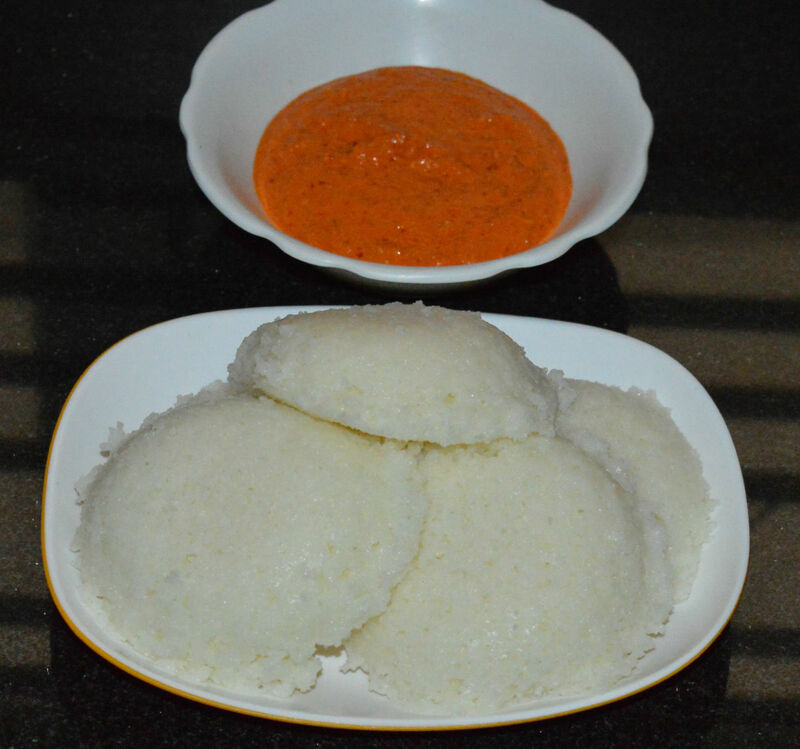 Idli is a popular Indian breakfast dish. It is soft, light on the stomach, and nutritious. Sometimes we will have leftover idlis at home. You can make delicious jamuns (dessert) with them. This is a quick and easy dish to make and it tastes quite sweet. Jackfruits are considered vegetarian meat. 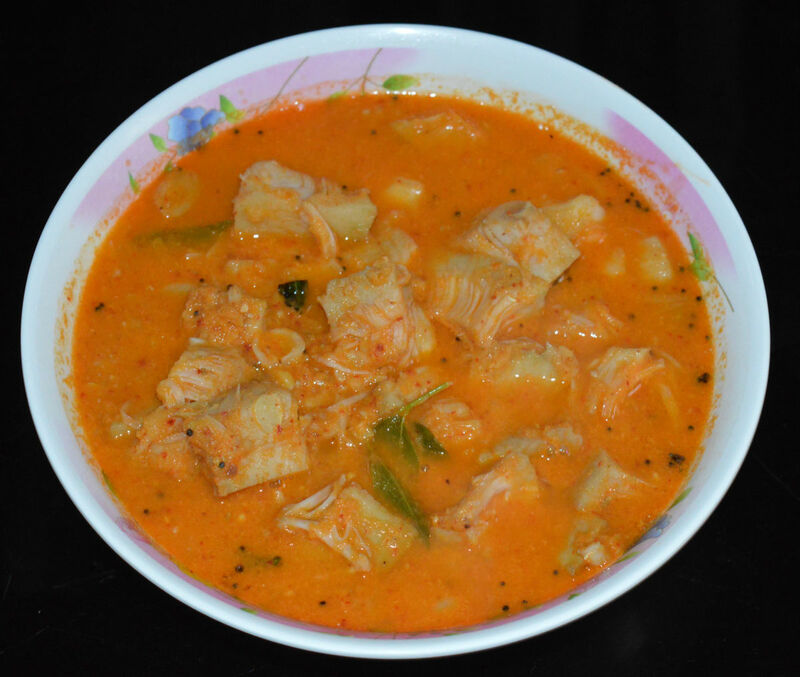 Tender jackfruit pieces in this Indian sambar resemble meat pieces and, they are also a bit chewy like meat. 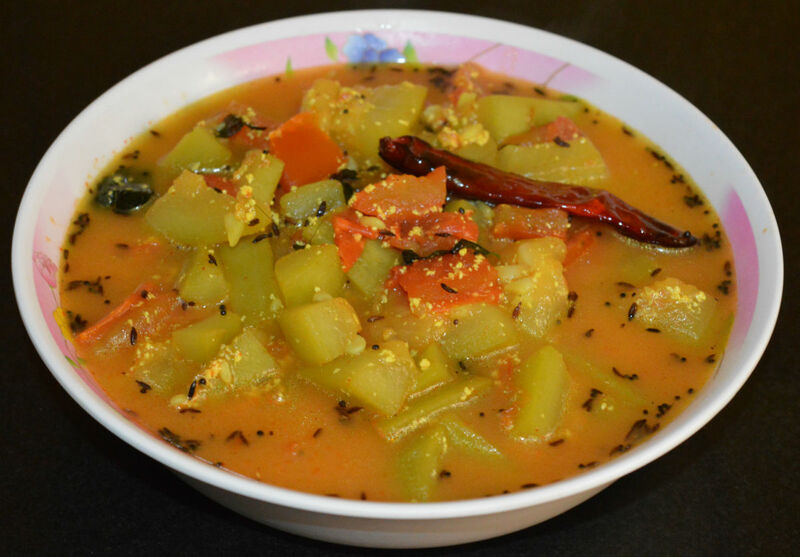 This sambar is very delicious and, it pairs well with steamed rice. 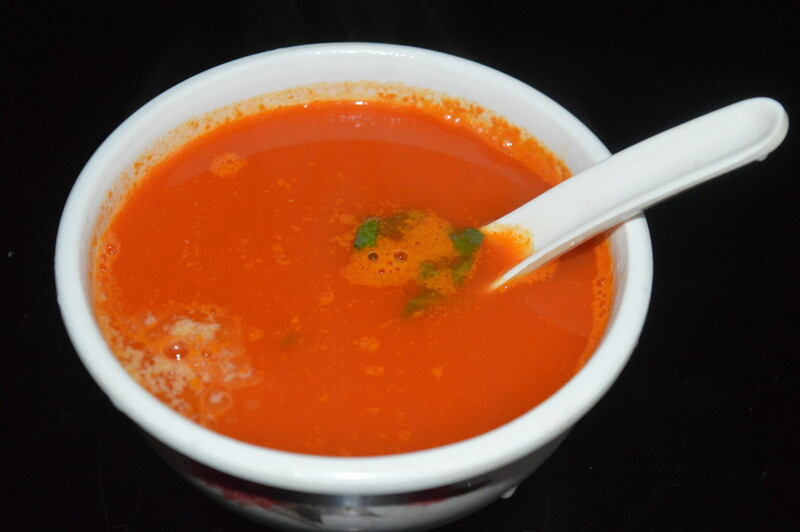 Tomato soup is my all-time favorite. 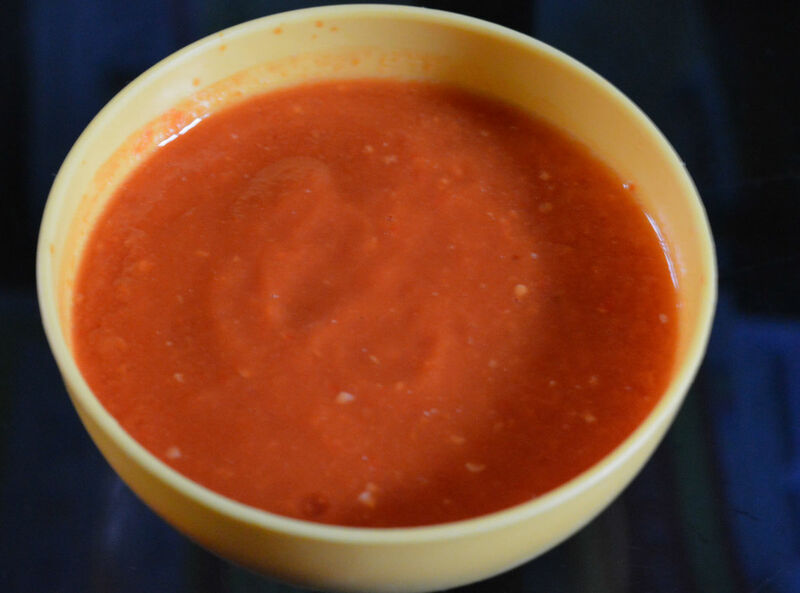 This tomato soup is vegan and extremely appetizing. 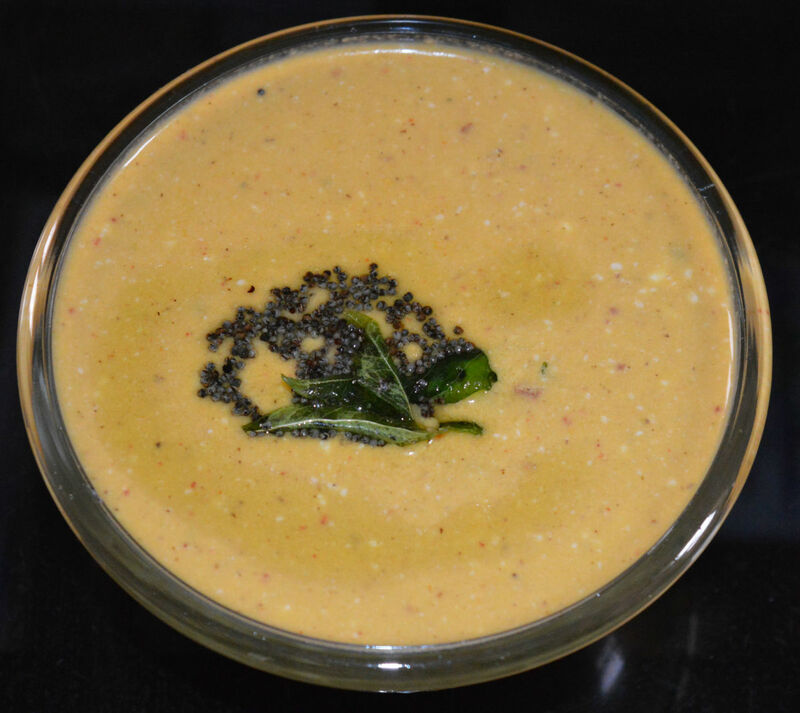 The tahini adds a wonderful nutty flavor, and the basil adds a hint of freshness to this pureed winter soup. Tomatoes are popular worldwide, due to their many health benefits. They are rich in antioxidants, vitamin C, vitamin K, and folate. These sour-tasting fruits are extensively used in cooking. 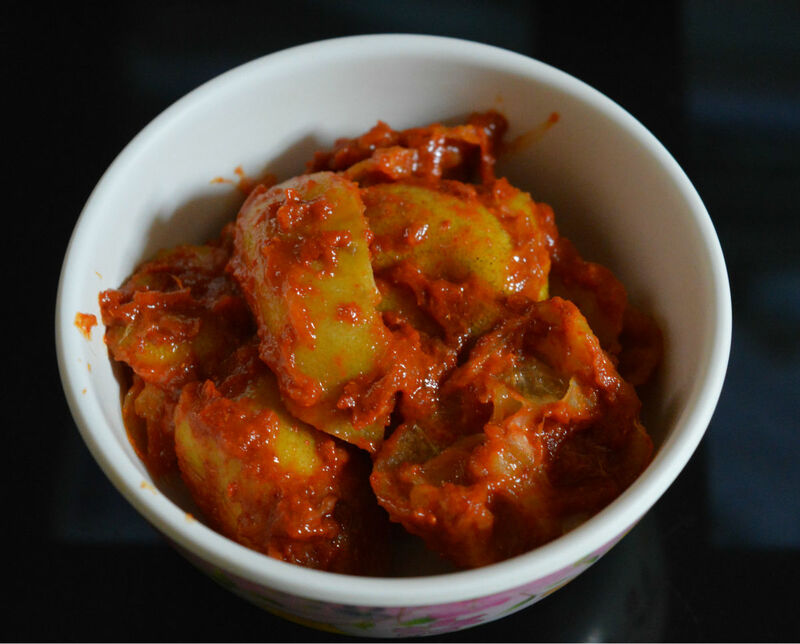 This tomato gojju is a delicious side dish that pairs well with steamed rice. Stir-frying is one of the best cooking methods. In this method, veggies retain a large portion of their nutrients. 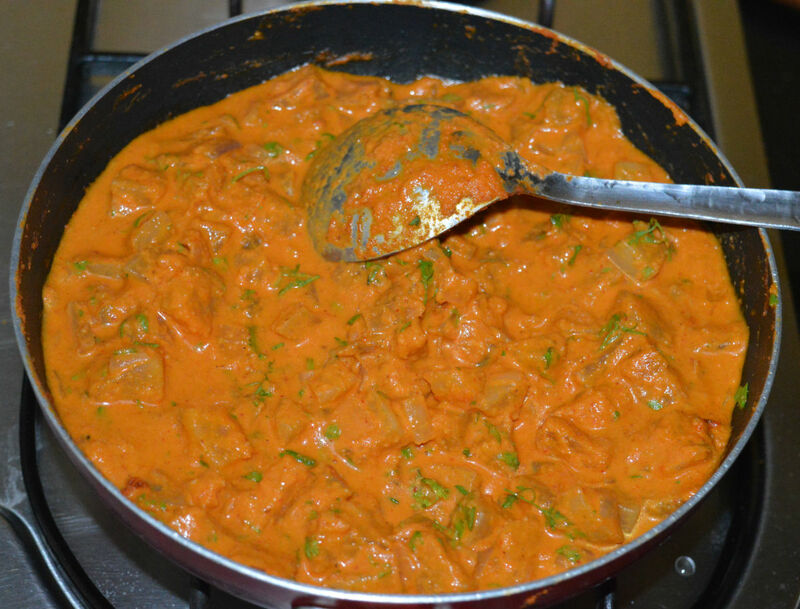 An added advantage is that it is a quick cooking method and needs less oil. This way, the veggies look vibrant too. Corn methi pakora, or corn fenugreek leaf fritters, are teatime snacks that are crunchy, mildly sweet, and absolutely scrumptious. The recipe is so simple that you can make it in just 20 minutes. 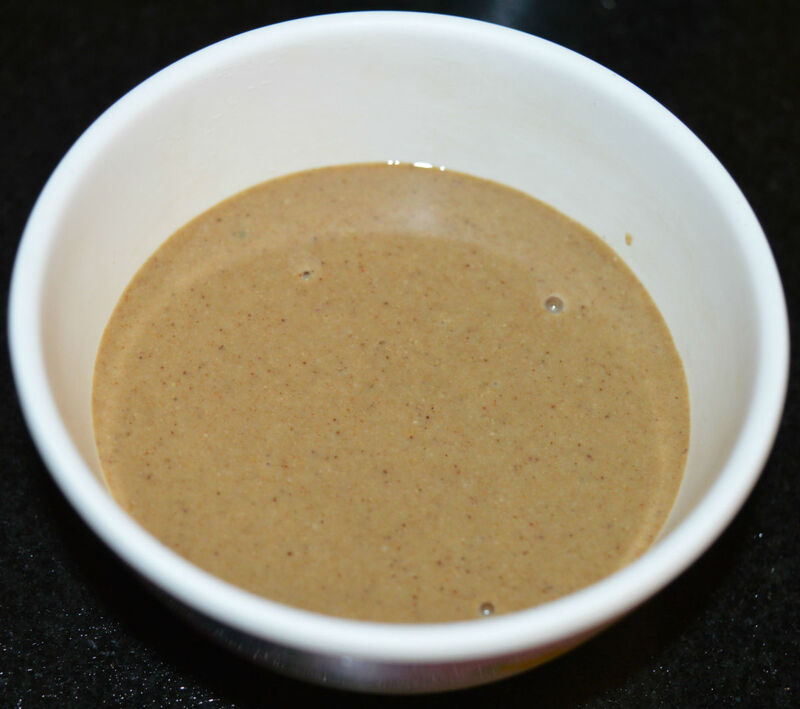 Tahini (sesame seed paste) is a mildly-aromatic paste made with roasted sesame seeds and olive oil. This paste is used for making hummus and salad dressing. Try this easy recipe at home. Thai curries are known for their texture and coconut flavor. Making Thai green curry is very easy. 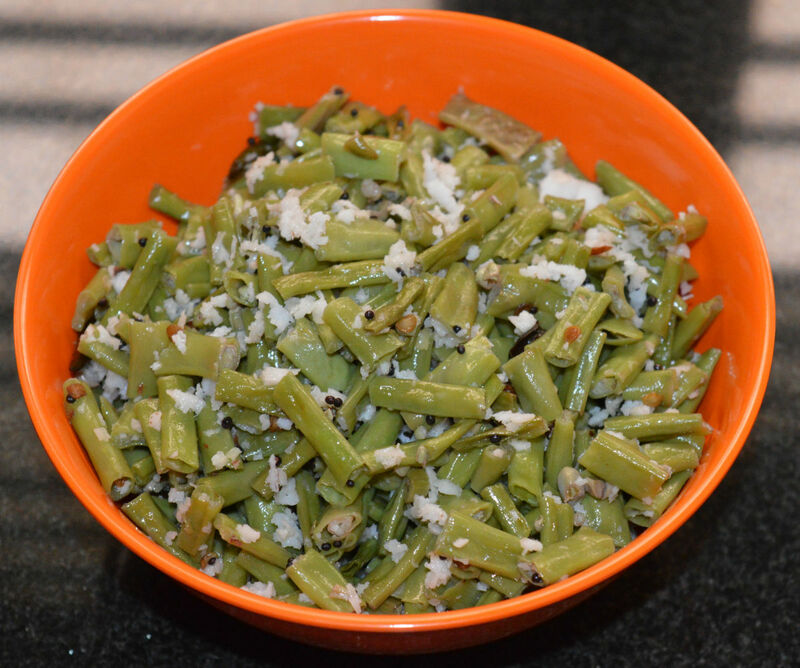 All you have to do is follow a few simple steps to get this perfect green yummy side dish. 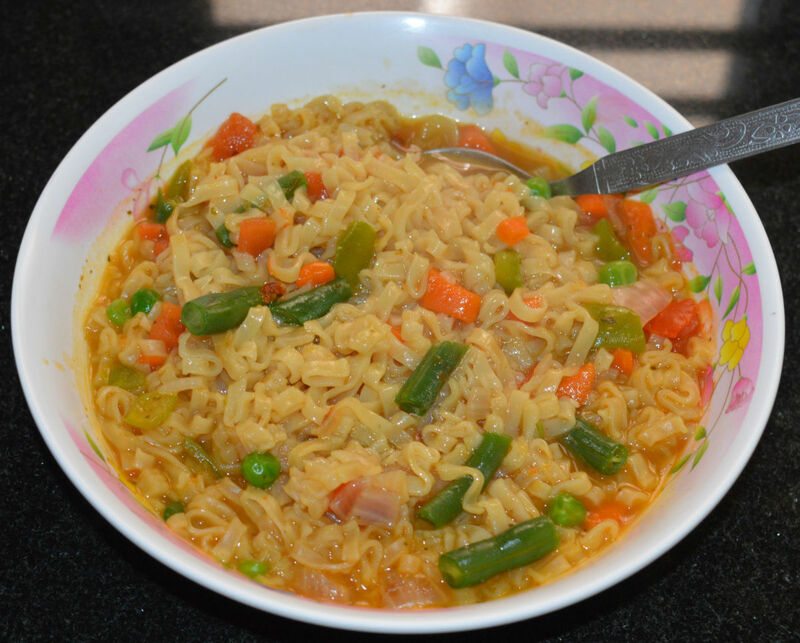 Serve it with hot boiled rice. Enjoy! Everyone loves pizza, but making it at home can be a time-consuming project. 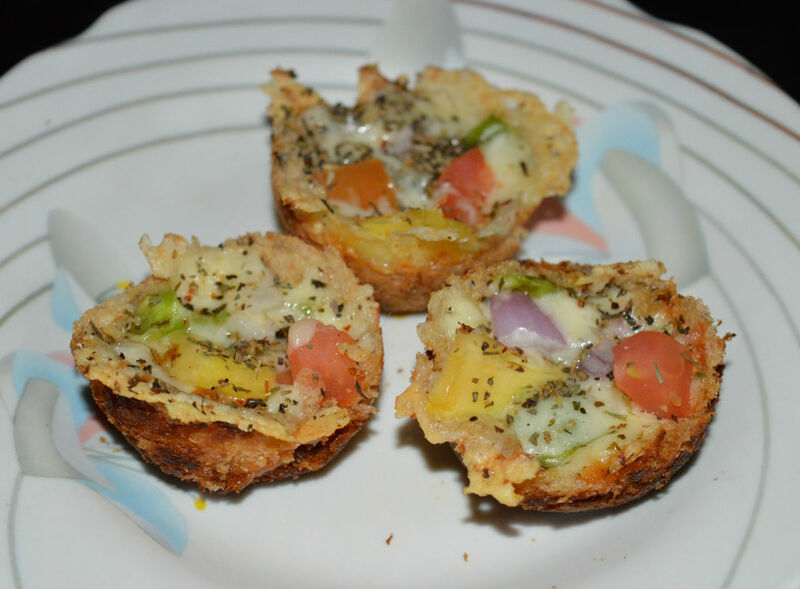 My bread pizza cup recipe is a quick and easy version you can make at home. 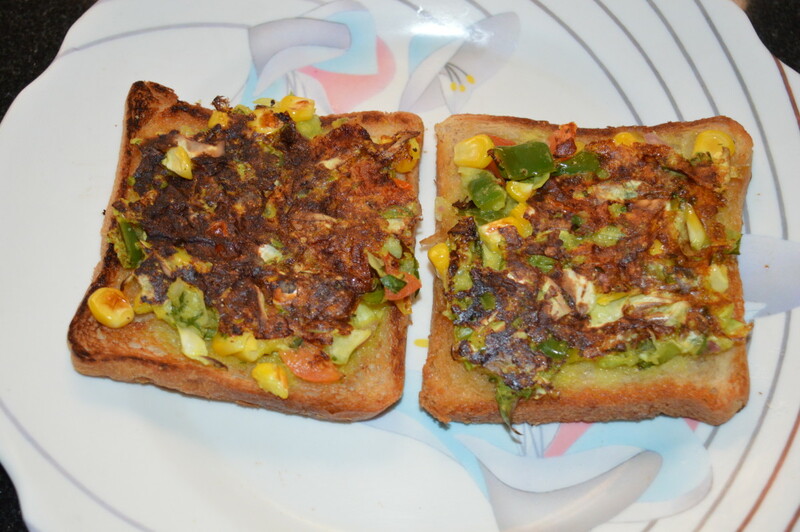 I created this recipe using sliced bread, veggies, and seasonings. Try making these lip-smacking cups today! Chickpeas (garbanzo beans) are legumes that are high in fiber, protein, and several key vitamins and minerals. Cooked chickpeas are very tasty. 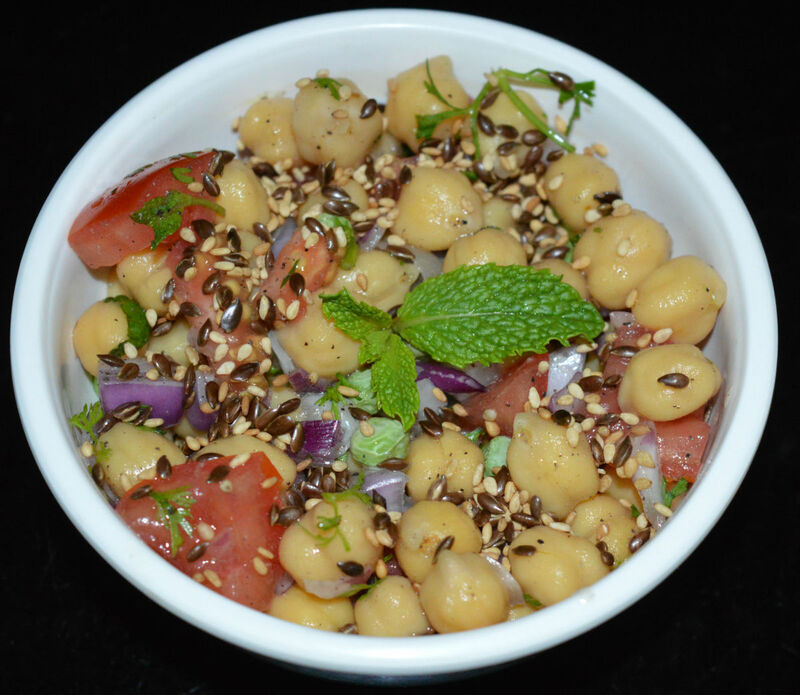 This salad is made with boiled chickpeas topped with roasted flaxseeds and sesame seeds. Beetroot is a tasty vegetable with many health benefits. It has essential nutrients that keep you healthy and energetic. 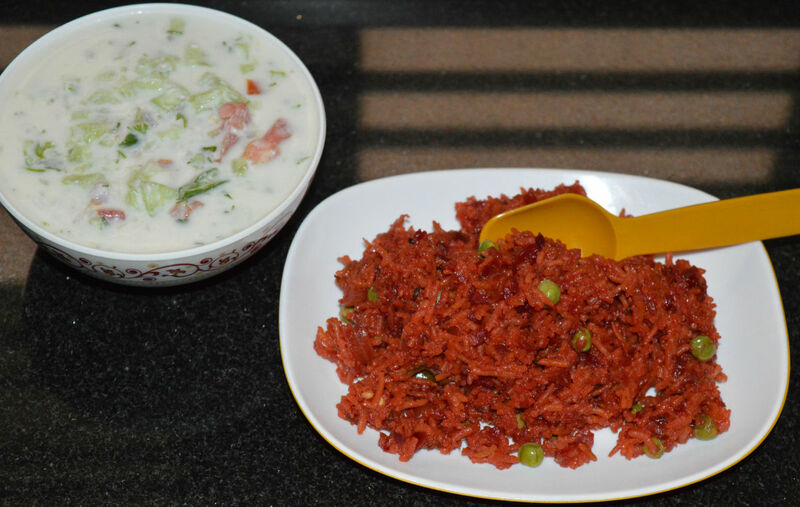 This beetroot rice/pulao is a simple yet delicious dish. Make this one pot rice main course n serve as a full meal! Okra is a popular vegetable due to its health benefits and good taste. 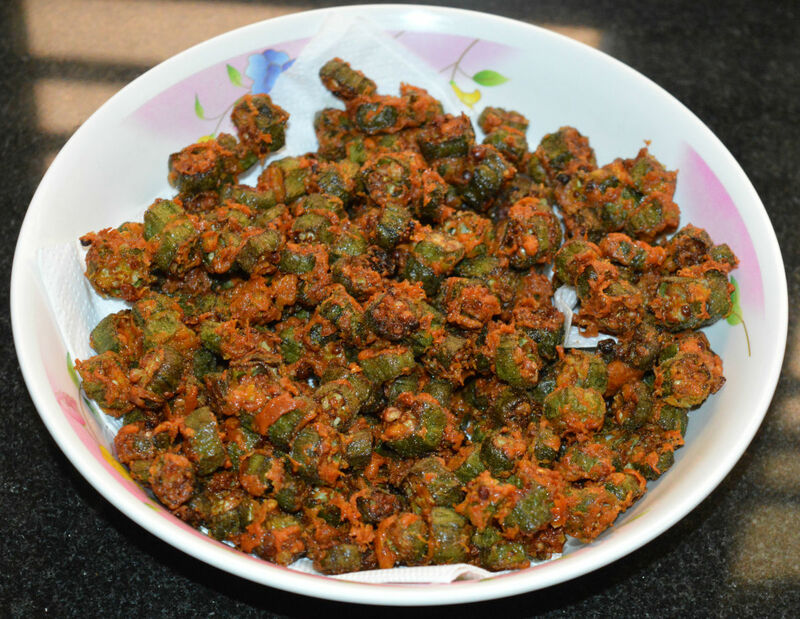 This crispy and delicious okra pakora can be served as a tea-time snack or as an appetizer before a meal It is a scrumptious side dish, too. Bottle gourd is a miracle vegetable that has many health benefits. This curry is super easy to make. I used bottle gourd, tomatoes, yogurt, and some spices in this. Serve this dish with cooked rice. White lentils are a good source of protein, dietary fiber, and many other nutrients. 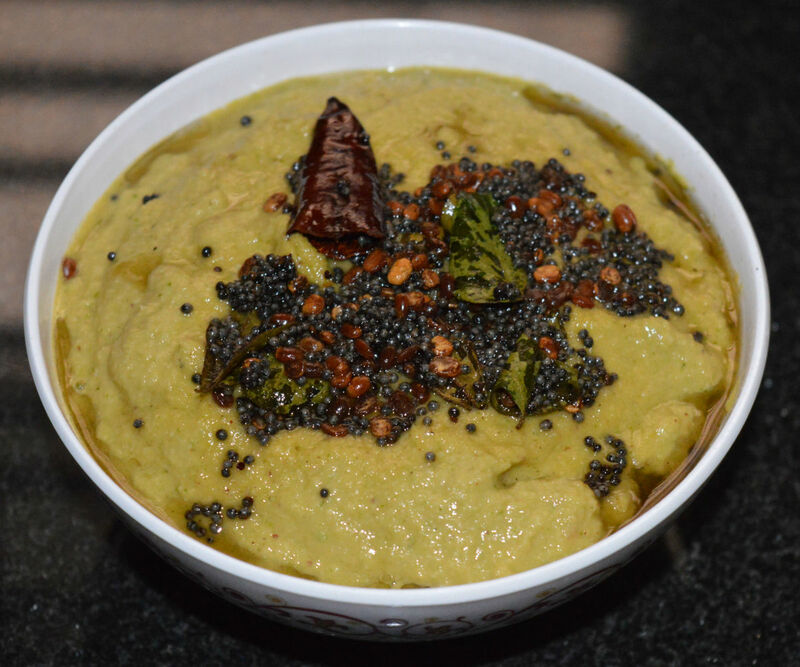 A great side dish, this lentil coconut chutney is mildly spicy and aromatic. Hash Browns are appetizing fried snacks made of shredded potatoes. They are crispy outside and soft inside. 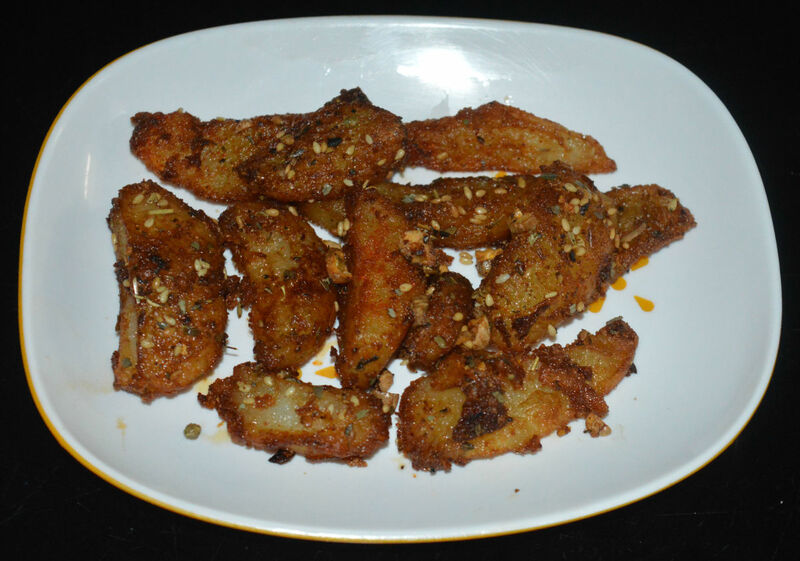 Corn flour, rice flour, wheat flour, and spices give a nice texture and aroma to this dish. Look no further for a quick and easy green veggie side dish. This spinach curry takes me no more than 20 minutes to make, and it's delicious, too! This chutney can truly spice up your meal. It is very nutritious as it is made of lentils, garlic, and fried gram. 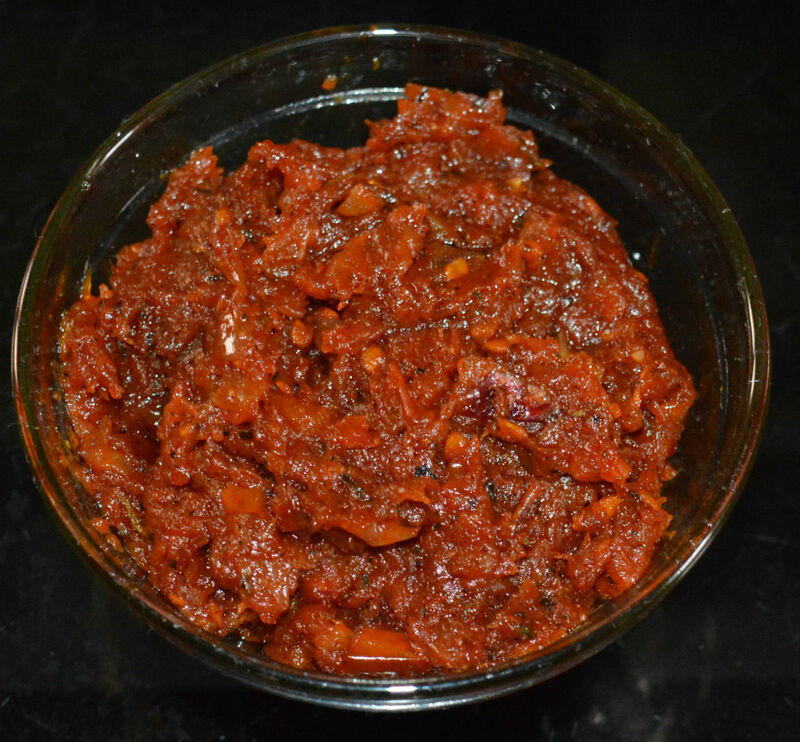 You can use this spicy red chutney as a side dish for rice, dosa, chapati, idly etc. 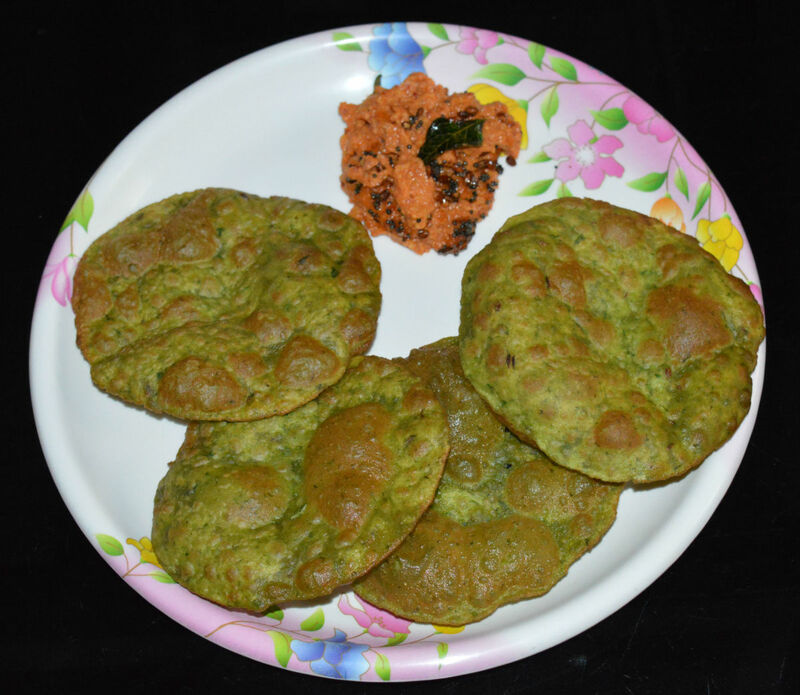 Spinach puris are made with wheat flour and spinach. Spinach is a great source of nutrients that are beneficial for the body. Wheat is also very nutritious. 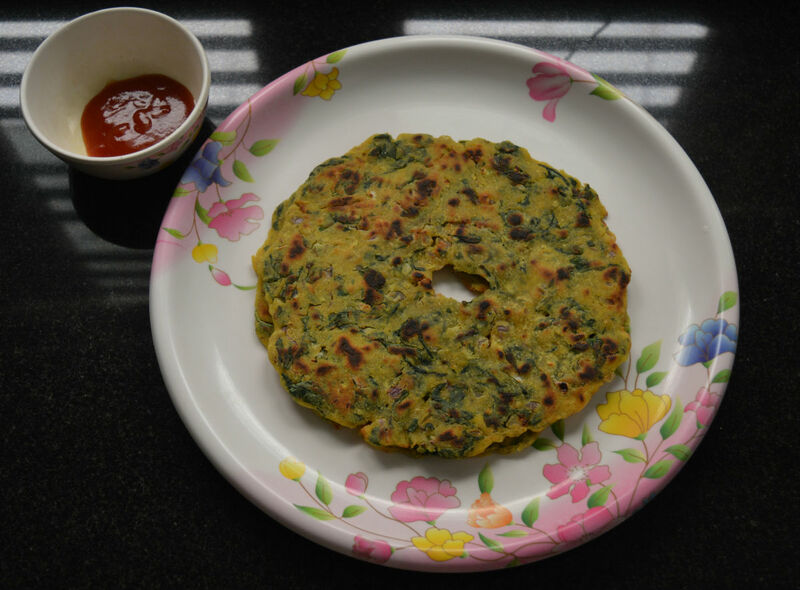 Spinach puris are crispy and scrumptious. Potatoes contain a wealth of health benefits that make it a staple vegetable for many. 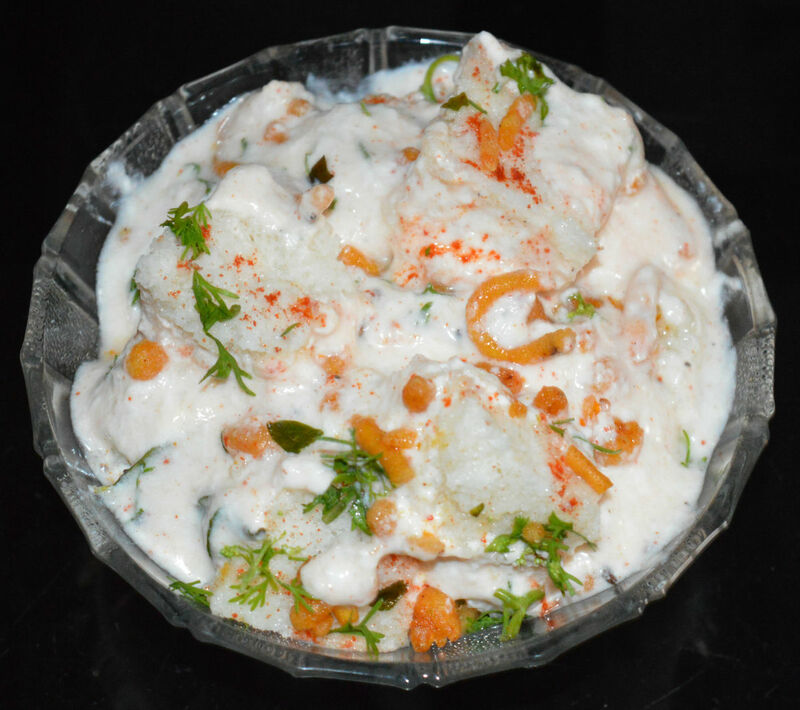 This boiled potato raita side dish is yogurt-based. It is very tasty, filling, and easily digestible. 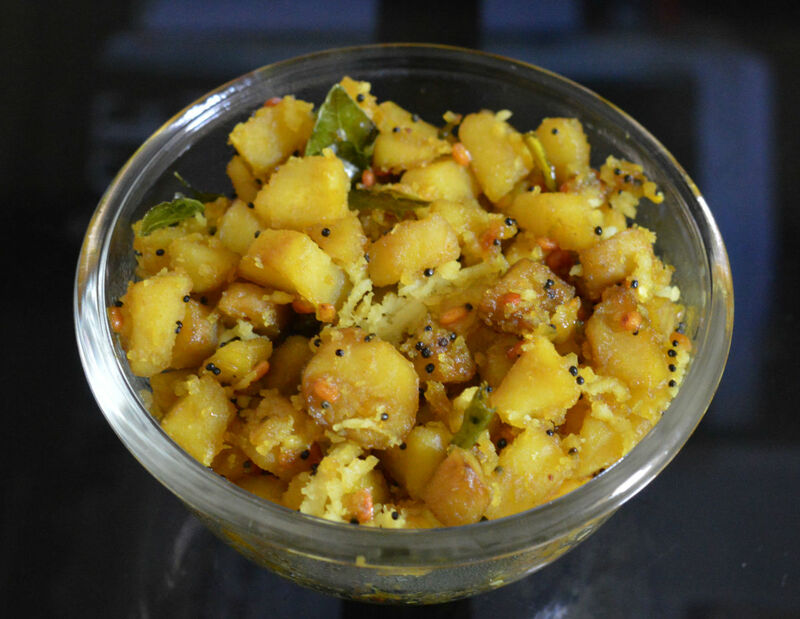 Making a nutritious and tasty breakfast typically requires prior planning, but this instant poha idli recipe is an exception! 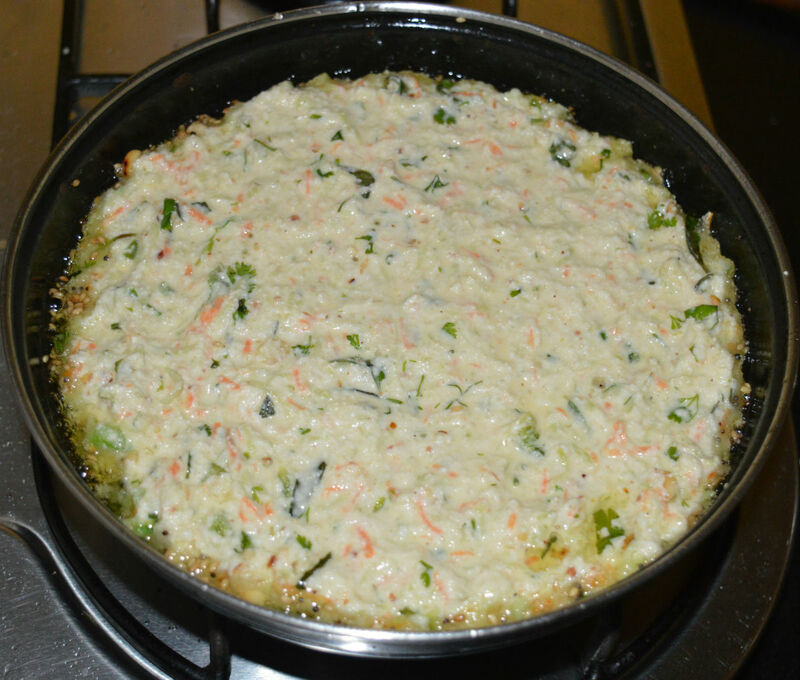 Vegetable tahari is a main course rice dish made with vegetables and curds. This is mild-spicy, aromatic, and very tasty. You can use it for breakfast or lunch. This can be packed to school or picnic. 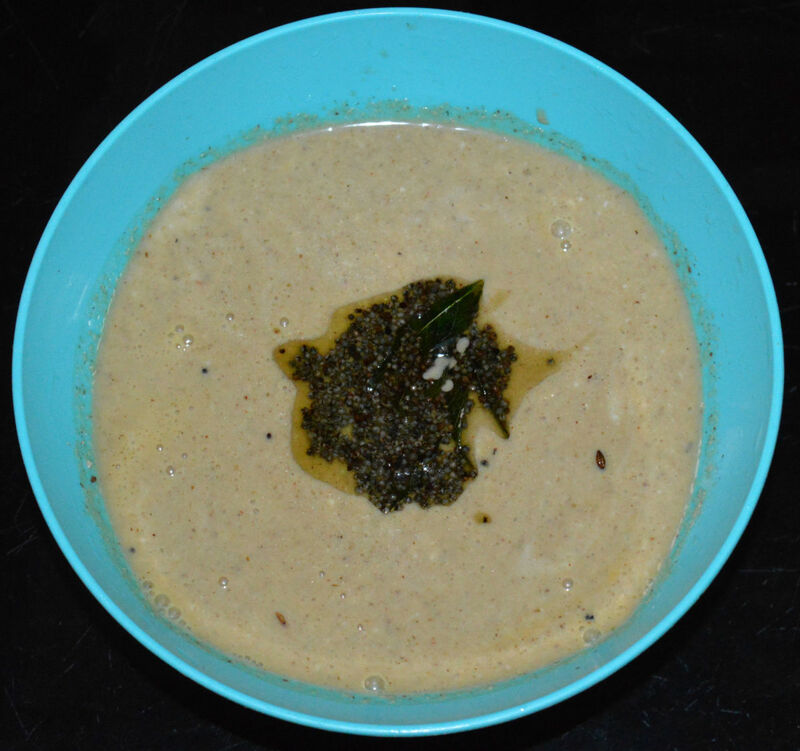 Tambuli, or cold soup, is a Karnataka specialty. 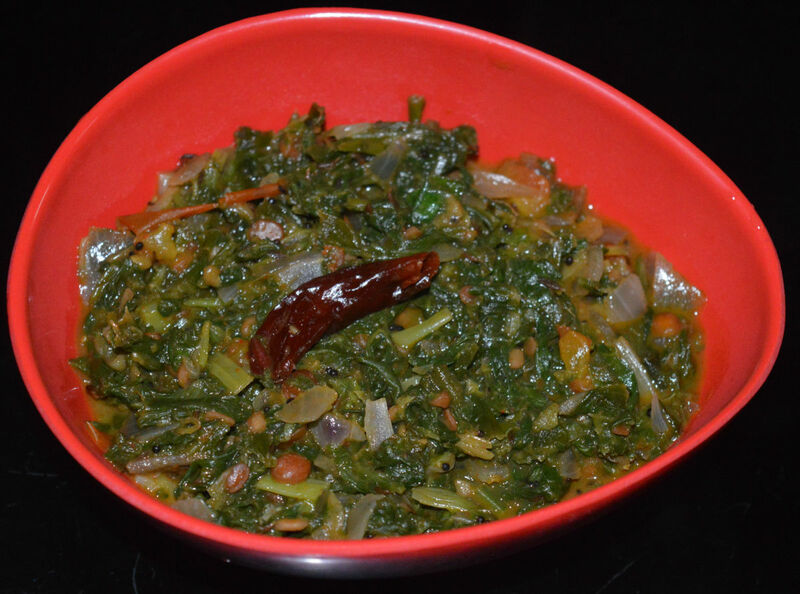 This fenugreek (methi) leaf tambuli is a yogurt-based dish that can be used as a side dish or beverage. 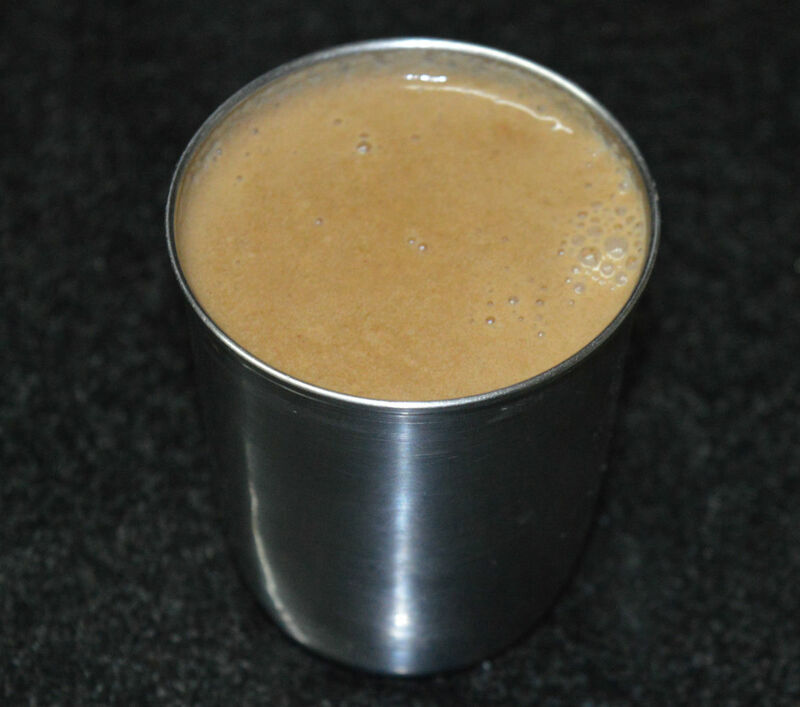 You can make this nutritious drink in a jiffy. Soups are refreshing and healthy. This spicy, sweet, and sour green pea- tomato soup captivates everyone with its bright orange and green colors. Both these veggies are nutrient-dense. Try this! Indian cuisine makes extensive use of coconut. These coconut barfi, or coconut cakes, are deliciously juicy and flavorful. This is one of the easiest soups I have ever made. You only need five ingredients that you may already have on hand. Not only is it easy, but it's yummy, too! I always look for recipes that are healthy and delicious. This coconut pulao was tempting me. I made this with simple ingredients that are available in my kitchen. 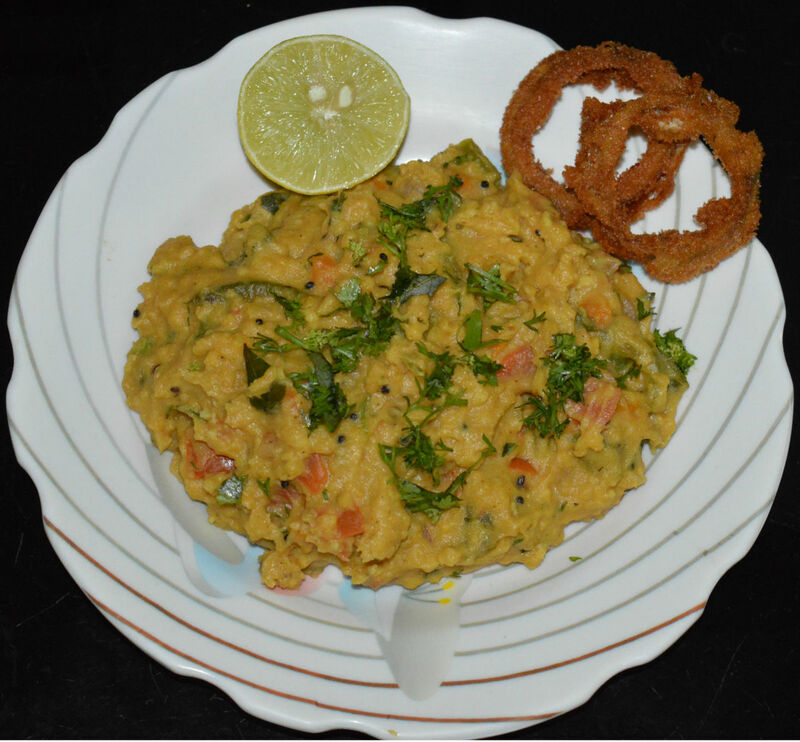 Try this awesome vegetarian dish! Making a healthy and yummy breakfast is everyone's wish. 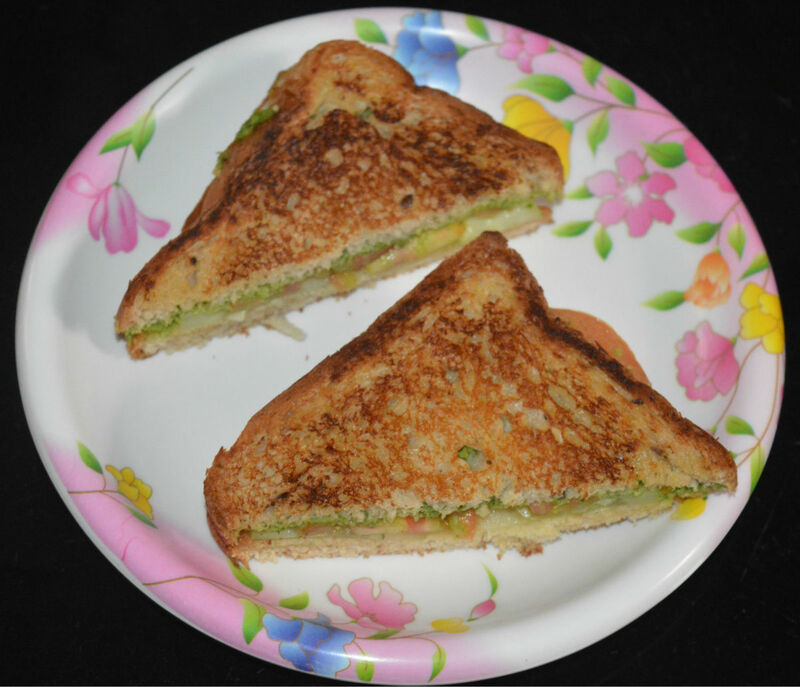 Try this corn sandwich to satisfy your taste buds. 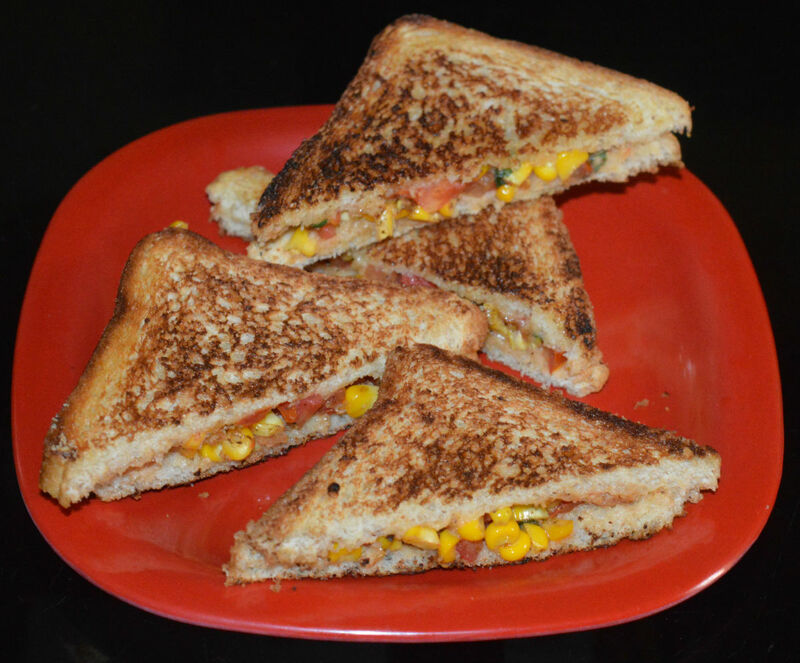 You can make this crunchy and flavorful corn sandwich quickly. 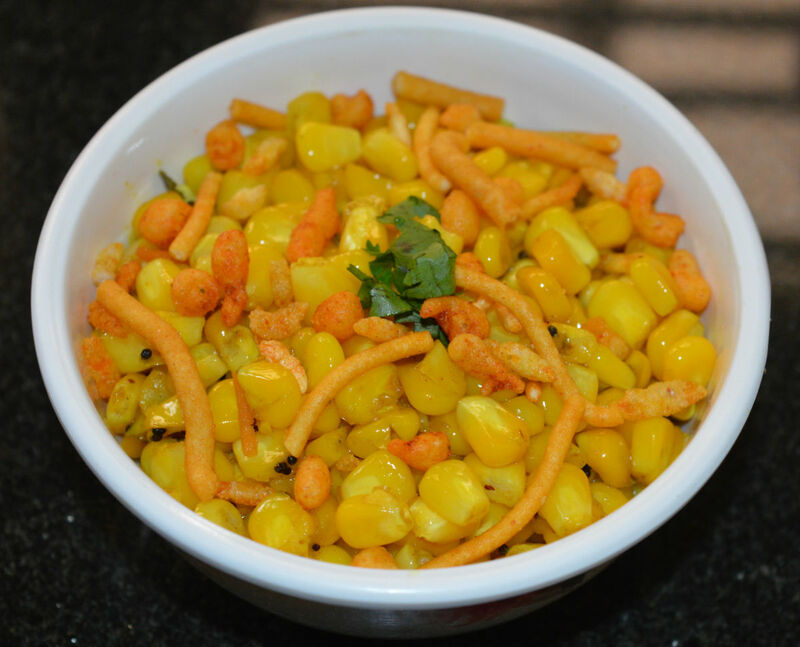 Confetti corn is a colorful and very tasty dish. It is silky, buttery, spicy, and flavorful. It will leave you craving more. This is a 15 minutes recipe. It costs very little. Just try it! Everyone loves to eat potato wedges, and they make a great party appetizer. You can easily make these crispy and delicious snacks at home, and you don't even need an oven. Just follow these simple steps! 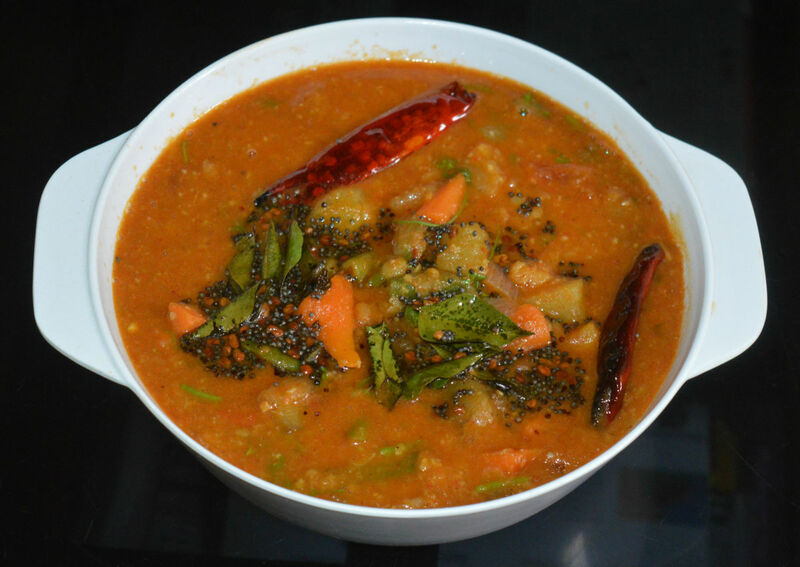 South Indian sambar is a spicy lentil curry with a thick, aromatic gravy and lots of veggies. 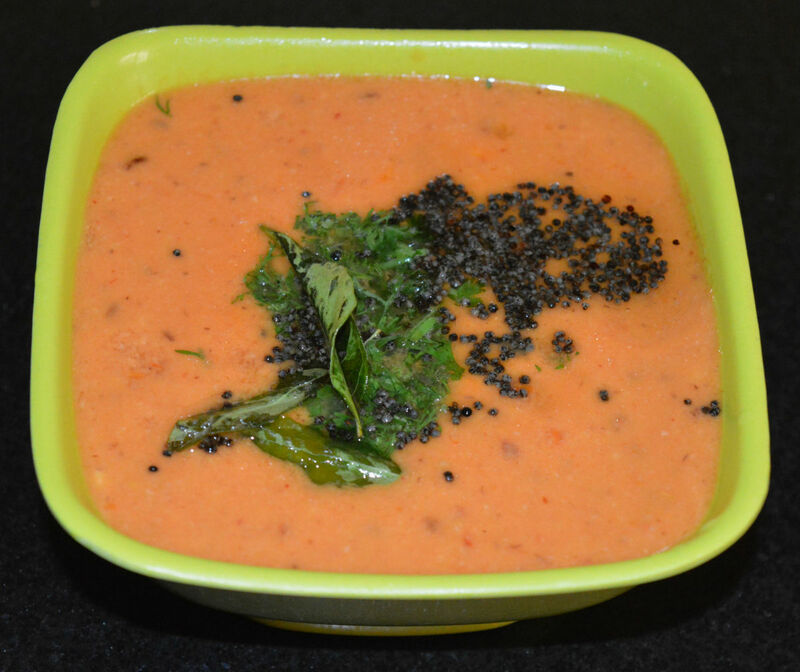 This healthy dish pairs well with plain rice, idli, dosa etc. You can use it as a side dish with any meal! Bitter gourd contains numerous important nutrients. People like to use this veggie mainly to stay in good health. This stir-fry is an easy recipe. It is tasty too. Use it as a side dish for the meals. This is my favorite soup, as it has veggies and milk. This soup is not sour. We don't use tomato in this puree soup. This peppery soup is palatable. Sip this smoky-flavored soup on a cold evening. Banana is a good source of protein, vitamin B 6, vitamin C, fiber, calcium, iron, and minerals. It is a tasty fruit. 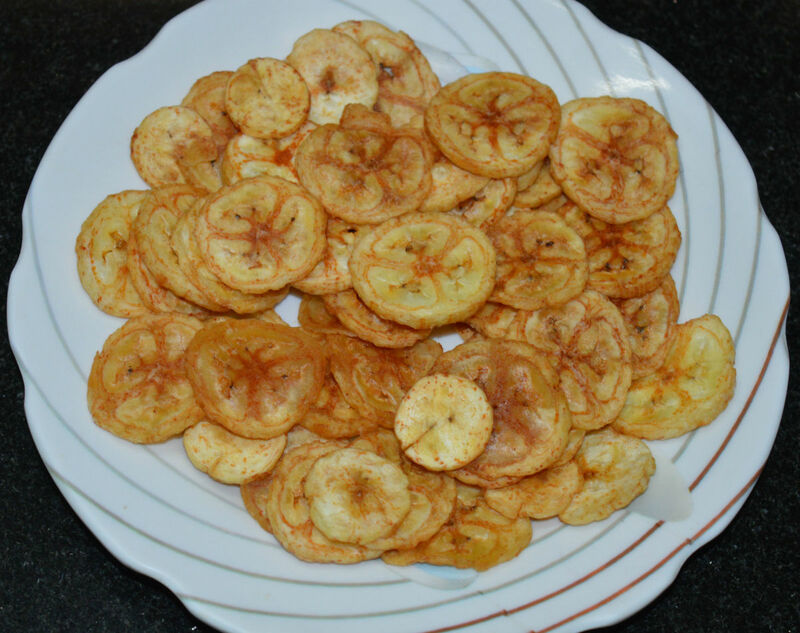 Nendra banana (plantains) is a special variety that you can use both raw and ripe. Using mixed veggies in a soup means you'll have a hearty, nutritious meal. 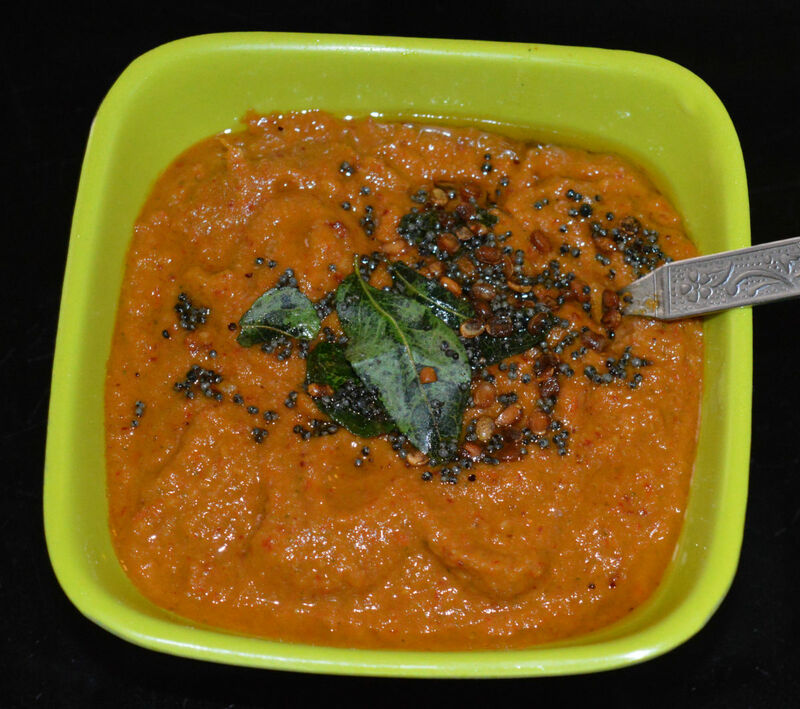 I used carrot, tomato, beetroot, onions, garlic, cumin, ginger, and butter in this puree soup. This soup is colorful & tasty. Green peas are nutrient-dense. They are very delicious. This veggie is seasonal. Hence, buy them when they are abundant and preserve for the future. Here's an easy way to preserve them at home. 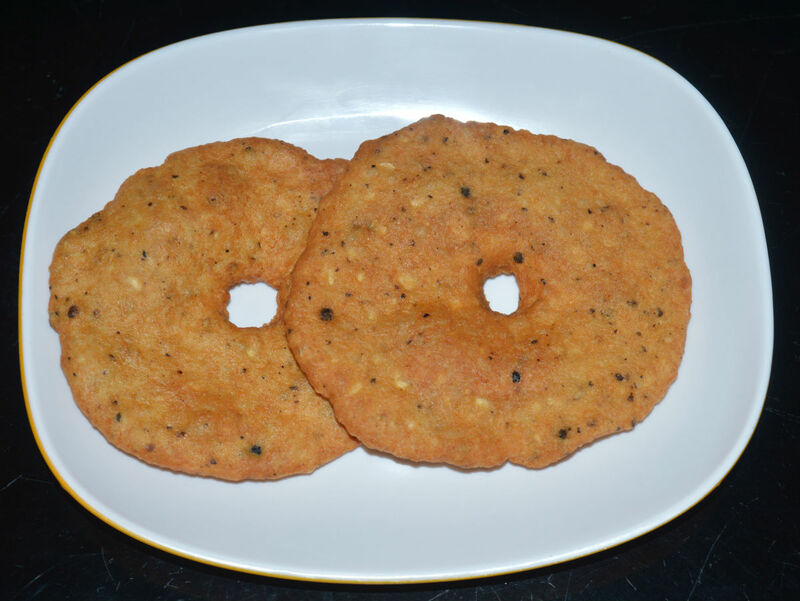 Urad pepper vada is popularly known as Anjaneyaru vada, as devotees adorn Lord Anjaneya with garlands made of these vadas. 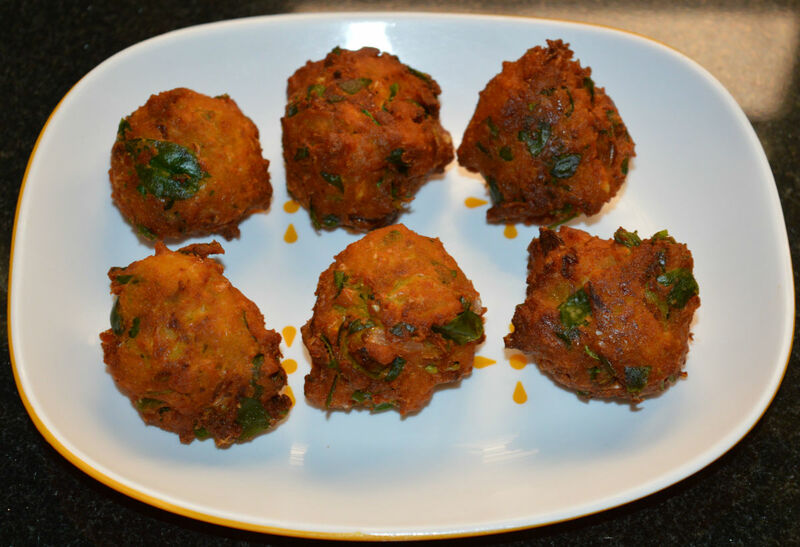 These vadas are extremely delicious and flavorful even when they are cold. 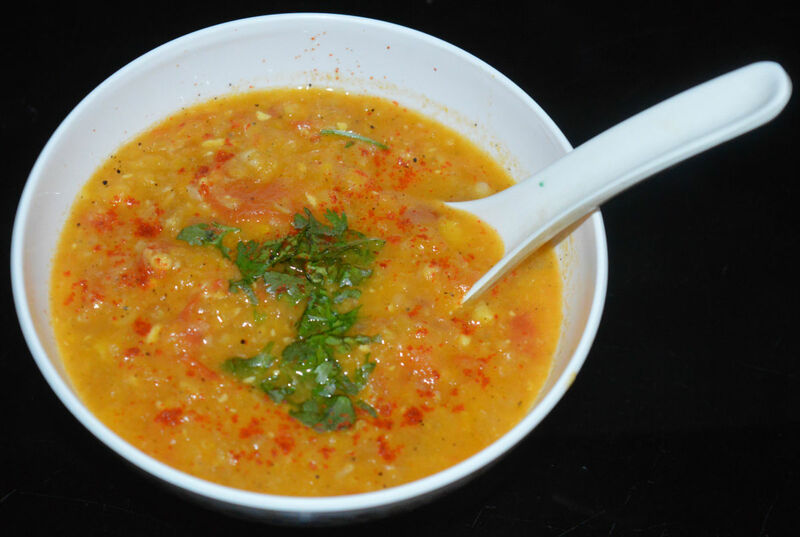 This corn-tomato chowder is a rich soup with a strong garlic flavor. Here, roughly ground fresh corn and tomatoes are sauteed with butter. This soup is spiced up with onions, ginger, and garlic. 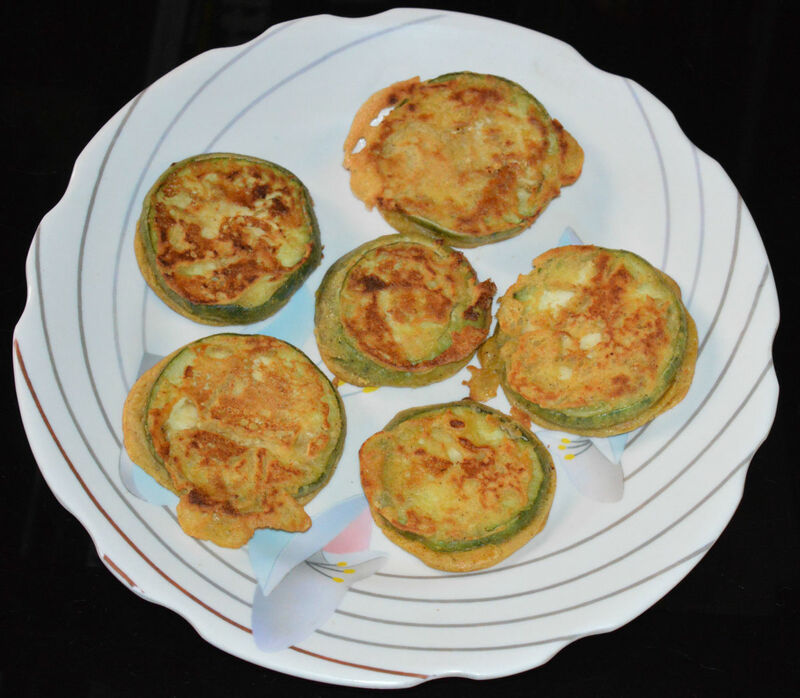 Sweet corn cutlets can be a healthy after-school snack that children will love to eat. I used potatoes, corn kernels, and flattened rice to make this. 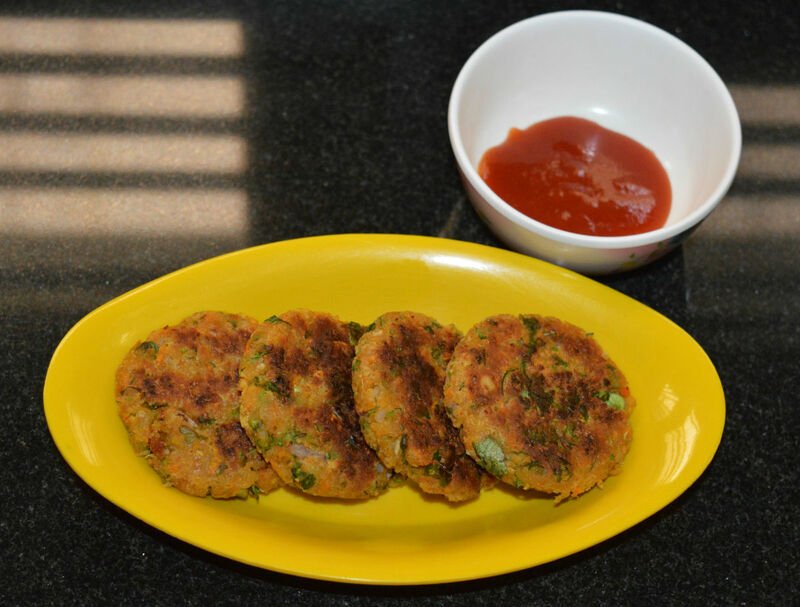 Serve these yummy cutlets with tomato sauce. Breakfast is the main meal that keeps us energetic and healthy. We need nutrient-rich and delicious food in the morning to revitalize our body. Here is a list of top five popular Indian breakfast dishes. Try! 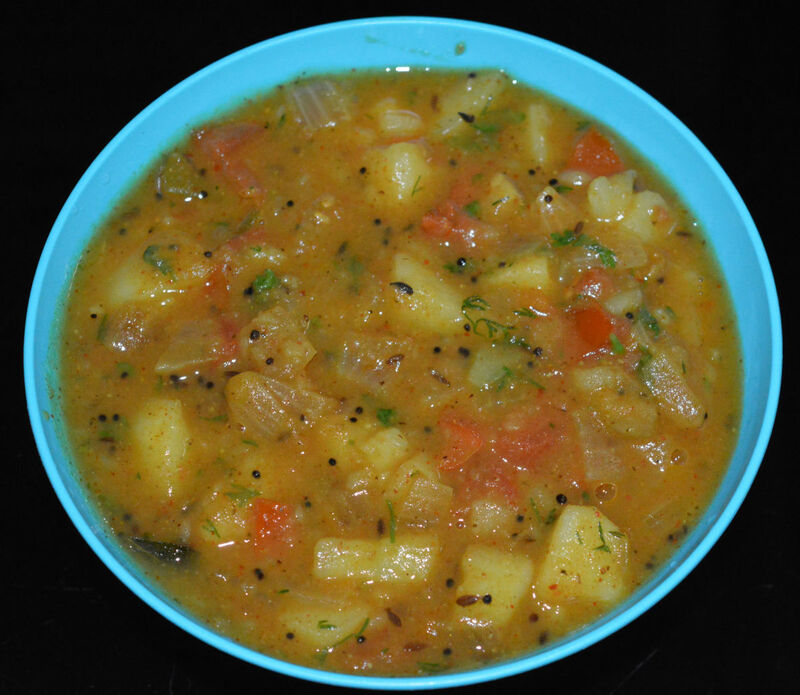 Vegetable kolhapuri is a dish from the city of Kolhapur in Maharastra, India. It is a mixed-vegetable curry with a thick & spicy gravy. It is served as a main course with roti, chapati, or flatbread. 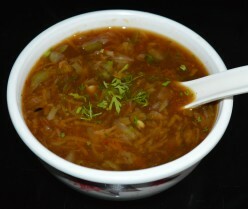 Crunchy textured kohlrabi (knol-khol) is known to have abundant fiber and vitamins. It is low-calorie, low-fat, and has no cholesterol. 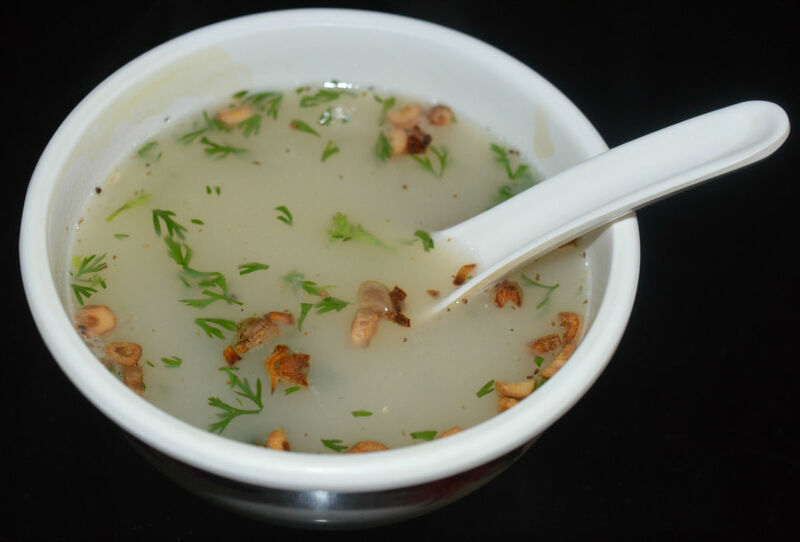 This soup is very delicious and healthy. Try this winter winner! 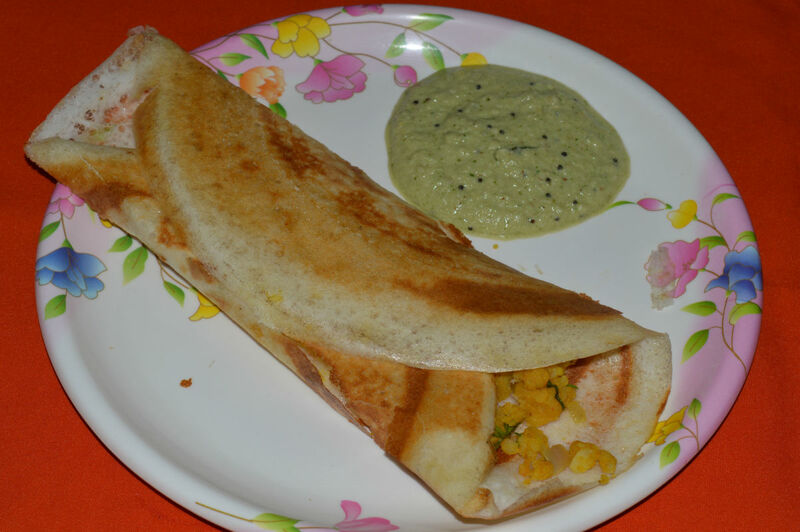 Masala dosa is a popular Indian breakfast dish. The classic version has a potato filling. For a change, I made the stuffing with potatoes, onions, and carrots. Try this versatile & tasty dish. Fenugreek leaf is a known source of fiber, iron, protein, and minerals. It has few calories. This leaf has a unique aroma and flavor when cooked. Hence, it is a popular culinary ingredient. 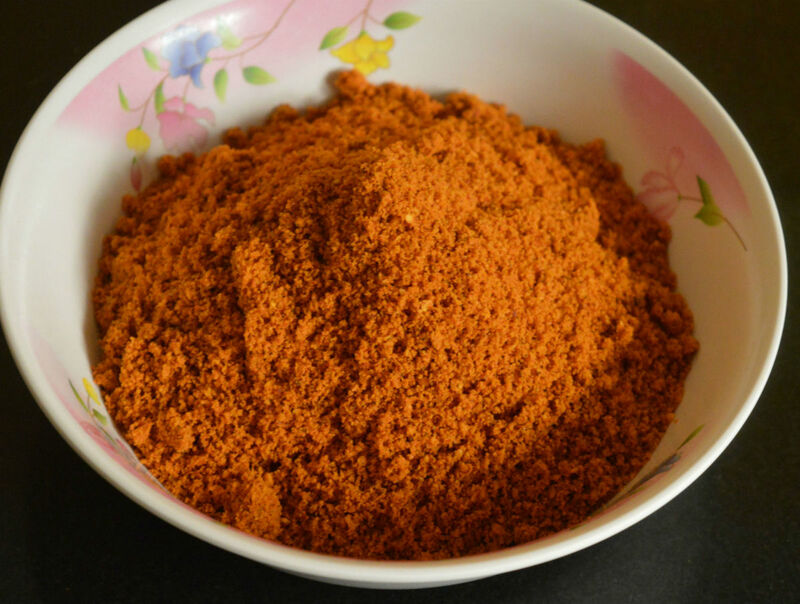 Garlic chutney powder(dry chutney) is one of the best condiments you can think of. It is delicious as well as nutrient-rich. This spicy, pungent side dish enhances the tasty of your meal. 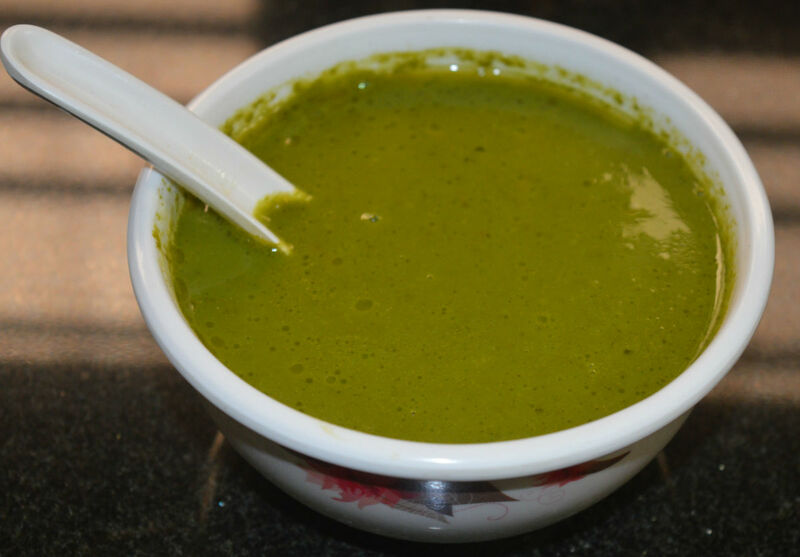 Green coriander dry chutney/chutney powder is a tasty condiment that enhances the taste of any meal in which it is used as a side dish. It is a hot, spicy, flavorful, and tongue-tickling condiment. Mixed-vegetable curry has many benefits. You will get varieties of nutrients in a single dish. It is delicious as well. I used cabbage, onions, cauliflower, carrots, tomatoes, capsicum, & spices here. This sweet potato and sweet corn salad is a rare combination. This is a yummy snack that you can make in a jiffy. Even children love to eat this nutrient-rich, crunchy, and mildly sweet salad. Try it! 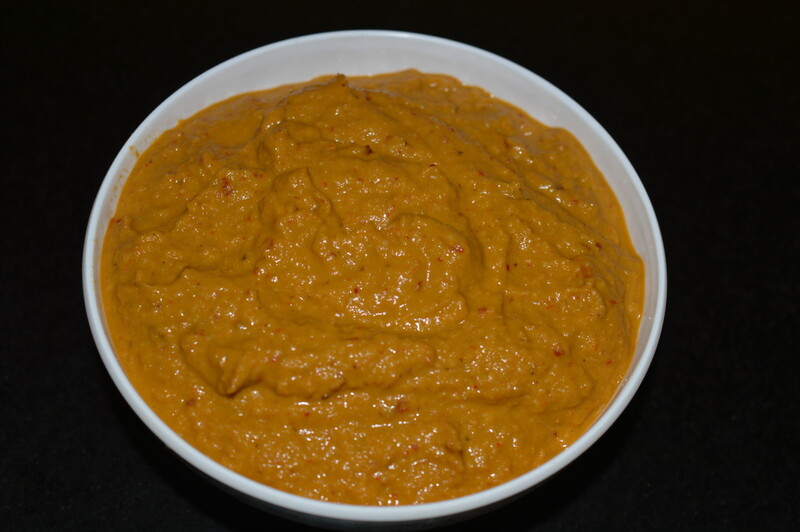 Spicy chutney powders make a yummy side dish. You can make these powders, and they stay fresh for months. 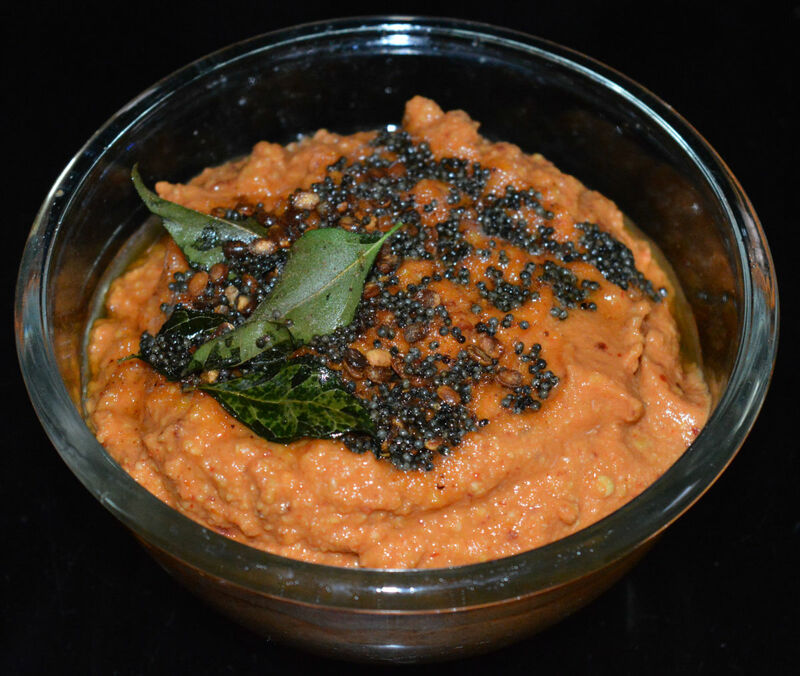 This roasted split chickpea and white lentil dry chutney is very tasty and aromatic. Horse gram (huruli) are rich in nutrients. They contain plenty of calcium, phosphorus, iron, and protein. They are known to make you strong. 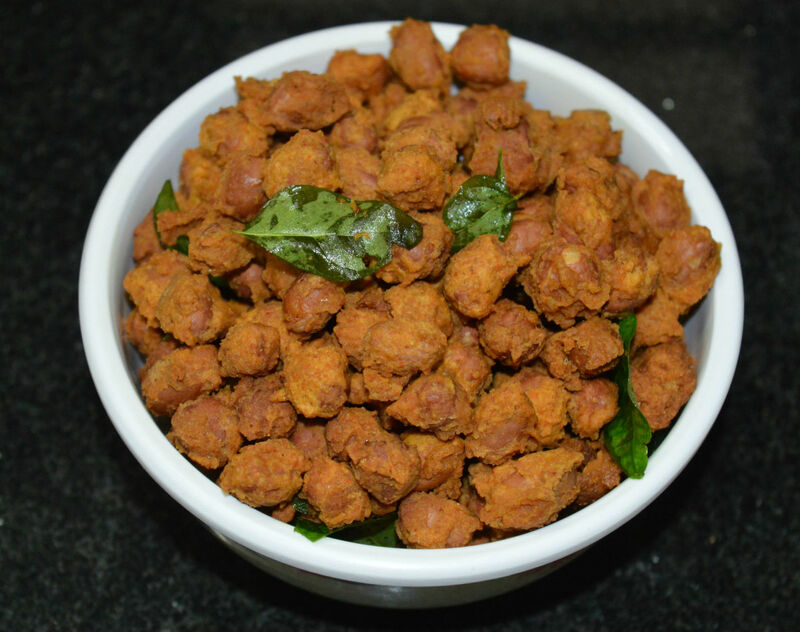 Horse gram kadubu/idli is very delicious and aromatic. Look at these ingredients! Ginger, garlic, and yogurt all have miraculous properties that are beneficial to your health. This beverage can be used as a side dish or drink. I made it in 10 min. 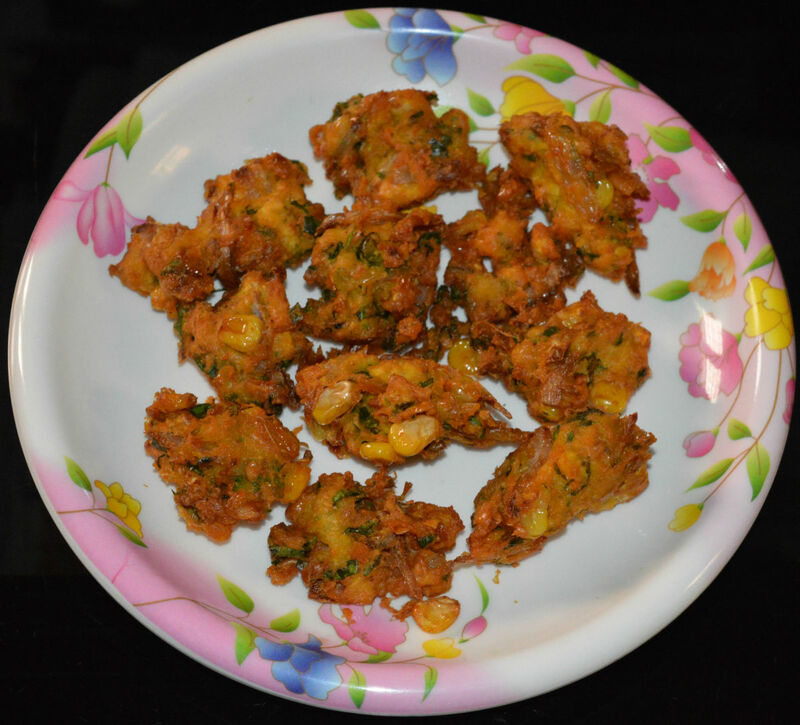 Vegetable fritters (pakoras) are loaded with nutrients. They are scrumptious as well. Yes. You can't think of an easier recipe than these fritters. Try these quick snacks on a leisurely evening! Spinach is a wonderful green veggie that has many nutrients. 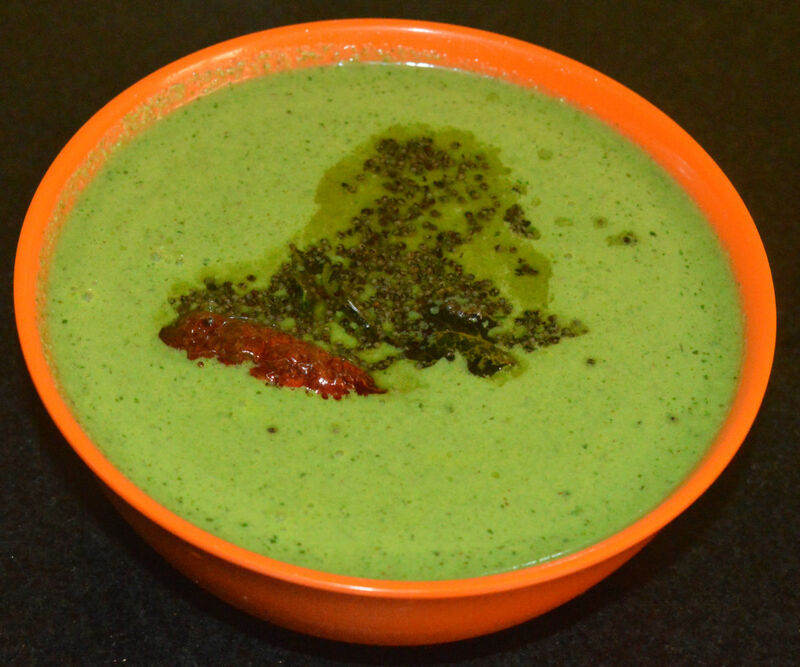 This spinach puree soup with white sauce is an awesome starter to enjoy a cold evening. This is a simple and quick recipe. 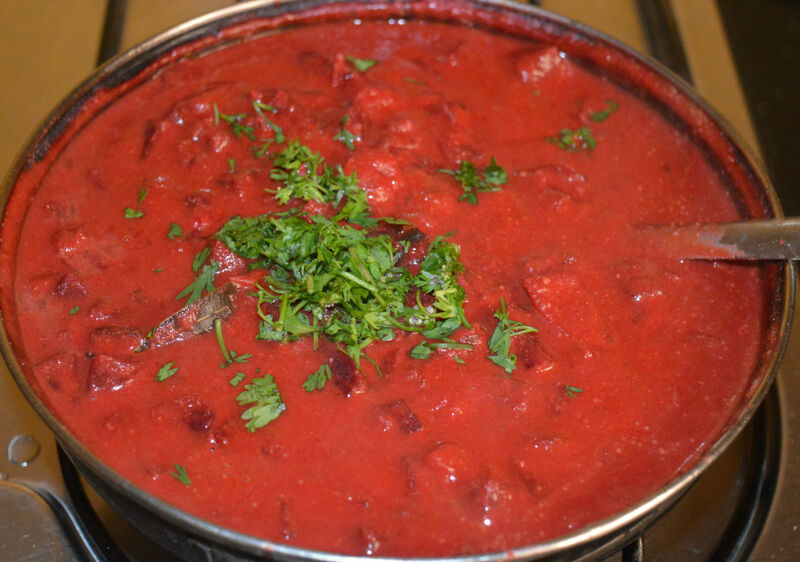 Beetroot kurma is a spicy curry that goes well with flat breads, roti, or plain rice. 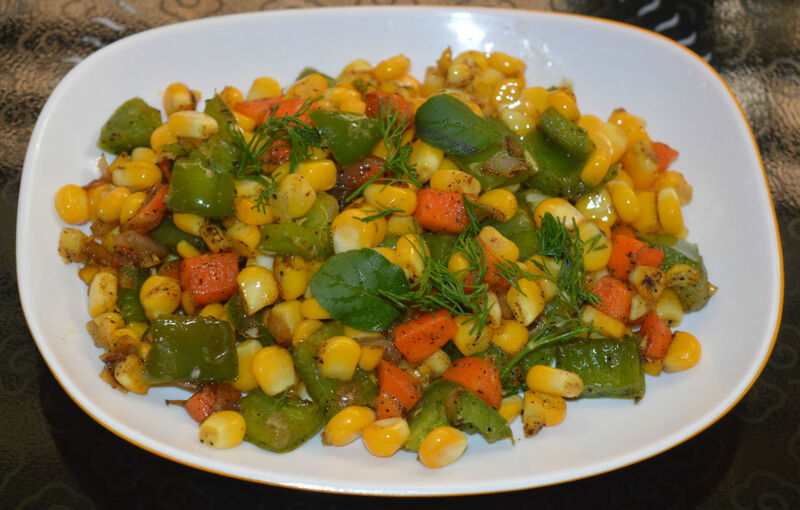 It is a nutrient-rich and mouthwatering side dish. Make this colorful curry on a leisure day, and enjoy the meal! Horse gram is a super food in its own right. It is tasty and nutritious. It energizes you. 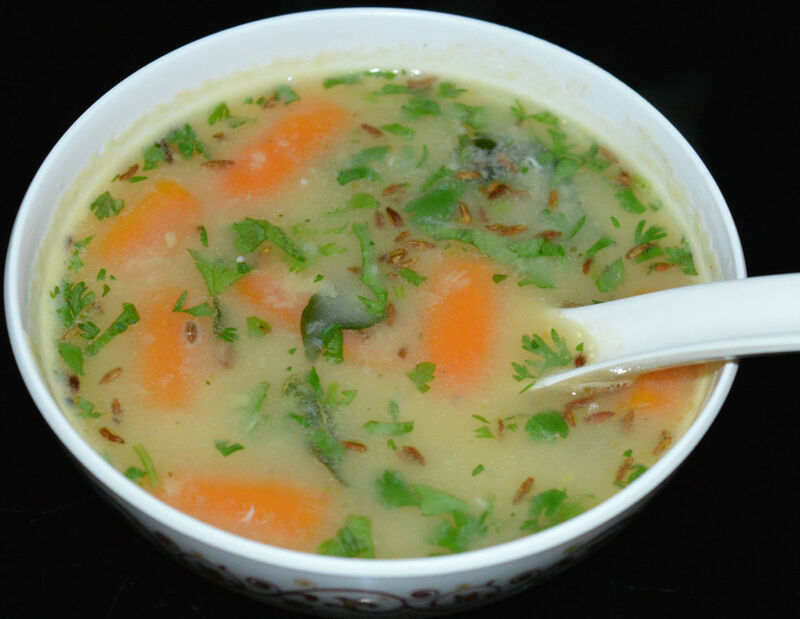 Horse gram rasam is a spicy, aromatic, and delicious side dish. It pairs well with rice. It's truly wonderful to have a nice morning salad. 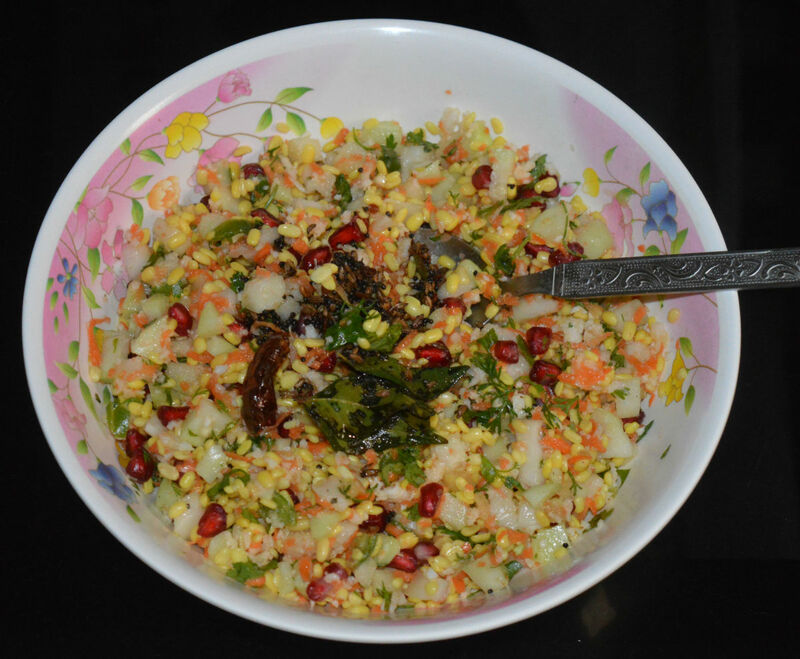 This knol-khol salad is a raw dish made with knol-khol (kohlrabi), pomegranate, split mung beans, coconut, ginger, green chilies, lemon, and salt. Fenugreek (methi) has a nice aroma that attracts everyone. 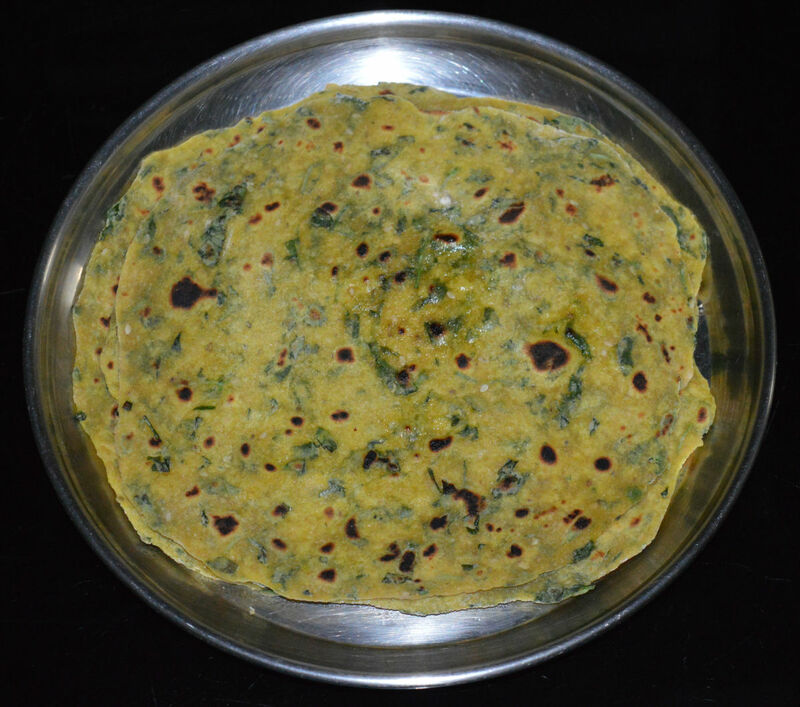 To make this roti, you have to mix fenugreek leaves with a spicy rice batter. Next, make yummy pancakes! 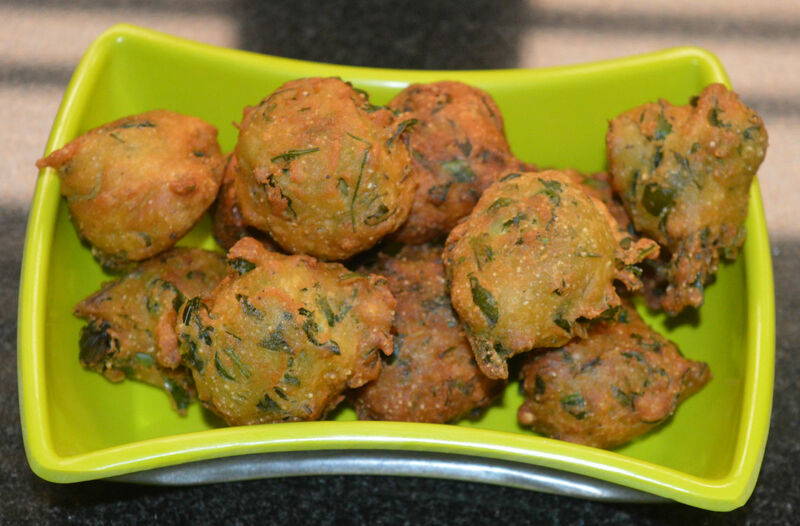 Methi pakoras, or fenugreek leaf gota, are a popular Gujarati snack. 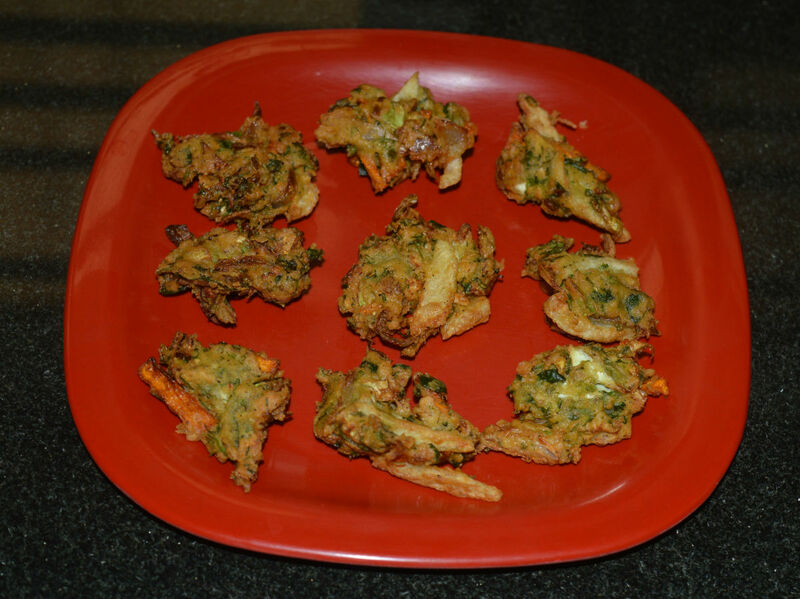 They are a spicy, crunchy, aromatic, and very delicious snack made with fenugreek leaves, spices, and gram flour. Cauliflower is a very good source of many nutrients that are required for our body. It has a unique flavor and nice aroma. 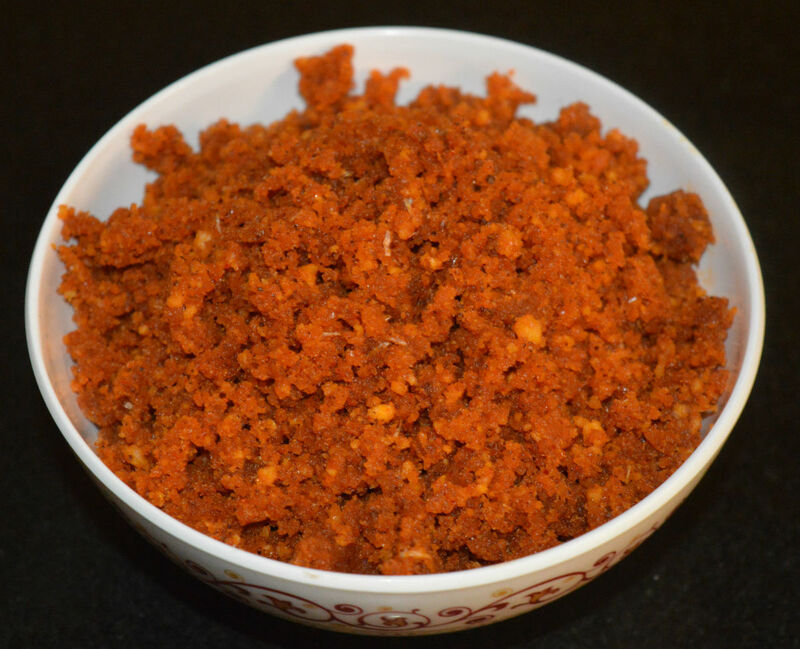 Cauliflower keema is a spicy, crunchy, and delicious curry or side dish. Cucumber, tomatoes, bread, butter, and green coriander chutney are the ingredients to make this sandwich. It's a bit like a grilled sandwhich. 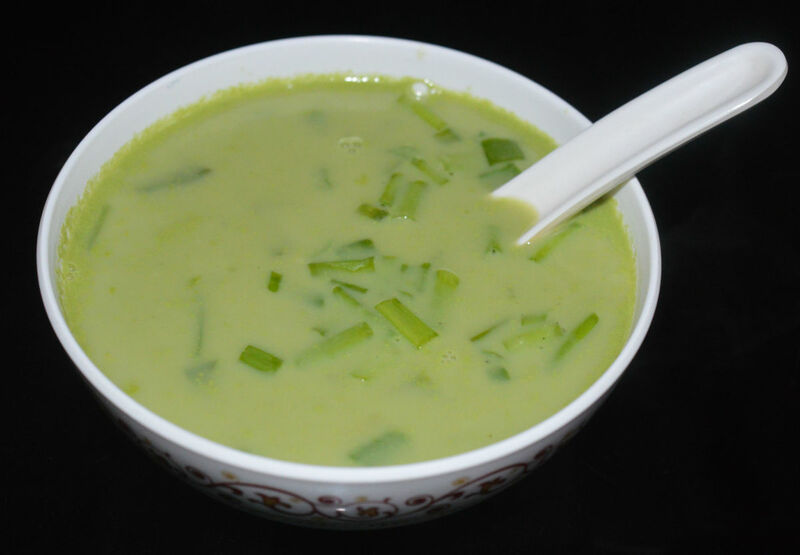 This green pea and spring onion soup is a unique dish. This soup has a smoky flavor. You can make this as spicy or mild as you desire. Both versions taste awesome! Yeah. This is a ten-minute soup. 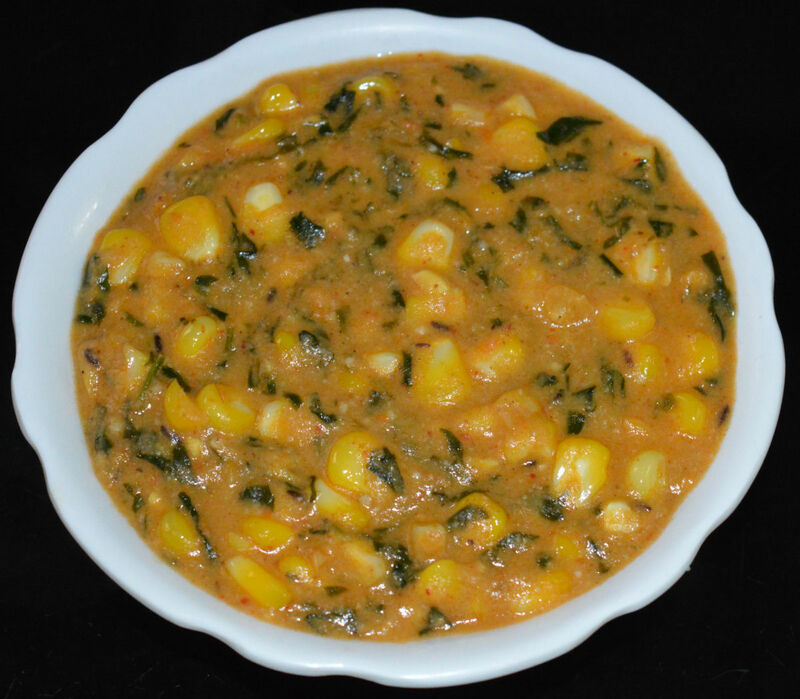 If you are single, go for this quick and easy corn and tomato soup. This soup is super yummy and nutritious. No lengthy procedure involved. 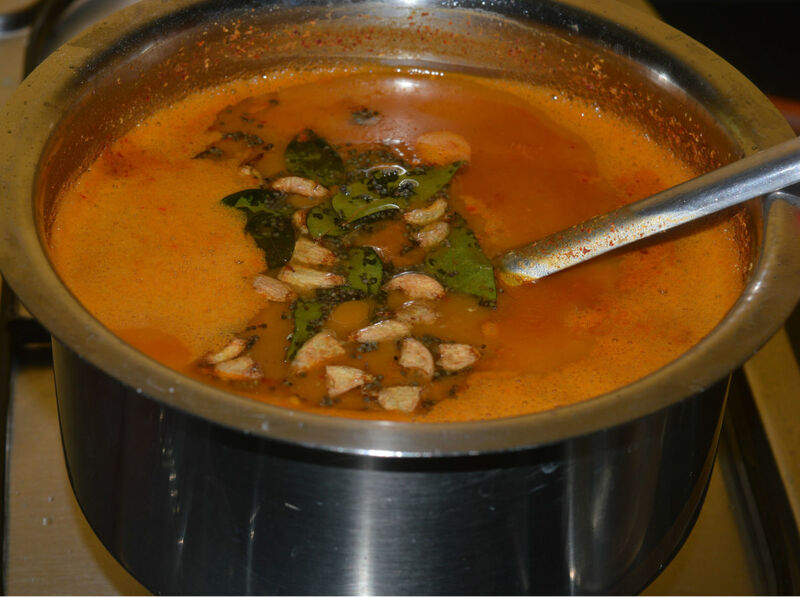 Try this lip-smacking soup! Spinach is an excellent source of vitamin E, vitamin K, vitamin C, calcium, iron, copper, potassium, etc. Spring onions and tomatoes make this curry tasty. Serve this spicy side dish with flat breads. 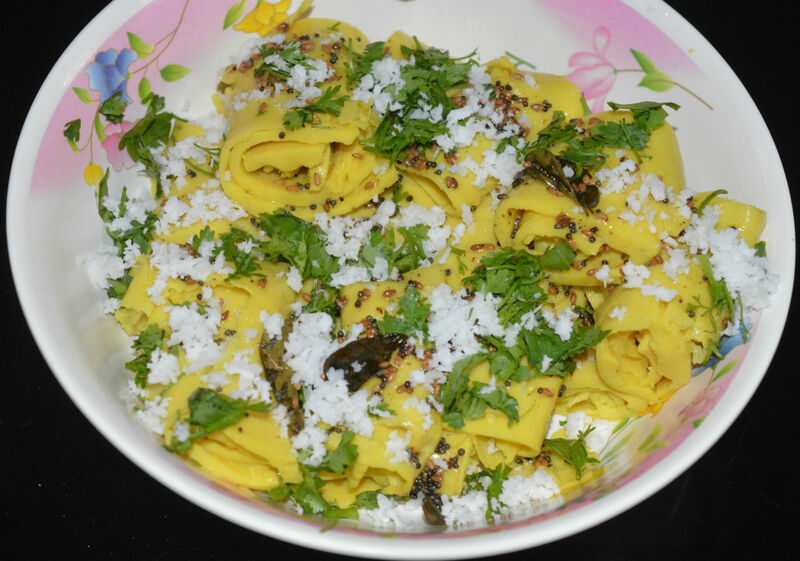 Khandvi is a famous Gujarati snack that's popular throughout India. The main ingredient is chickpea flour (besan). It is a very healthy and delicious snack, and they are fun to make, too. Try it! Ripe plantains are mildly sweet. 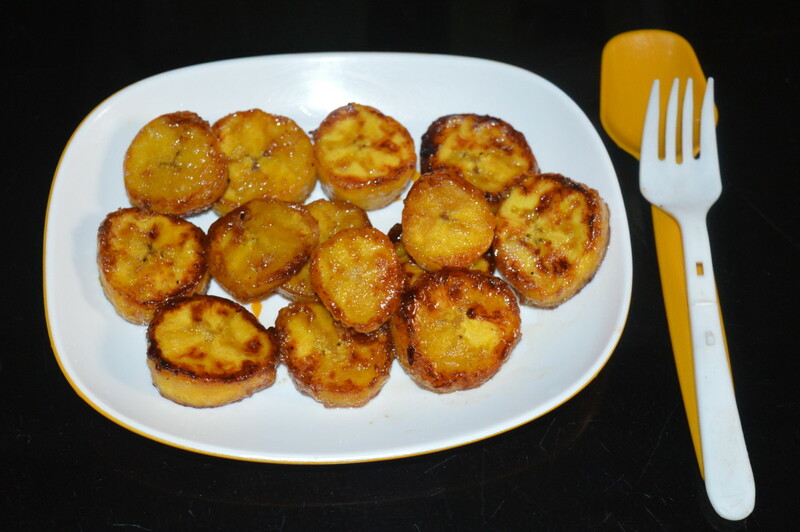 Plantains are also called cooking bananas. This side dish recipe is not spicy and is yogurt-based. It is an easy recipe. I made this raita in 25 minutes. Carrots are often said to be the perfect health food. They are crunchy, mildly sweet, colorful, and highly nutritious. 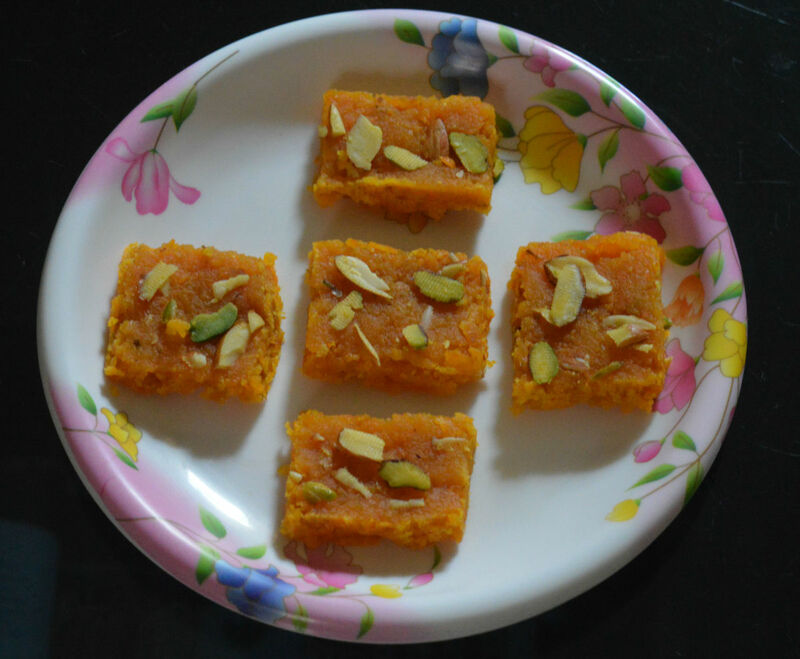 This carrot barfi is an awesome dessert loved by everyone. Try it! 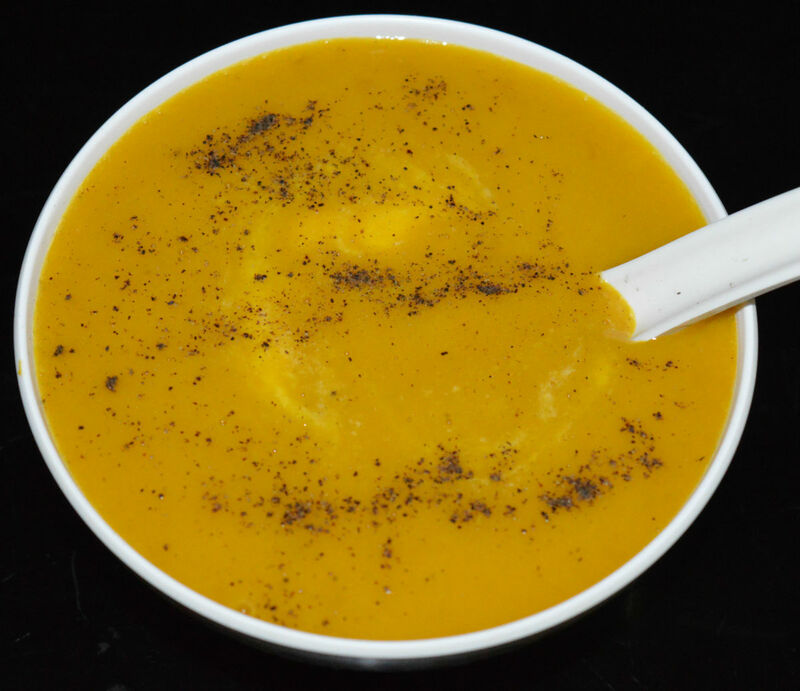 This awesome yellow soup has carrots, potatoes, and fresh corn. Nutmeg adds an excellent flavor to this. 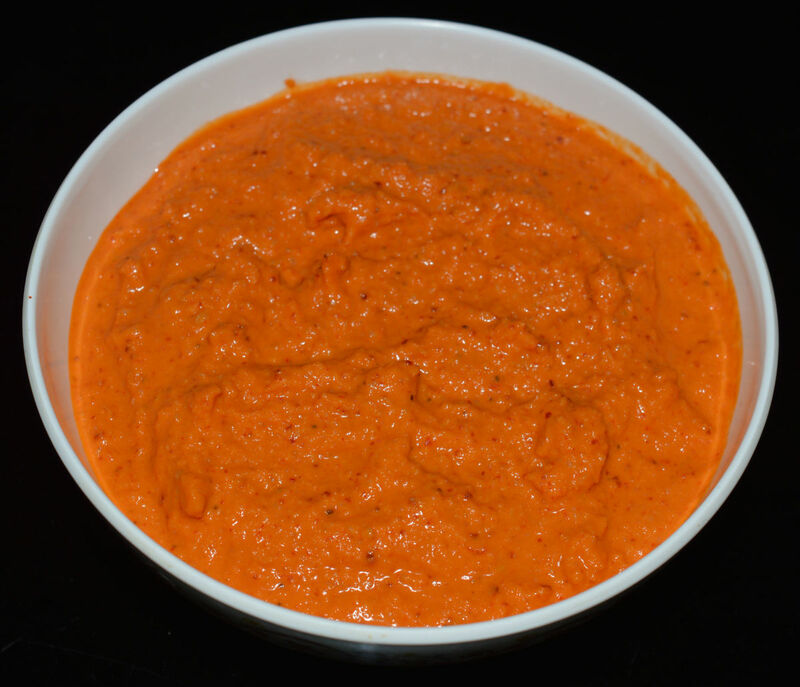 I served this puree with some yogurt and chopped pistachios. 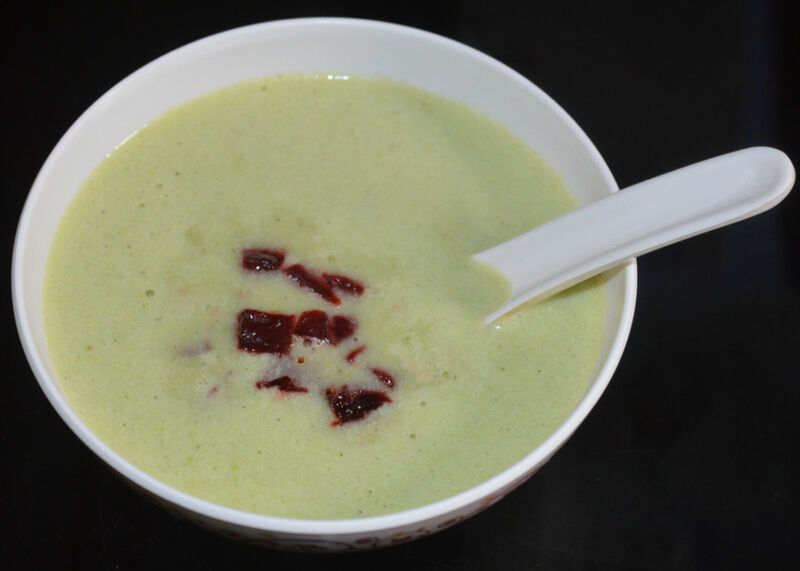 Try this creamy, veggie soup! 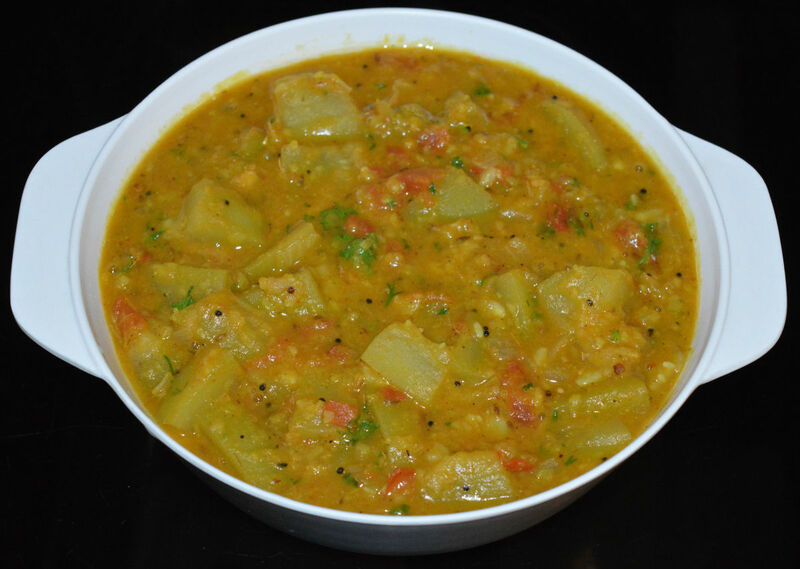 Brinjal sambar is super yummy because it is a perfect blend of hot, spicy, and sour. This green brinjal is patented. It is from Udupi, Lord Krishna's place. It smells unique when cooked. Mung sprouts are an excellent source of fiber and protein. They are low-fat and high in calories. These sprouts taste awesome when they are blended with spices and cooked. Try this scrumptious snack! 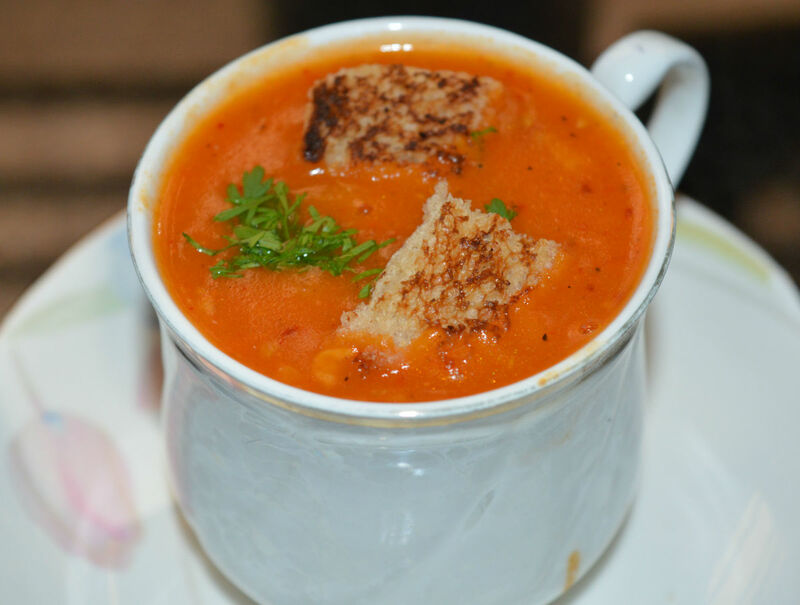 This bean and tomato soup is spicy and flavorful. Making it was easy. Garlic, ginger, pepper corns, and onions give this soup an intoxicating aroma. Garnish it with sauteed leafy greens. Enjoy! This is a unique side dish. In this, split chickpea paste is sautéed with fresh coriander, green peas, capsicum, and spices. This mildly-spicy curry goes well with rice, roti, flatbread, etc. 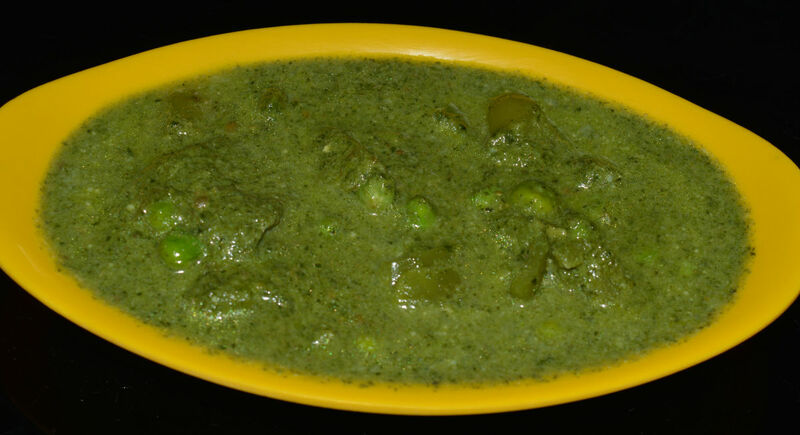 Spinach (palak) and green peas make a good combo. Spinach is an excellent source of vitamins, fiber, protein, and iron. Green peas also have similar nutrients. This winter soup is garlicky and tasty. 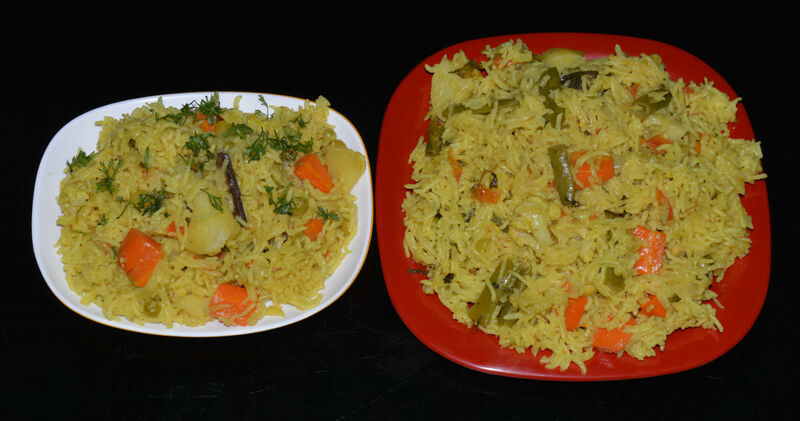 Sevai upma is a common breakfast dish in India. 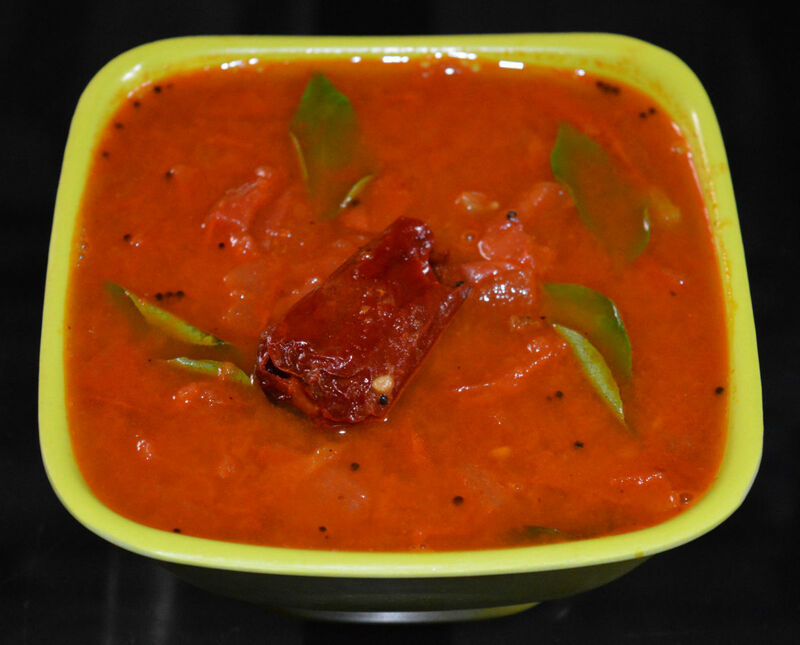 Tomato upma (tomato bath) is a healthy version of it that's mostly made of tomatoes. 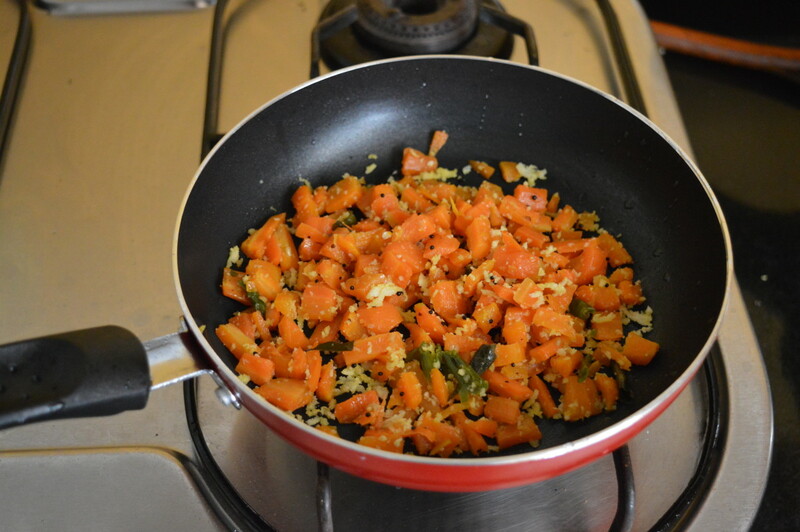 This bright-colored upma attracts everyone. Try it! 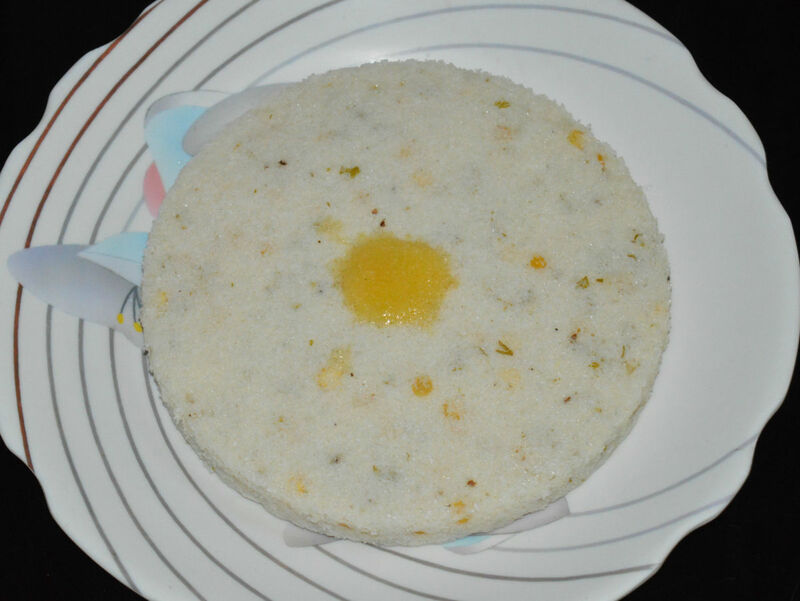 Rava idli is a popular Indian breakfast dish. 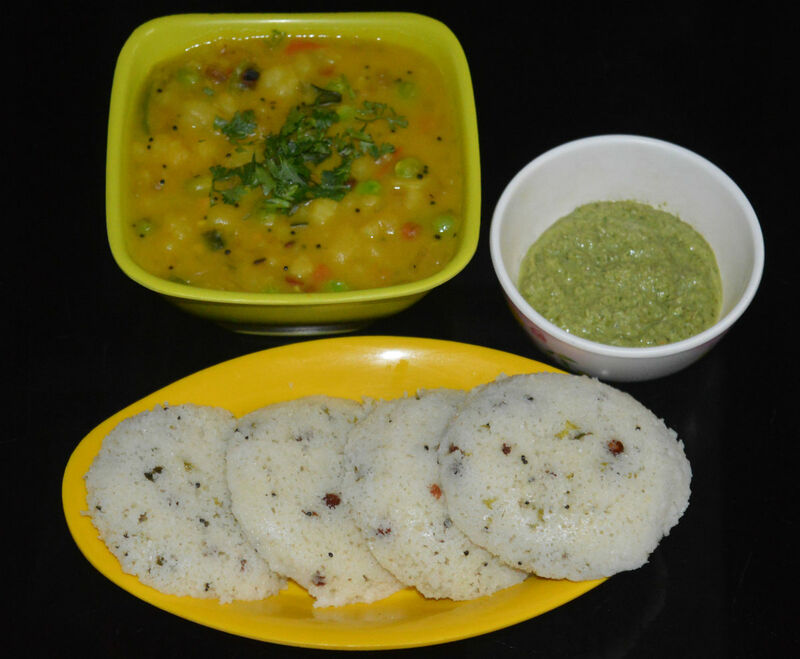 These soft idlis are very delightful to eat with a spicy coconut chutney or spicy sauce. This is an instant recipe. No need to ferment the batter. Try it! 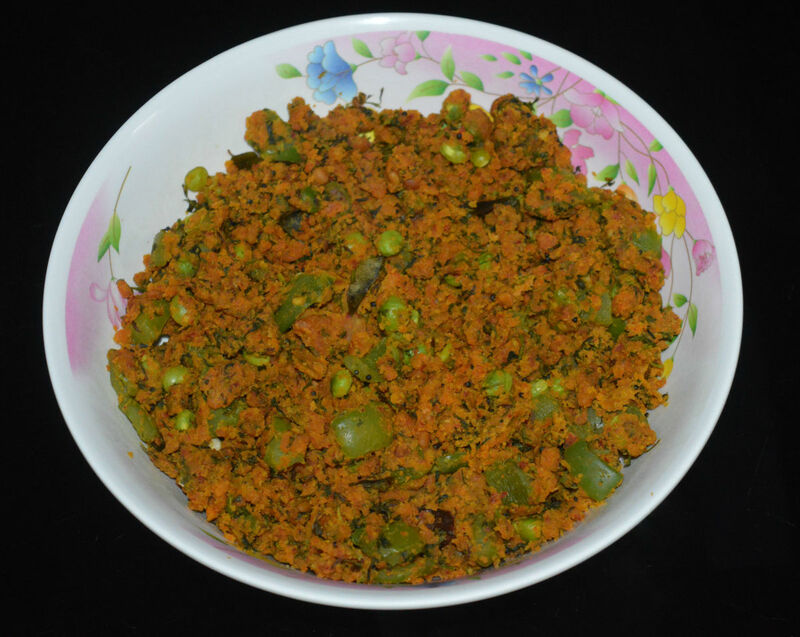 Bombay sagu is an excellent side dish that can be eaten with flatbread. It is a mildly spicy potato curry. 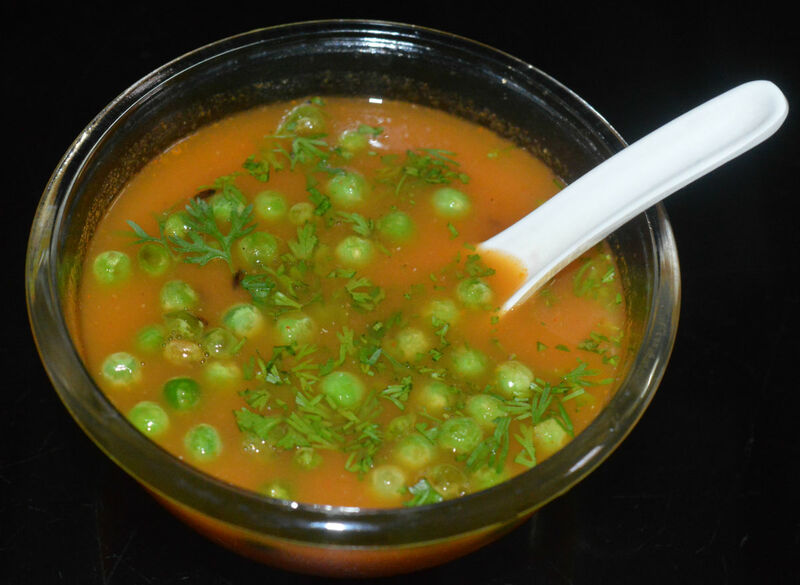 Fresh peas, gram flour, onions, tomatoes, and ginger also go into this mouthwatering gravy. 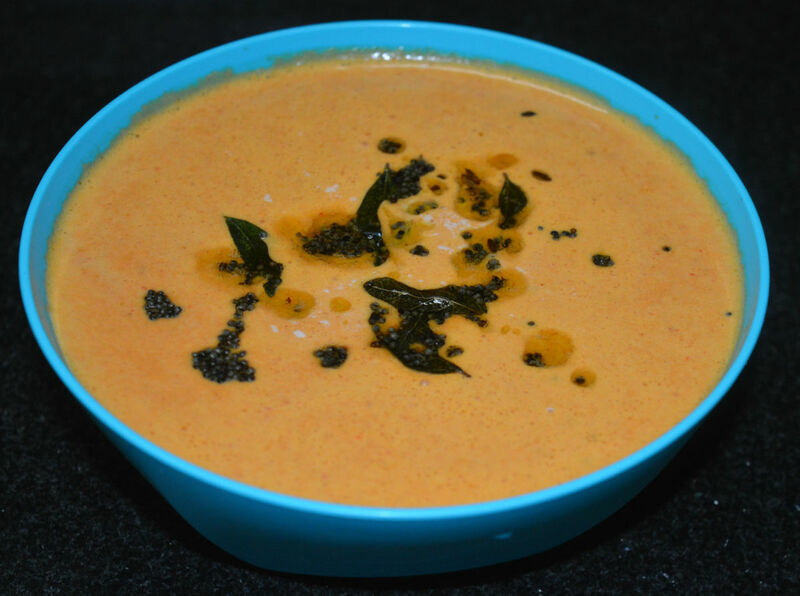 This creamy and spicy soup is wonderful in the winter. 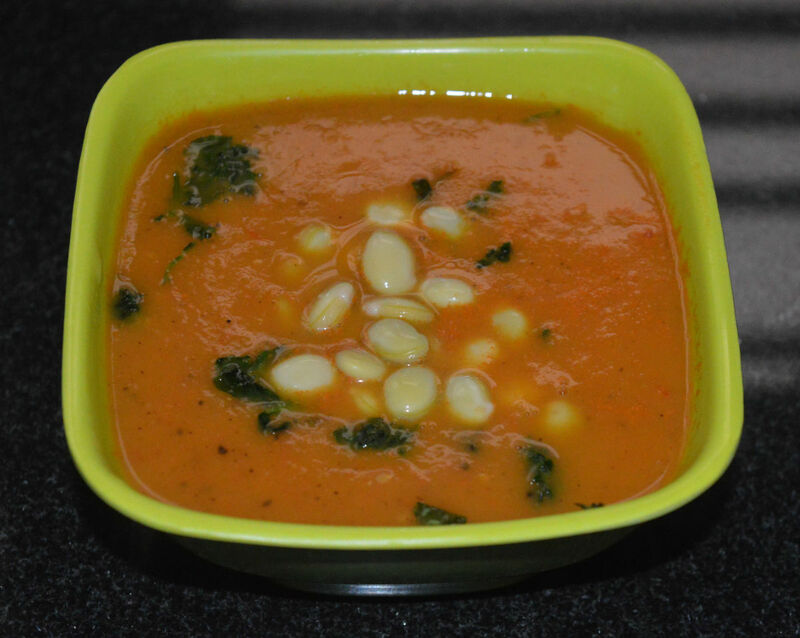 Boiled chickpeas, tomato puree, and natural spices blend to make this an appetizing, nutritious soup for a chilly day. 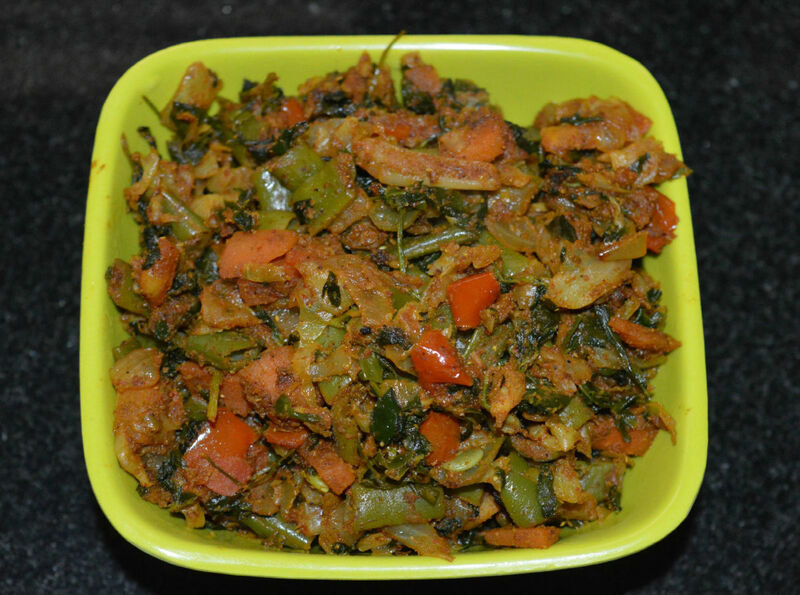 Knol-khol is a crunchy, low-calorie, low-fat, cholesterol-free vegetable. It is high in fiber and vitamins. This spicy curry has a hot and tangy tomato gravy. This pairs well with flat breads. Fenugreek has few calories, little fat, and lots of fiber. Many people love its distinct flavor. 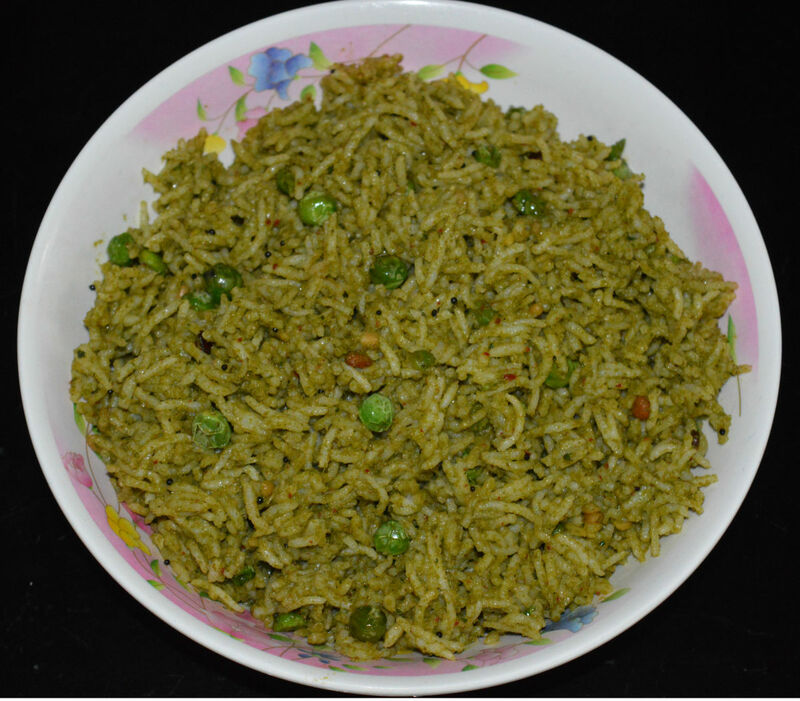 This rice is made with cooked rice, fresh peas, and various aromatic spices. Gooseberries (a.k.a. Amla) is a super-healthy food due to its high nutrients. It is a rich source of vitamin C, iron, antioxidants, fiber, and minerals. This beverage/tambuli is made of yogurt. Chickpeas are high in protein. They contain vitamins and minerals that help maintain good health. 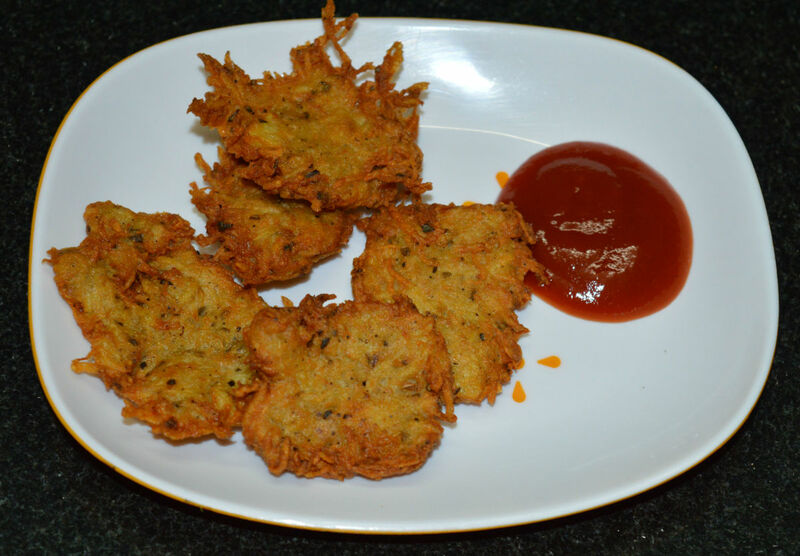 Chickpea and vegetable fritters are scrumptious and filling. These cakes are made with fresh spices. 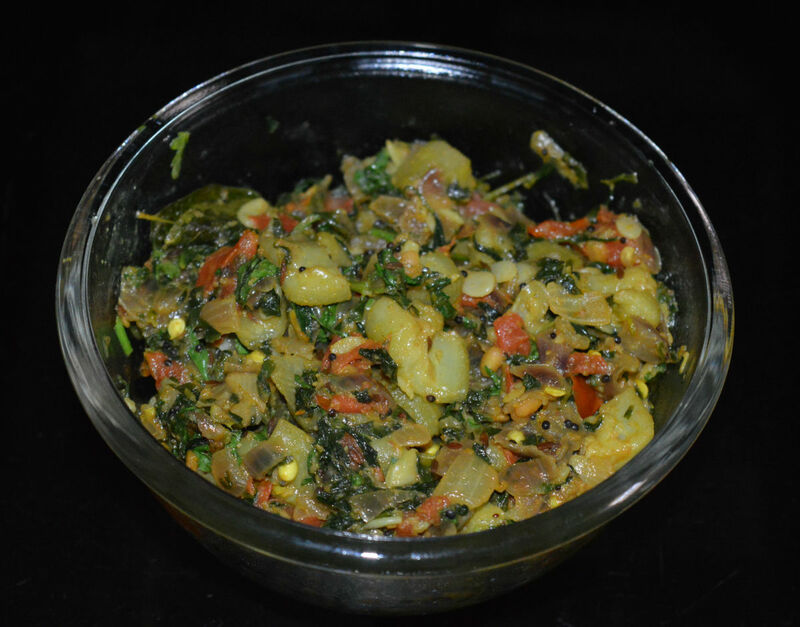 Mixed vegetable curry is not only delicious, it also provides your daily quota of veggies. You can make it in different ways. 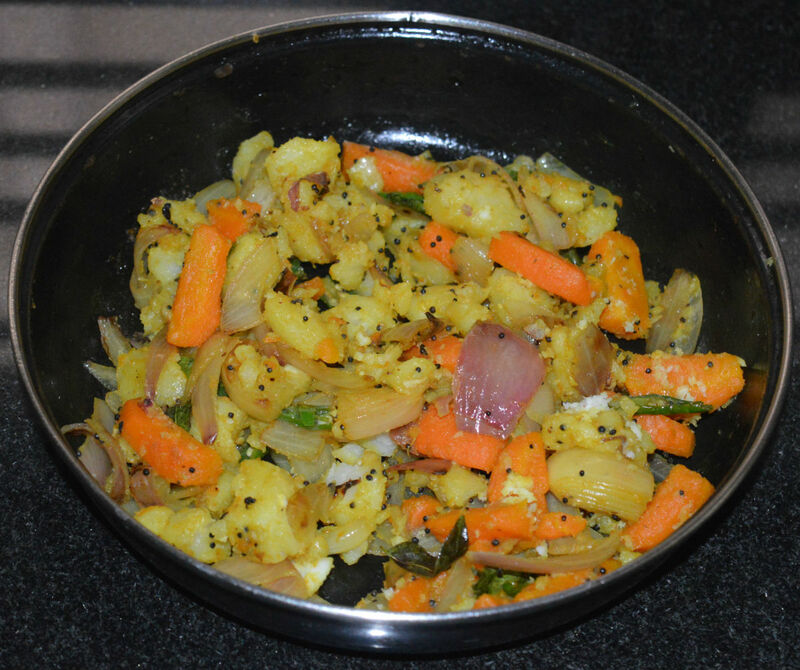 In this recipe, I used a proper proportion of veggies, paneer, and spices. 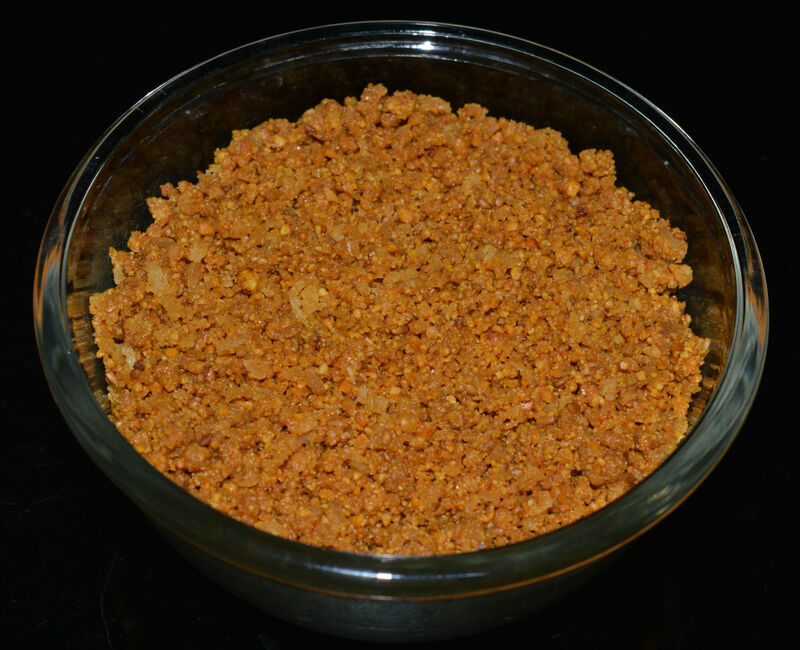 Kadale panchakajjaya is a savory snack made of roasted gram dal (split chickpeas), roasted sesame seeds, jaggery, ghee, and cardamom. These ingredients ensure that it has a yummy flavor and taste. These idlis are thin, round, aromatic, and mildly spicy steamed dumplings. Here, you mix split chickpeas, ginger, fresh coconut, coriander leaves, and green chilies into the idli batter. Crunchy and delightful, American corn has a uniquely sweet flavor that appeals to everyone. 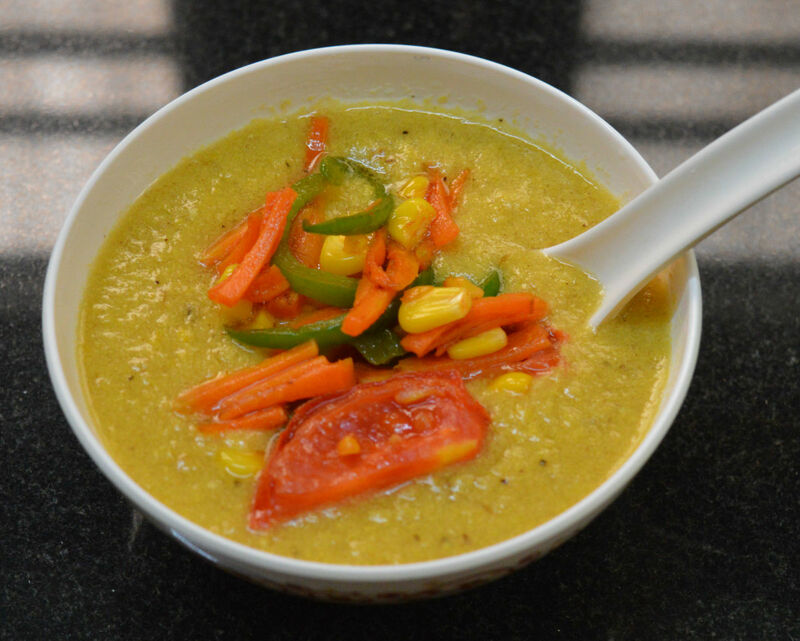 This corn soup is creamy and refreshing, and I have topped it with delicious sautéed veggies. 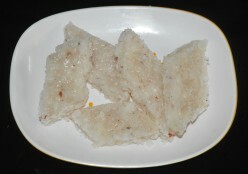 Tava idli is a variation of regular idli. You can use left over idlis for making tava idli. 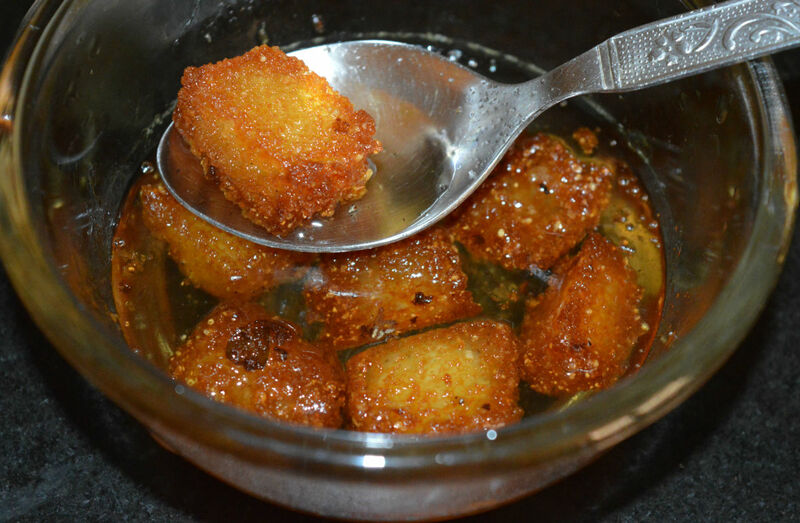 In this, bite-sized idlis are mixed with onion-tomato seasoning and hot spices. This is an awesome dish. 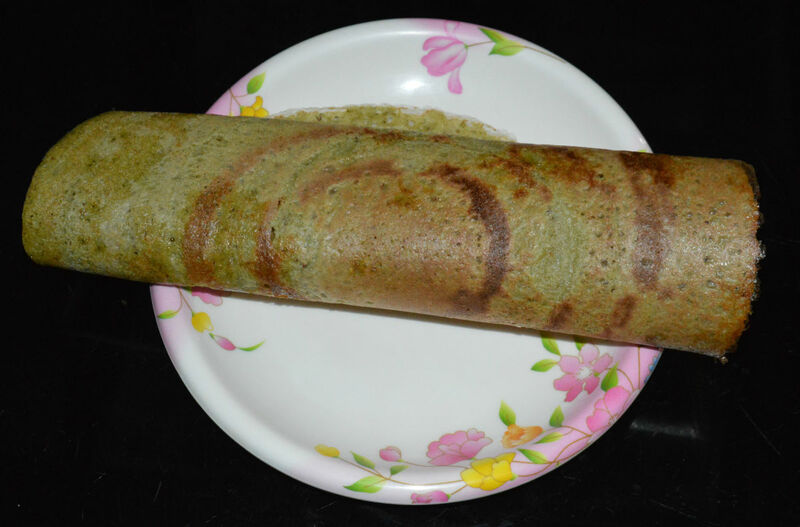 "Guliyappa" means "sphere-shaped" pancakes in Kannada. They are made in a pan that has 7 or 9 round depressions. 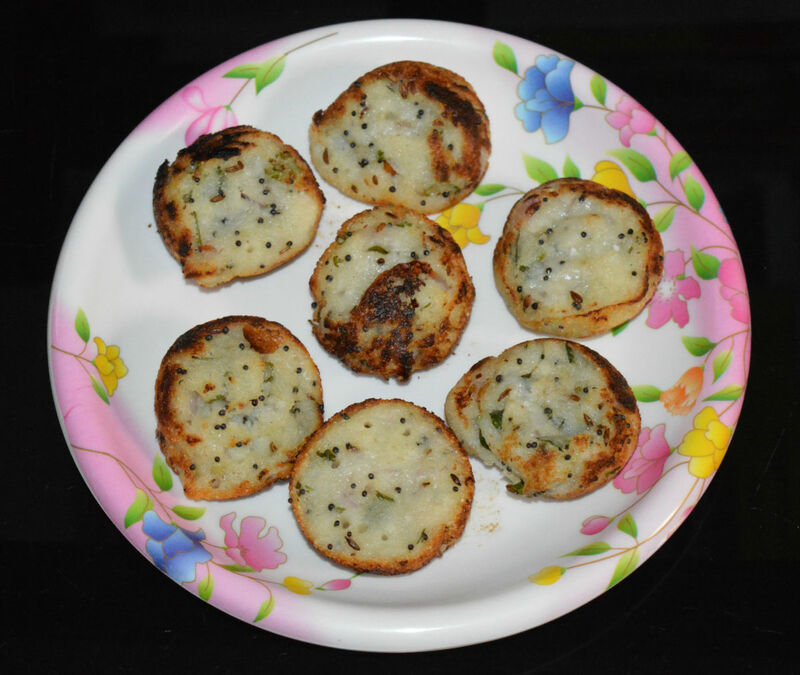 Rava paddu/guliyappa are very delicious breakfast snacks. Try this recipe. Eating carrots has many health benefits. They are good source of antioxidants. Carrots' health benefits mostly come from the beta-carotene and fiber in them. This is a tasty side dish. 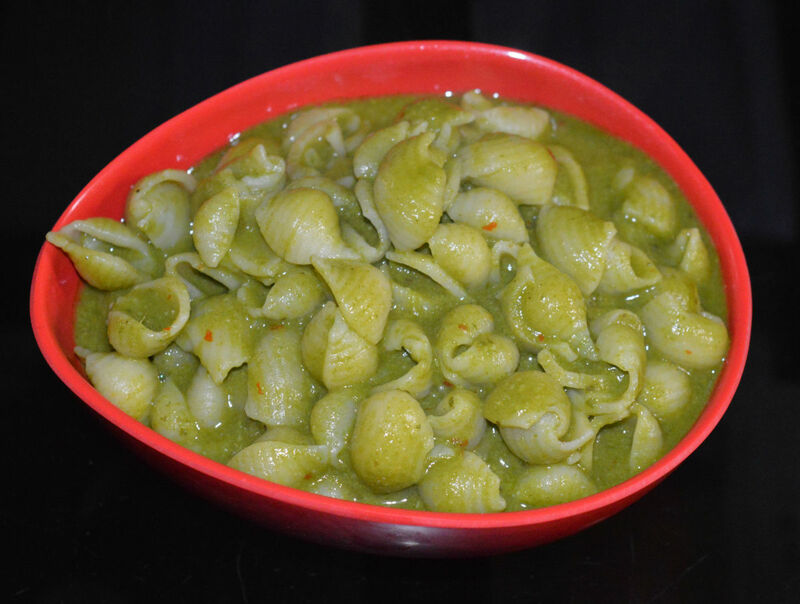 This green pasta is very flavorful, creamy, and comforting. I used mostly all-natural ingredients in this recipe. The outcome was fantastic. Fresh basil adds a unique aroma to this vegan pasta. This pickled lemon recipe is one of my best recipes. Its sharp sourness and hotness make it a favorite of many. You can eat this immediately, and it's oil-free. Try it! Cucumbers have many health benefits. They hydrate and cool down your body, and help flush out toxins. This crunchy, delightful, and soothing German cucumber salad is high in nutrients. 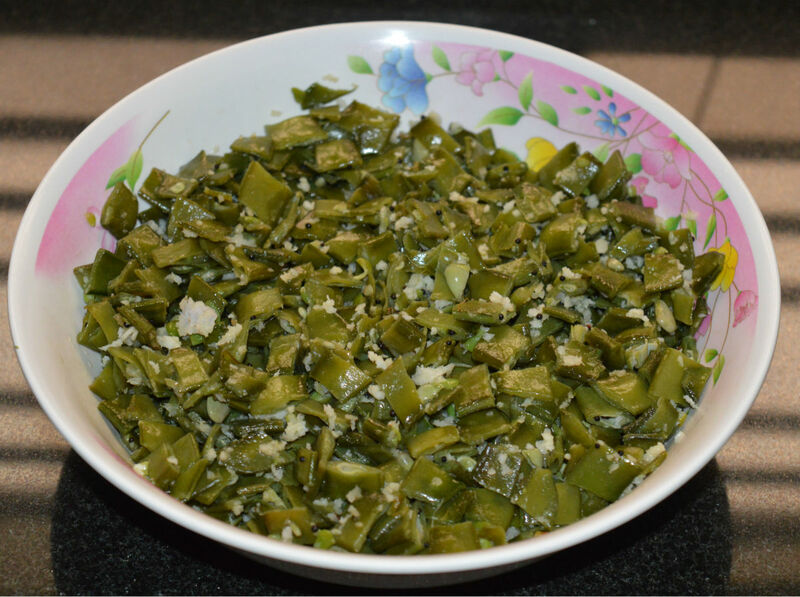 Green chilies are a great to boost your immune system. They are loaded with vitamin C and beta-carotene. These bite-sized condiments are very tempting. It spices up any meal. Try this easy recipe! Mung beans (green gram) are good source of nutrients, including B vitamins, protein, starch, dietary fiber, and minerals. 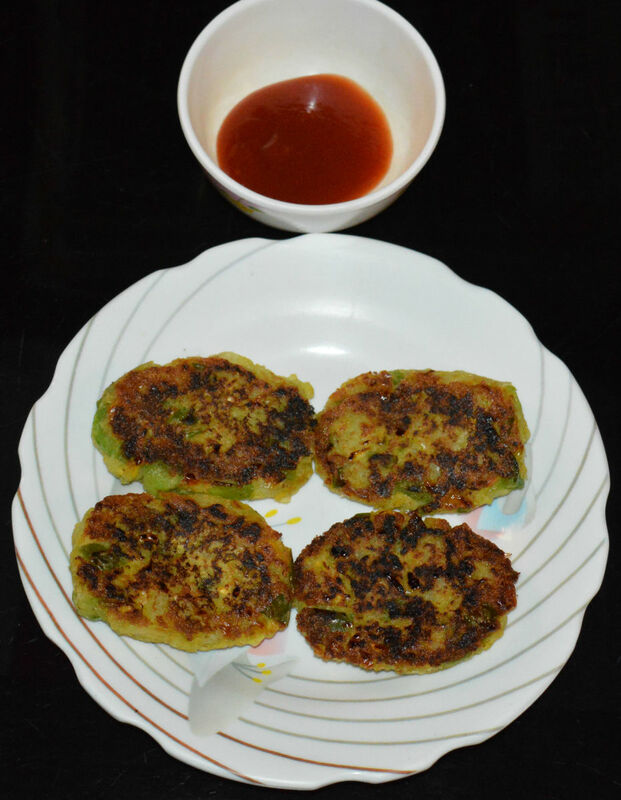 These mung bean pancakes are spicy, delicious, and filling. Eggplant (brinjal) is a multi-purpose vegetable. You can make many spicy dishes with them. Vangi bath, or eggplant rice, is an easy main course dish made with rice, eggplant, and spices. 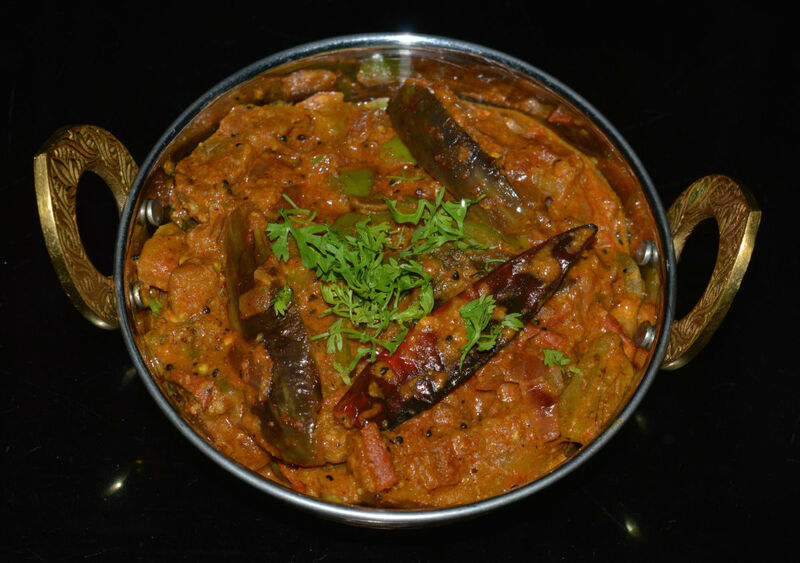 Spicy eggplant curry goes well with roti, flatbread, rice or chapati. This is similar to Sri Lankan eggplant curry, but I have replaced coconut milk with roasted peanuts. This curry is awesome! Green tomatoes are high in antioxidants, fiber, vitamins, and protein. They are tangy. Spices blend nicely with this vegetable, resulting in a very delicious and spicy side dish. Protein pancakes are made of white lentils. They are called "abi bhakri (dodak)" in my local dialect. 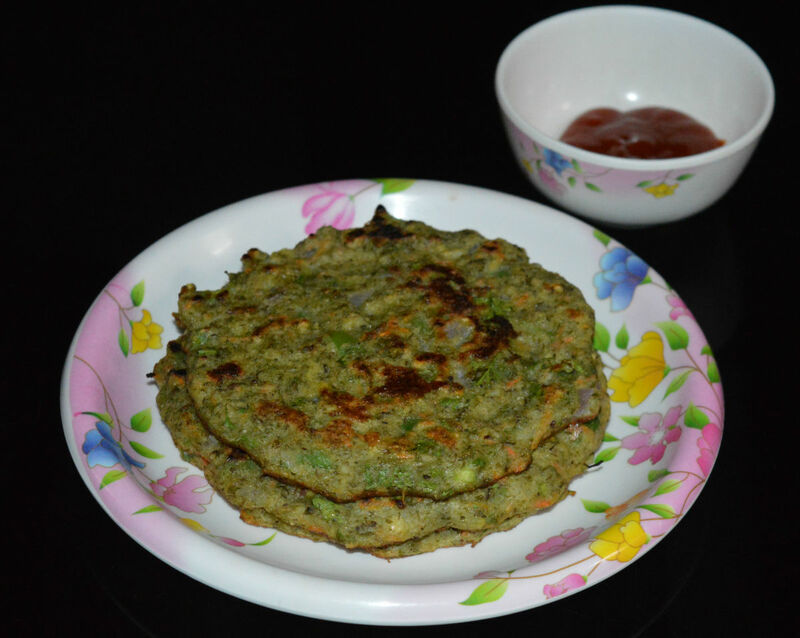 Freshly chopped coconut, green chilies, and ginger give a nice crunch to these lentil pancakes. 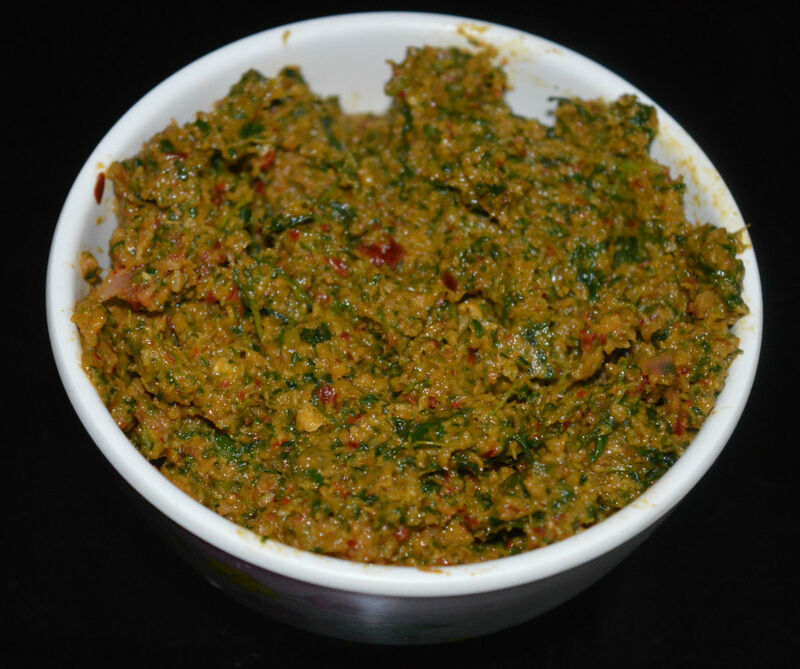 Fenugreek (methi) leaf contains many powerful nutrients, vitamins, iron, and minerals. The recipe I provide here is quick and easy. 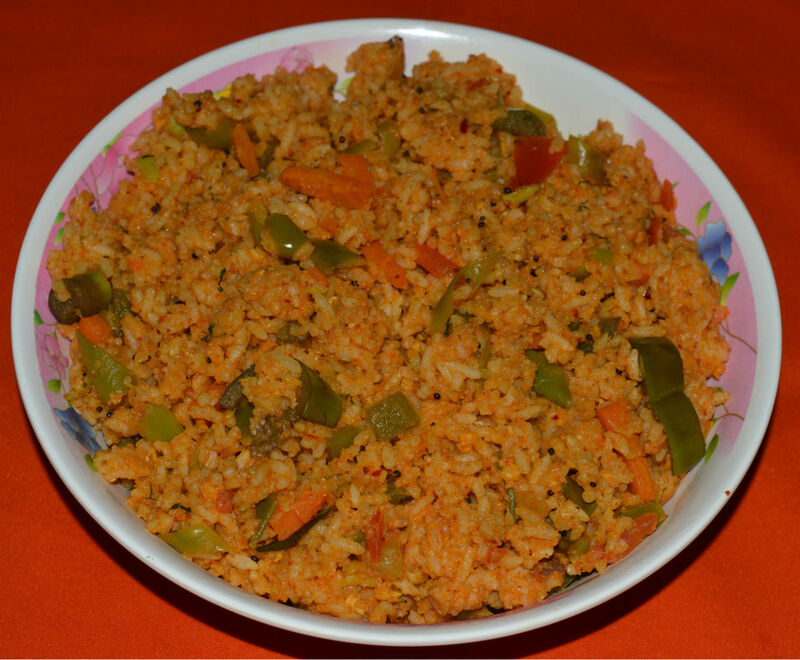 You can pack this spicy, aromatic rice in your lunch box too. Savory sweet potatoes are an awesome snack. They are cheap and delicious. Sweet potatoes are high in fiber, calcium, iron, vitamins, antioxidants, and minerals. Try this easy and yummy dish! Want to have a delicious and nutrient-rich starter? 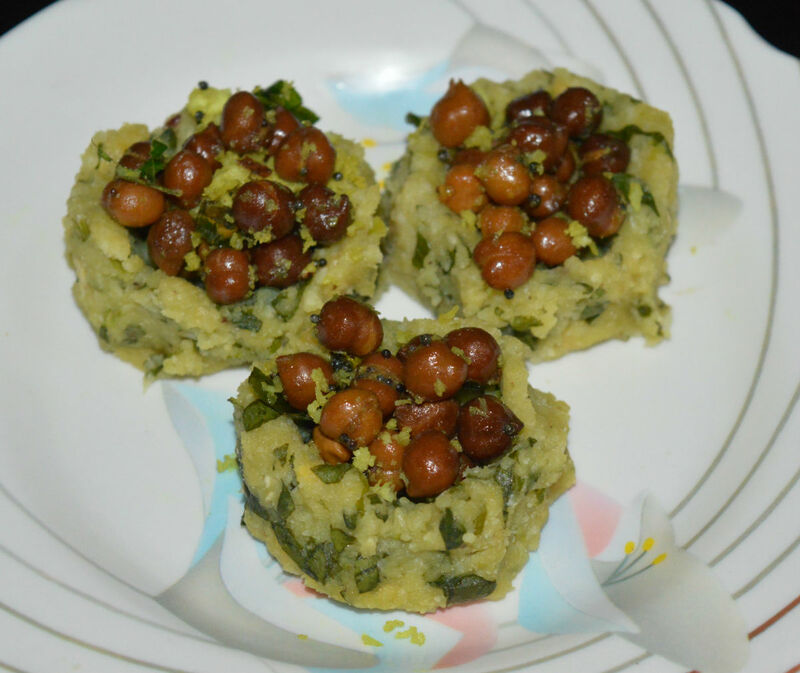 Choose split chickpea usli. It has all the nutrients you want. To make this, you have to mix the boiled split chickpeas with a spicy tempering. Bitter gourd is a wonderful vegetable that has many medicinal properties. Though a little bitter, the dishes made with it are truly delicious. Here's a method to make this curry less bitter. 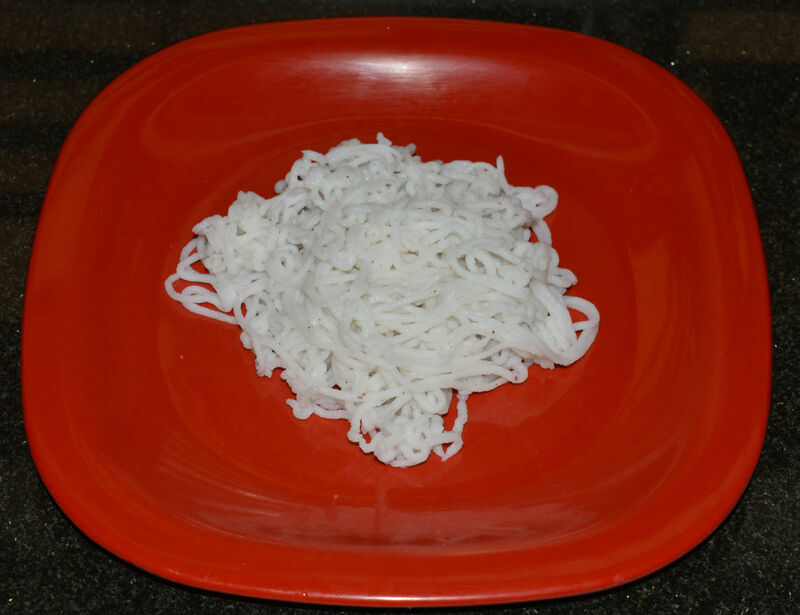 Idiyappam, or string hoppers, is a unique and tasty breakfast dish. They are versatile rice noodles, or sevai, that you can use in many ways. We make these noodles fresh with rice and coconut batter. Almond milk is a great energizing beverage. 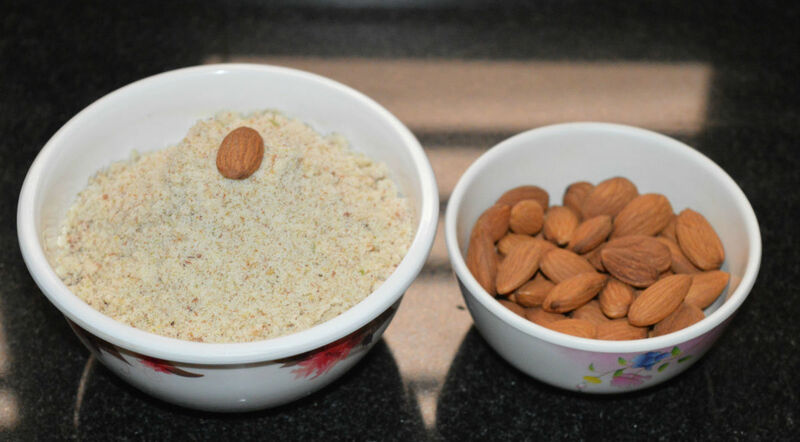 Store-bought badam milk powder contains very few almonds. So, make an easy, nutrient-dense almond milk powder at home and maintain good health. 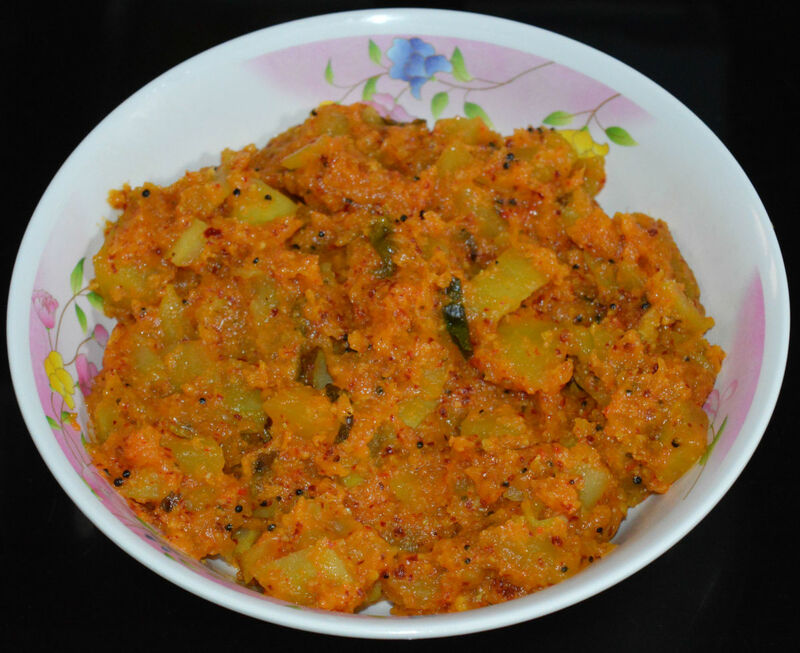 You can make a delicious chutney with ridge gourd peels. 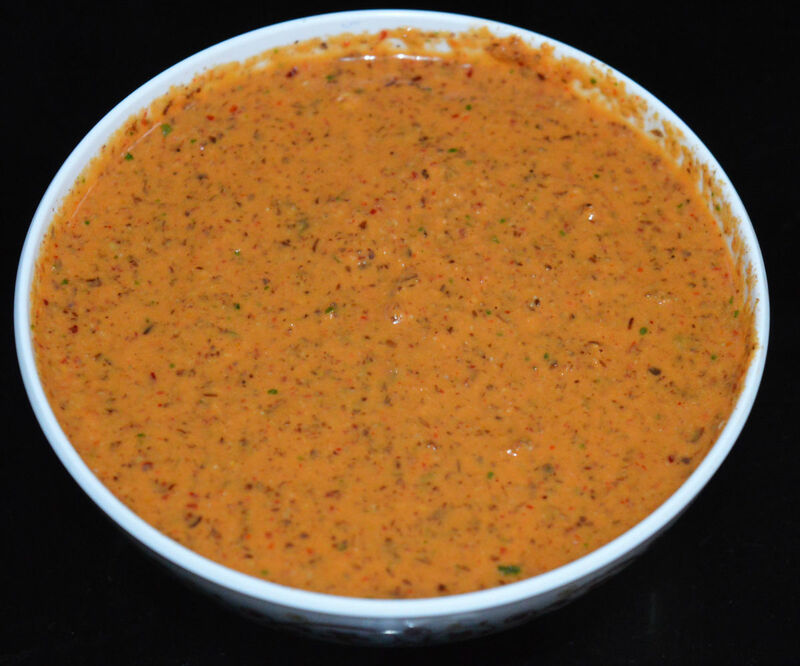 This chutney/sauce is very easy to make. 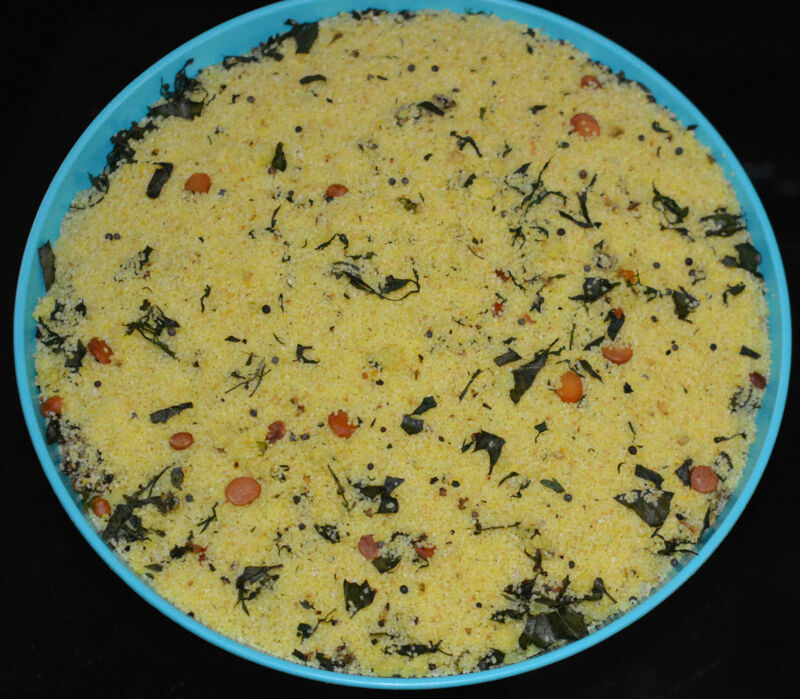 Pair this side dish with rice, idli, dosa, etc. 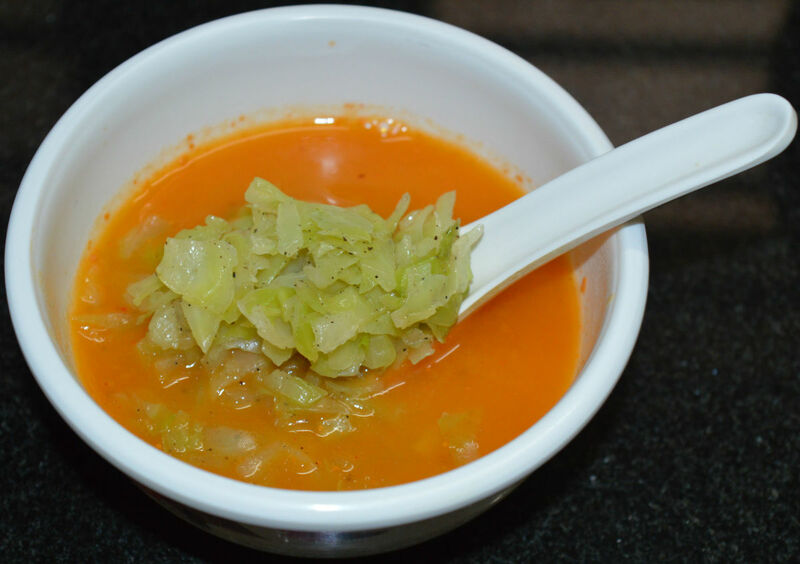 This is a step-by-step recipe for making a spicy, tangy, and hot vegetable soup. 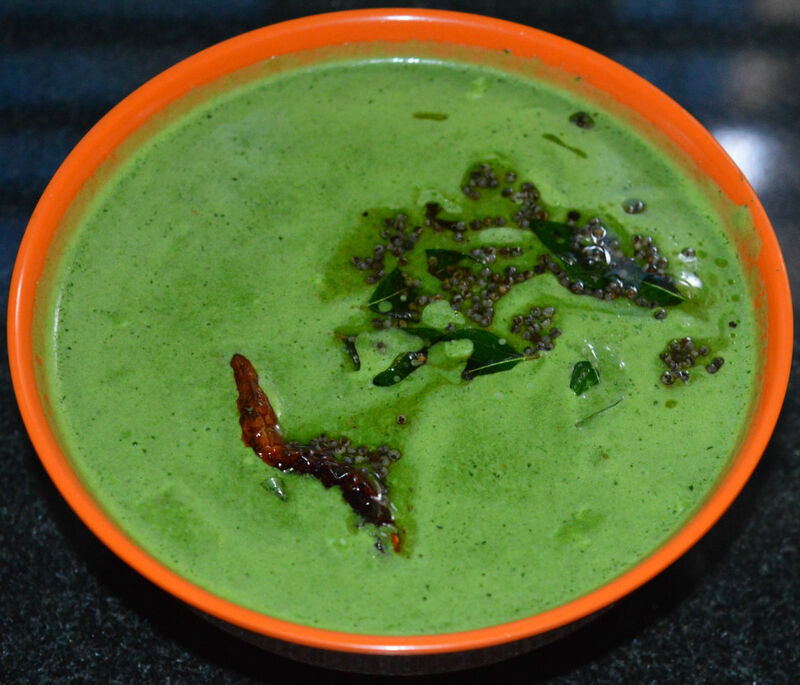 Make this comforting and warm soup on a cold evening, or sip this throat-clearing delight when you are sick! 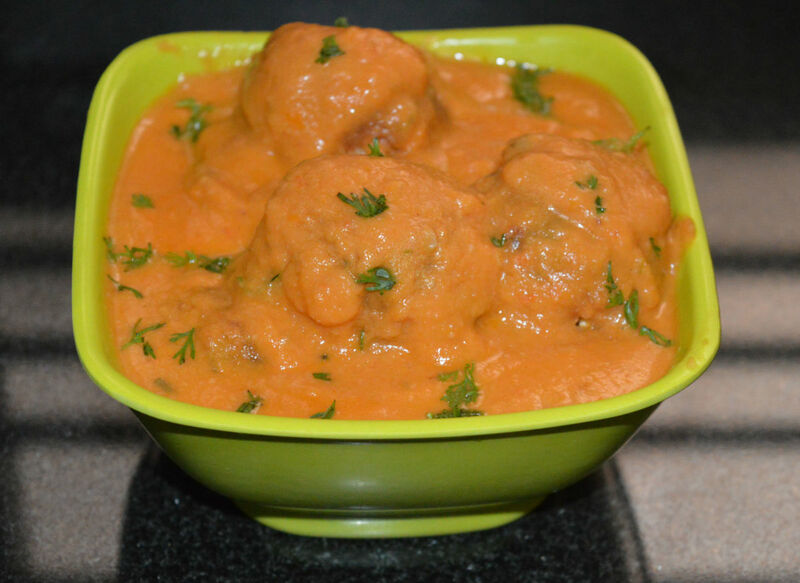 Cauliflower kofta curry is a spicy side dish made of seasoned cauliflower dumplings immersed in a rich, creamy, and spicy tomato gravy. 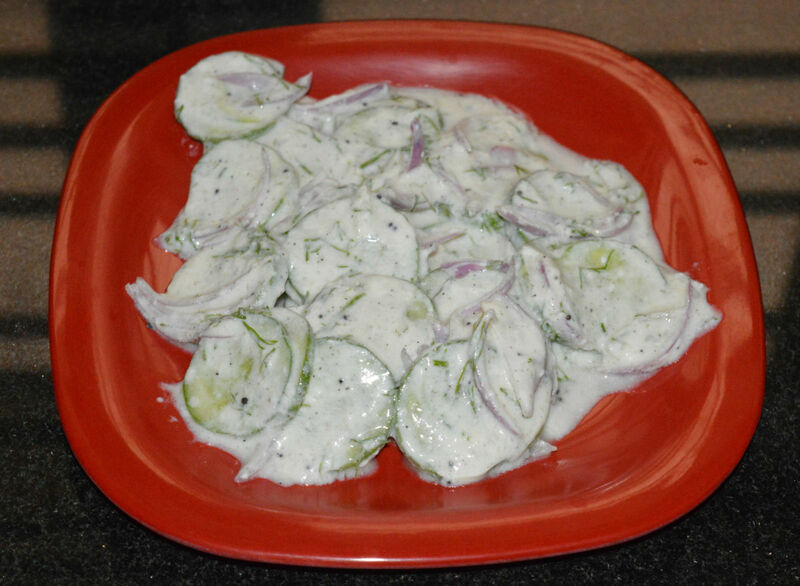 Enjoy eating flat breads with this mouthwatering side dish. Avocado contains antioxidants and healthy monounsaturated fatty acids. It's buttery texture has a good mouthfeel. This avocado rice is very delicious, creamy, a little tangy, and flavorful. Want to get a long, restful night of sleep? 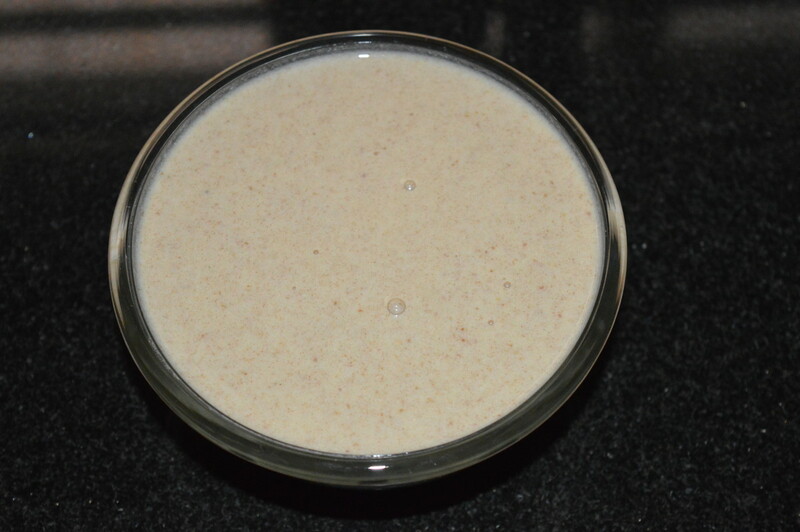 This payasam is not only healthy and tasty, it also induces sleep and makes you sleep deeply. Making this sweet drink is easy. Ridge gourd and fenugreek leaf make a good combination. This is a simple side dish made with a few ingredients. This curry goes very well with flatbread, roti, or rice. 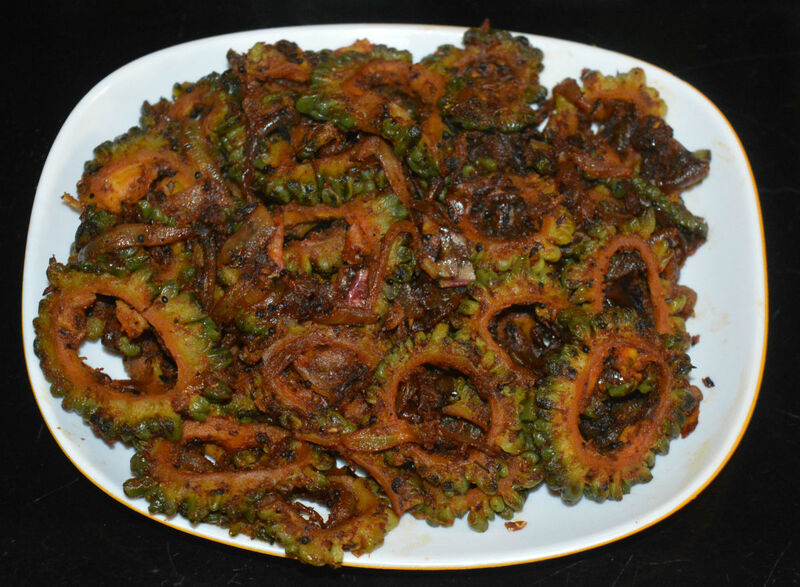 Try this awesome side dish! 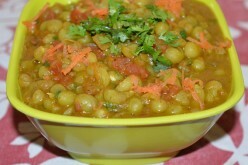 Also known as "toor dal mente baskets with a garbanzo bean salad," recipe is diabetic-friendly. These protein-rich lentil baskets contain lots of fiber and pair well with a nutrient-rich salad. Ginger and garlic are often used in cooking, especially in South Asia. 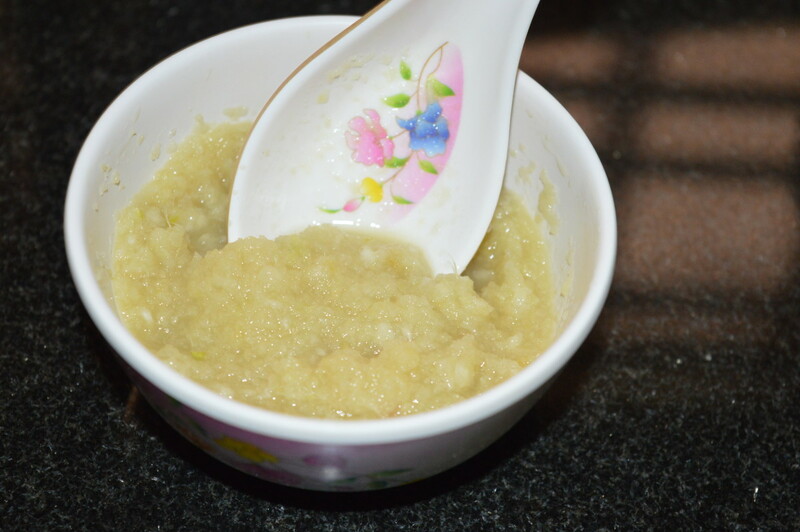 Instead of mincing a small quantity of ginger and garlic each time, make some ginger-garlic paste and refrigerate it. 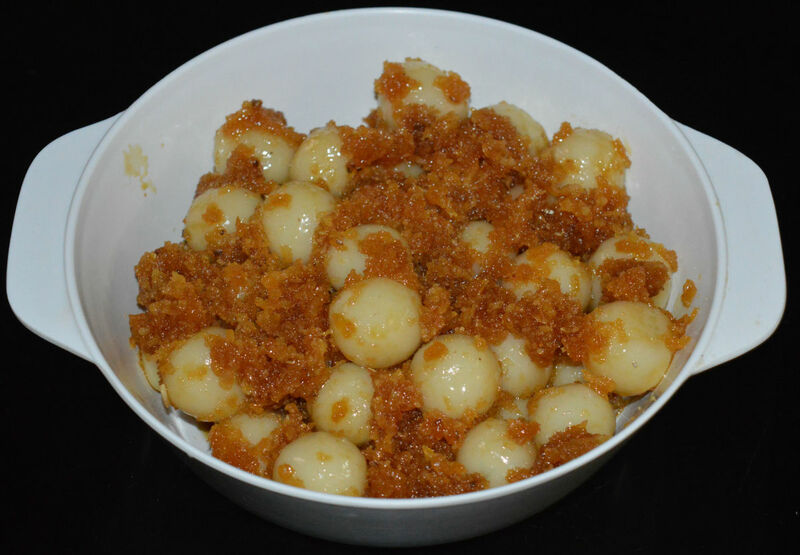 Curd vada is also known as "Dahi bhalla" in Northern India. This classic recipe has savory white lentil dumplings immersed in a creamy, flavorful, thick curd. Dunk the spoon in and enjoy! Long beans are delicious pods that we use extensively in cooking. They have a unique, delightful taste. They are a good source of vitamin A and minerals. Stir-fried long beans make an easy side dish. Make these pancakes in the morning and get the pleasure of eating a healthy and delicious breakfast. You just have to mix a few ingredients to make the batter. These take about 15 min to make. This is an easy and simple banana chip recipe. 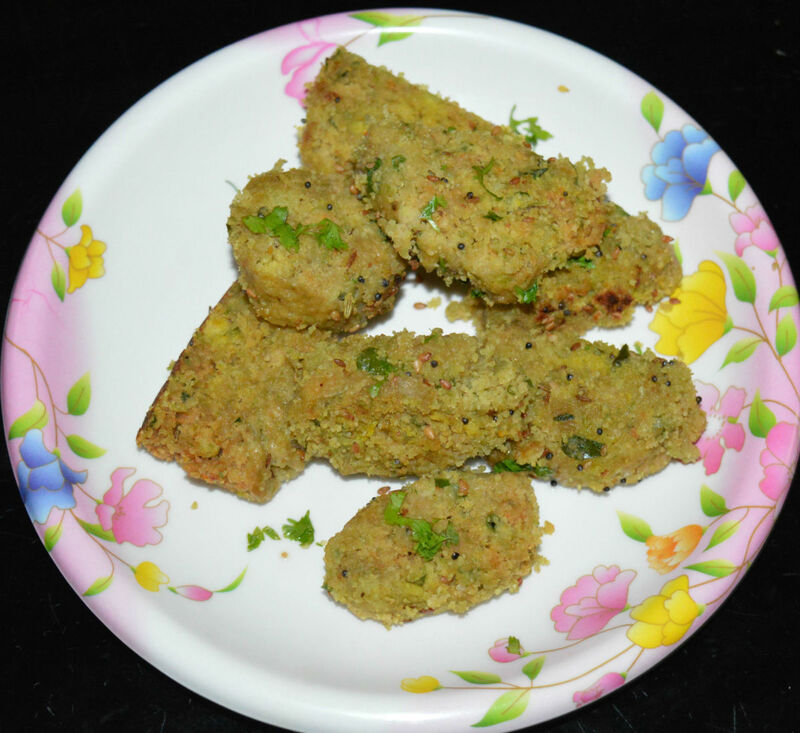 This scrumptious finger food is great to munch on with a cup of coffee or tea. They are the perfect snack for a rainy or wintry day. Tomatoes' health benefits can be attributed to their rich nutrients and vitamins. This tomato curry is spicy, tangy, and aromatic. You need only a few ingredients to make this simple side dish. Lemons are a known source of vitamin C, calcium, B-complex vitamins, iron, fiber, other nutrients, and minerals. Lemon rice is an easy way of including them into your meal. 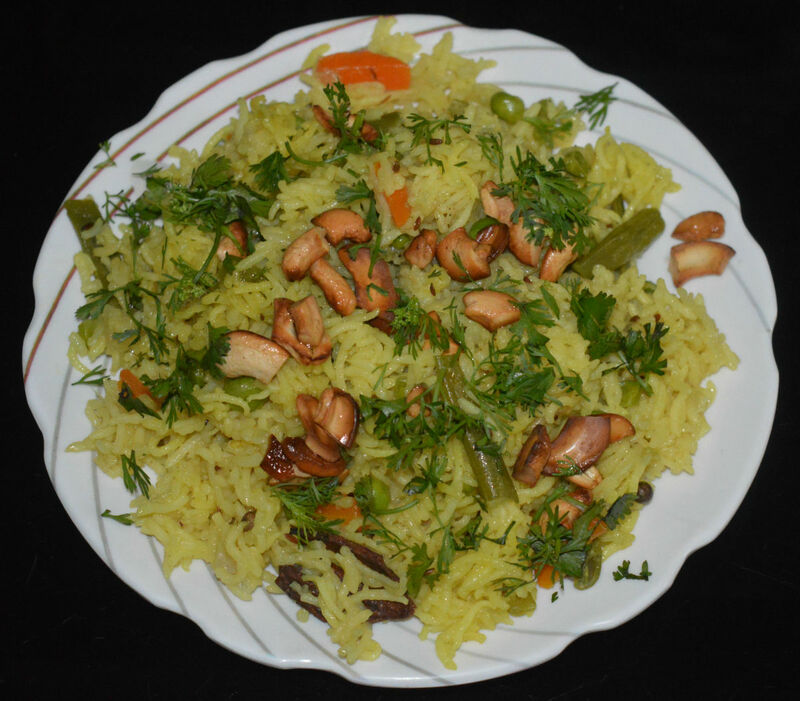 Try this yummy, tangy rice! A glass of almond milk in the morning is an energizer for the whole day. I sweetened this with dates. 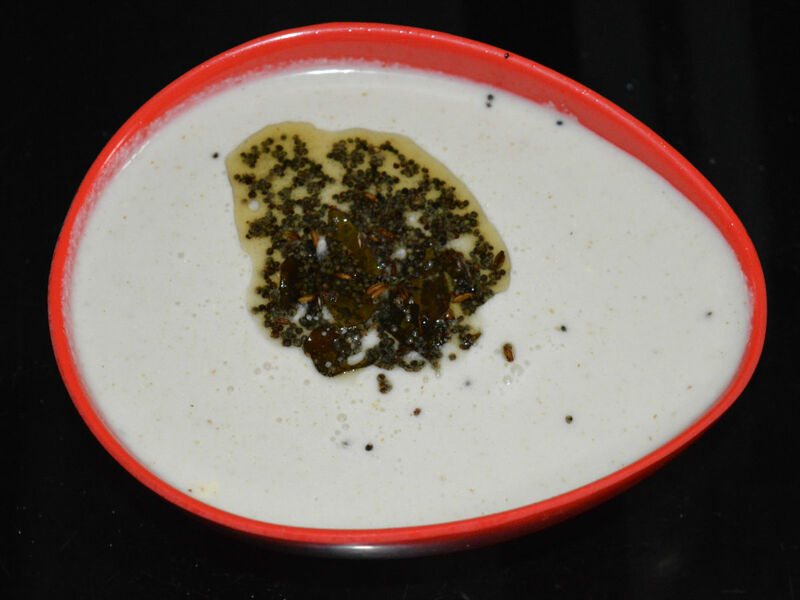 This yummy beverage is made of milk, almonds, poppy seeds, and dates. All natural! 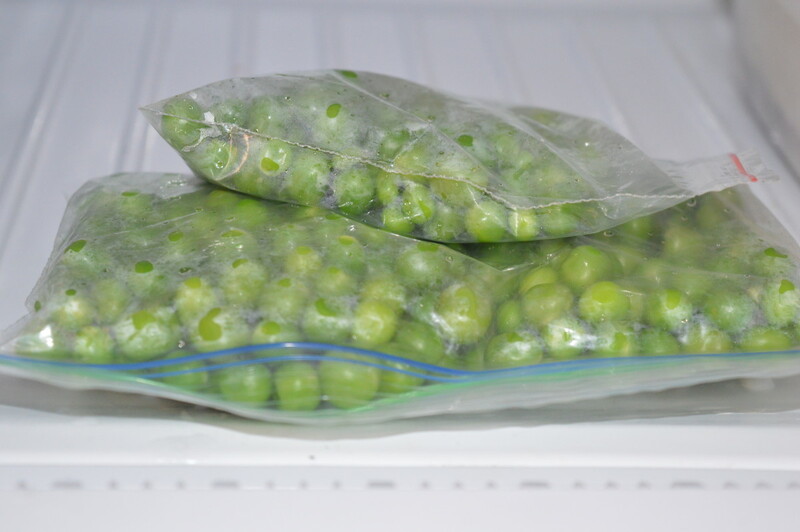 Green peas are a good source of dietary fiber and protein. They are cholesterol-free and contain little fat. When boiled and mixed with spices and veggies, they make a fantastic curry. Try this! Chaats are utterly irresistible snacks. There are many varieties. 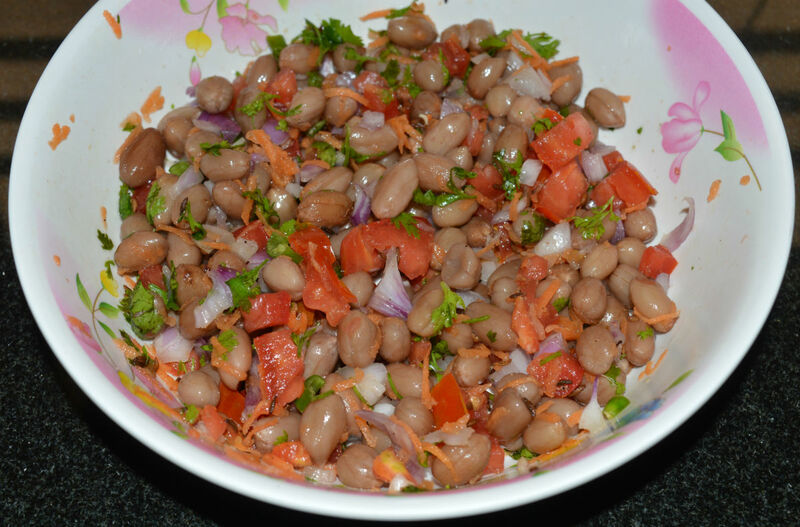 Here I share a quick and easy, mouthwatering peanut chaat. This tasty chaat is a good source of protein and fiber. 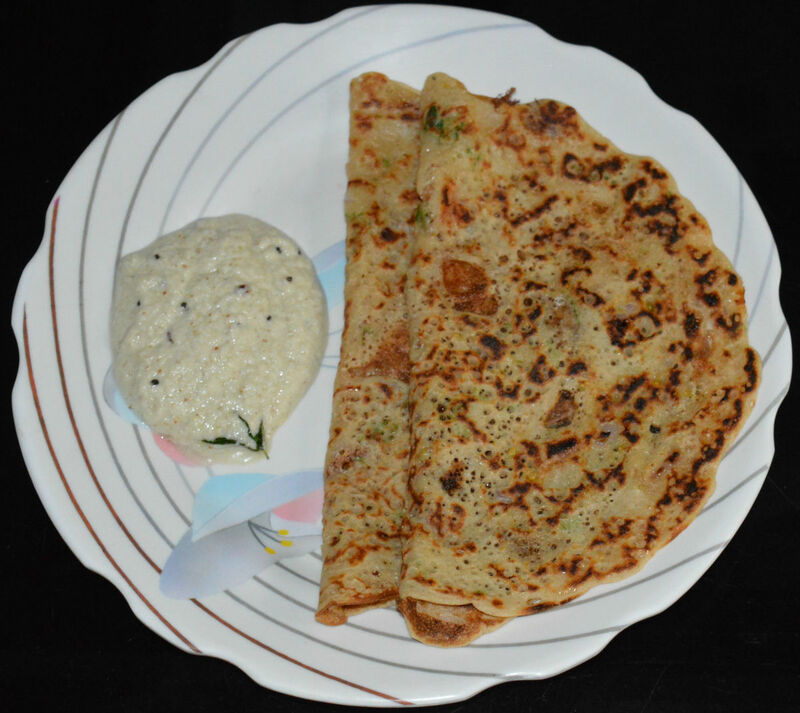 Thalipeeth are pancakes made with chickpea flour, wheat flour, or rice flour. You can also make them by combining all these flours, veggies, and spices. 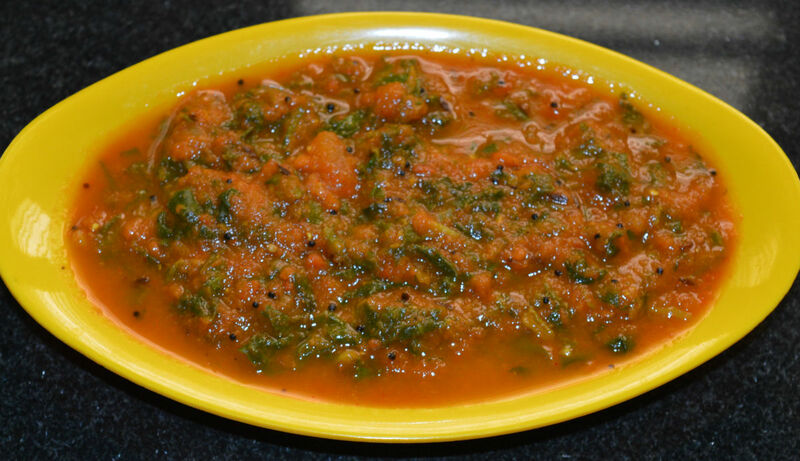 Spinach thalipeeth is very healthy & delicious. This is a very healthy breakfast that includes semolina, bread, yogurt, vegetables, corn, and green leaves. It took me about 20 minutes to make enough of these for two people. Mixed vegetable curry is my favorite. I like it because of the wide variety of veggies it's made of. 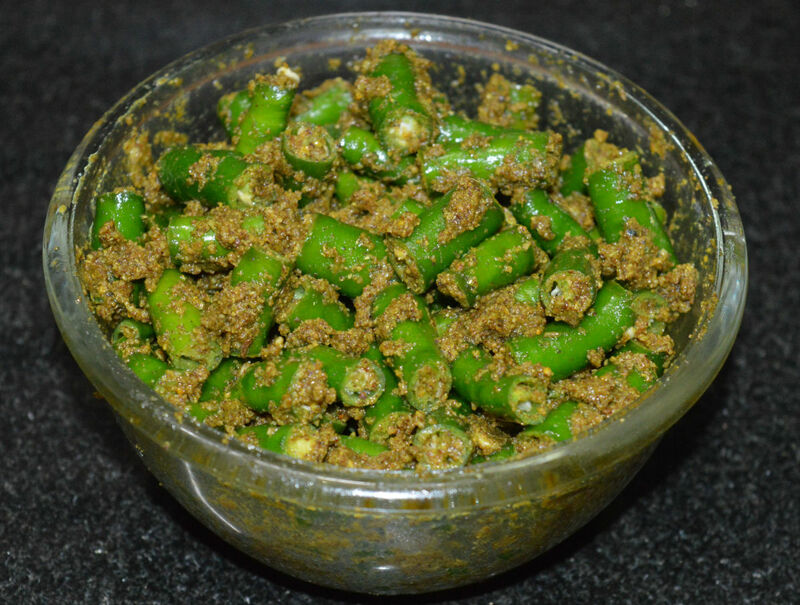 This side dish is flavored with fresh fenugreek leaves, garlic, spices, and ginger. 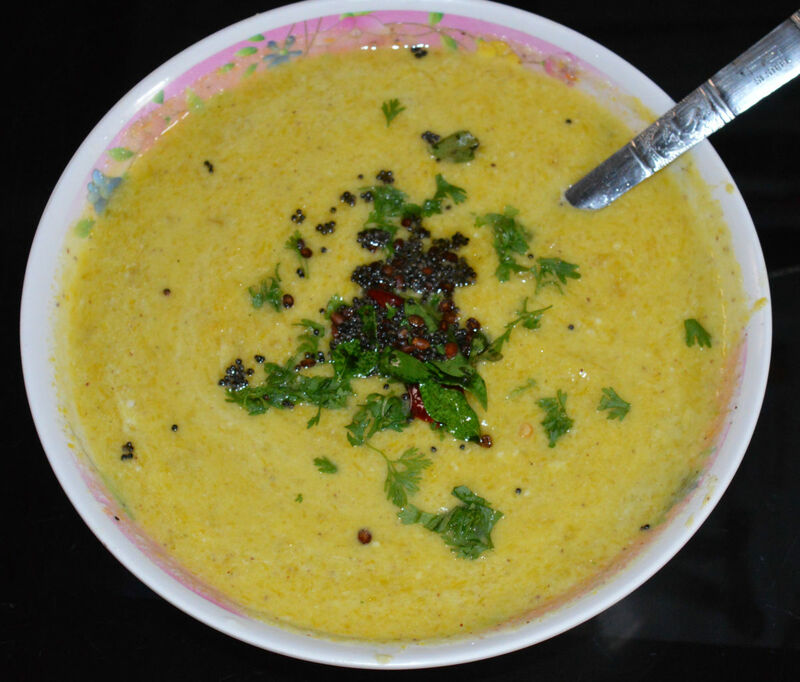 This hot 'n' spicy winter soup will lift your mood and keep you warm for the entire day. 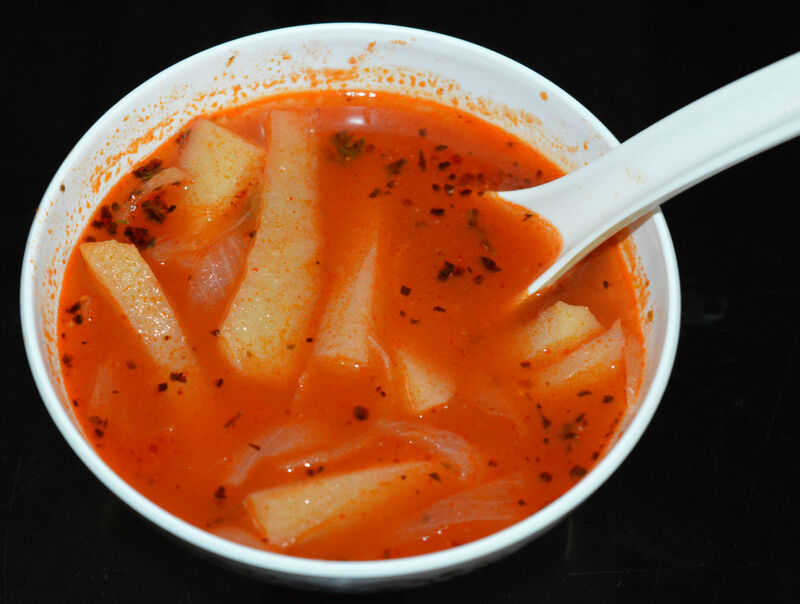 It is the puree of boiled carrots, ginger, apples, pepper, garlic, onions, and nutmeg, all sautéed with butter. You can make diamond cuts in two ways: either sweet and salty, or spicy. 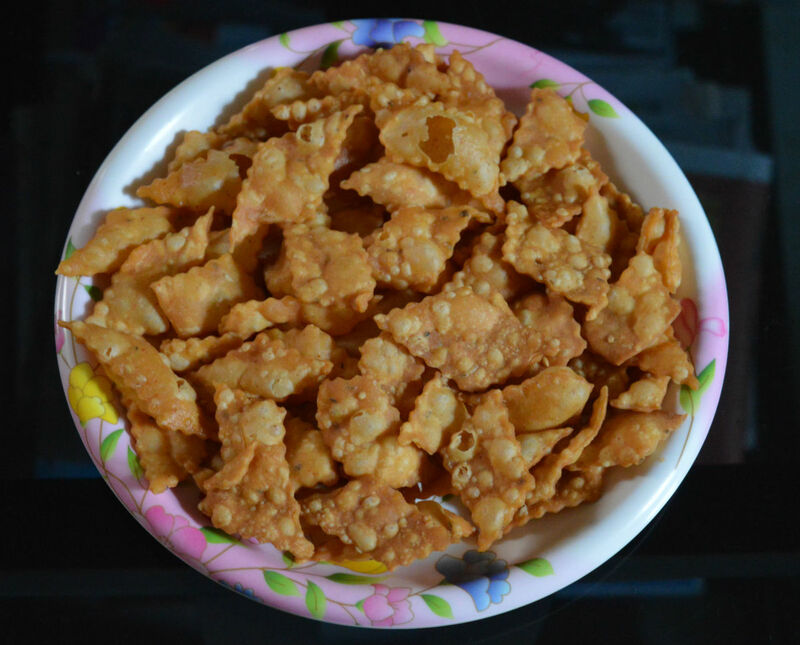 Spicy diamond cuts (khara shankarpali) are my favorite teatime snack. They are very crispy, colorful, and delicious. 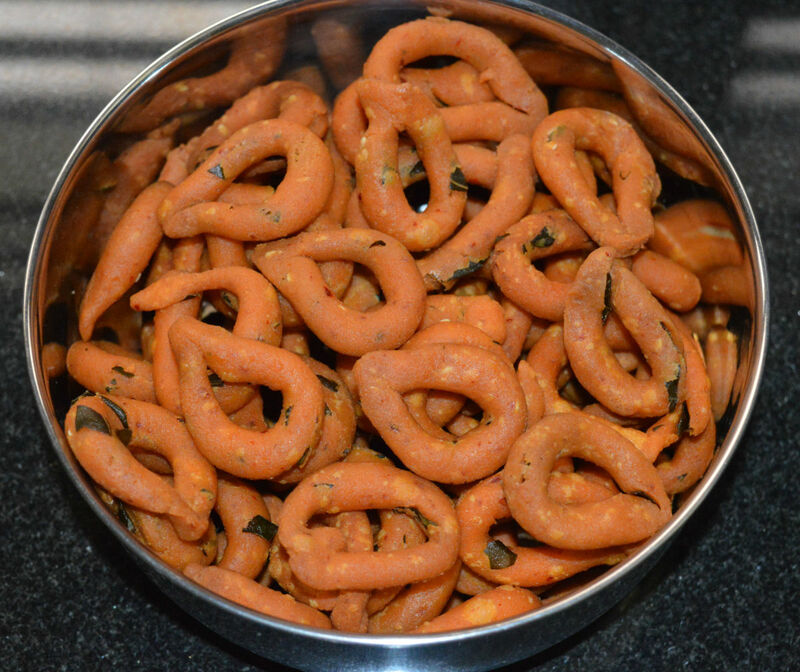 Kodubale is a signature Indian snack of the Karnataka region. They are deep-fried snacks made of rice flour, coconut, and the spices. Enjoy eating these super crunchy, delicious, and aromatic rings. Avocados are miracle fruits that are very nutritious. 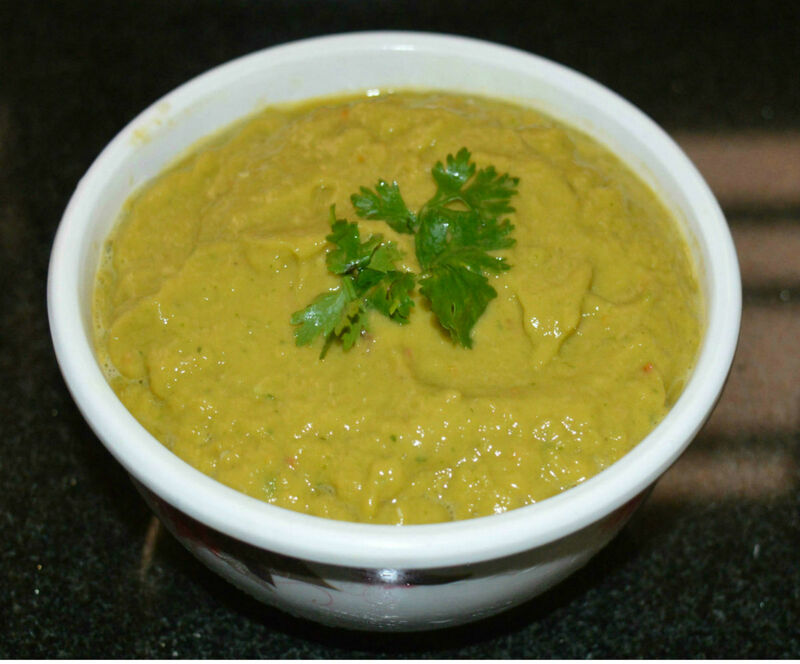 For making avocado chutney, grind its flesh with onion, tomato, coriander leaves, salt, and lemon juice. 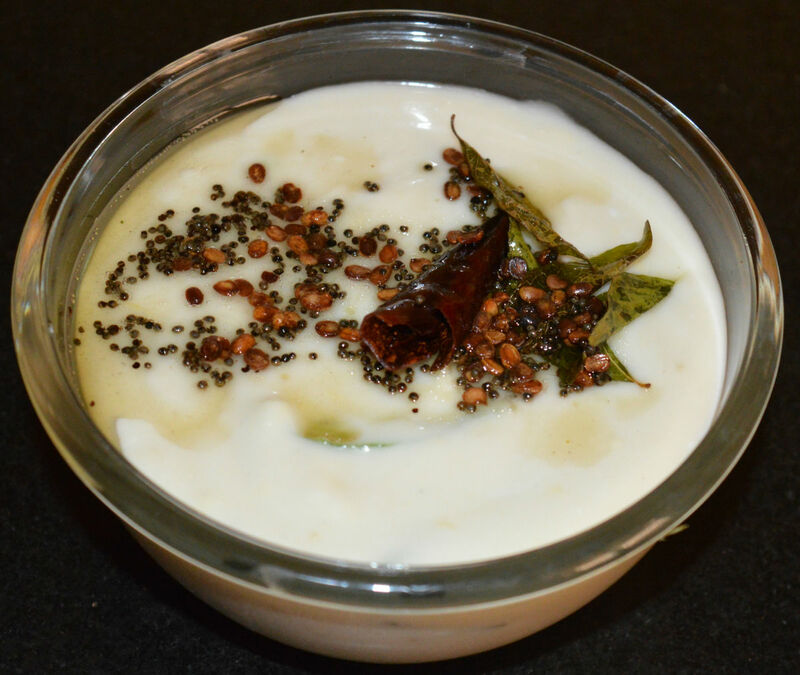 Make this creamy chutney in 10 minutes! There are a few scrumptious snacks that can be made in a jiffy. Masala peanuts is one among them. You can make a bowl of these appetizing and crunchy peanuts in about 15 minutes. Just give a try! These are yummy snacks that you can make in a jiffy. Roasted bananas are crispy and spicy. They are the best accompaniments for any meal. You need only a few ingredients to make this appetizing dish. Not only is bottle gourd delicious, it's healthy, too. 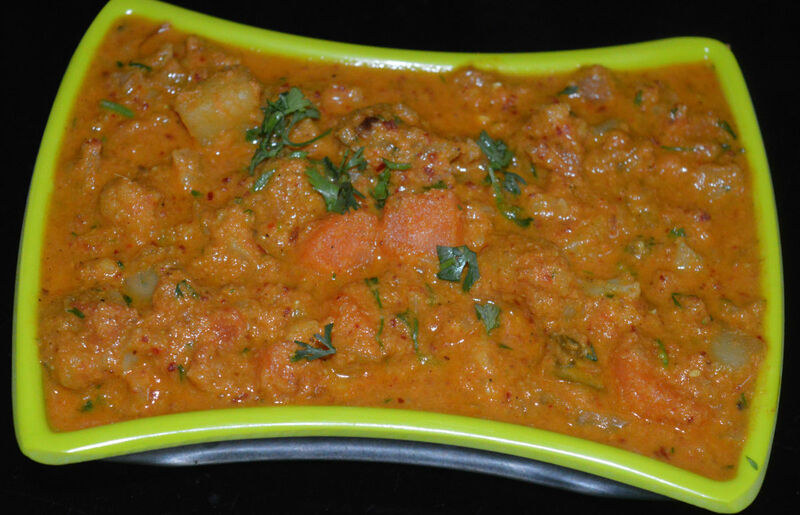 You can make this awesome bottle gourd dry masala curry in just 30 minutes. Serve it as a side dish alongside chapati, roti, or flatbread of your choice. 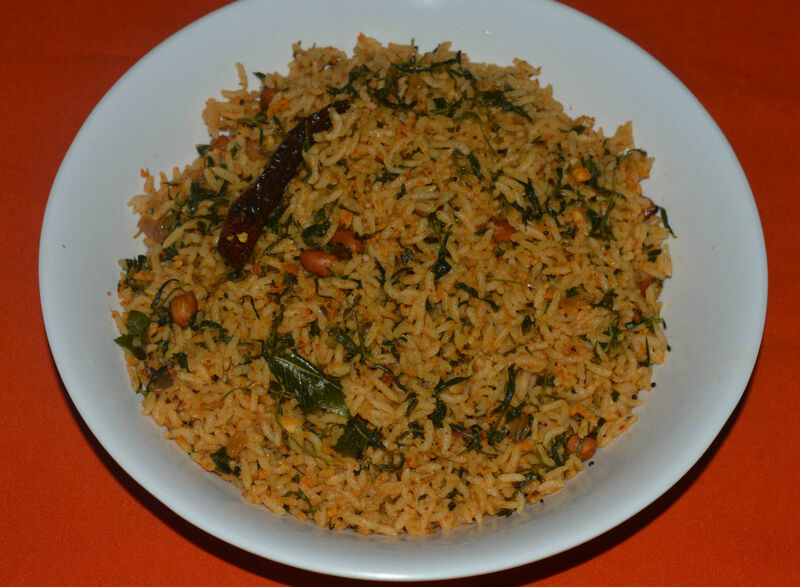 Puliyogare or tamarind rice is a popular South Indian dish. 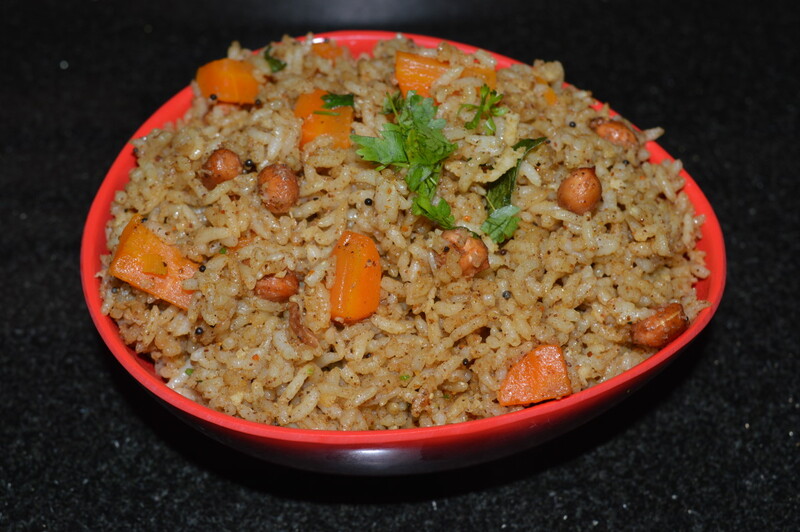 You can make this tangy and spicy rice bath in a jiffy using a ready puliyogare masala. 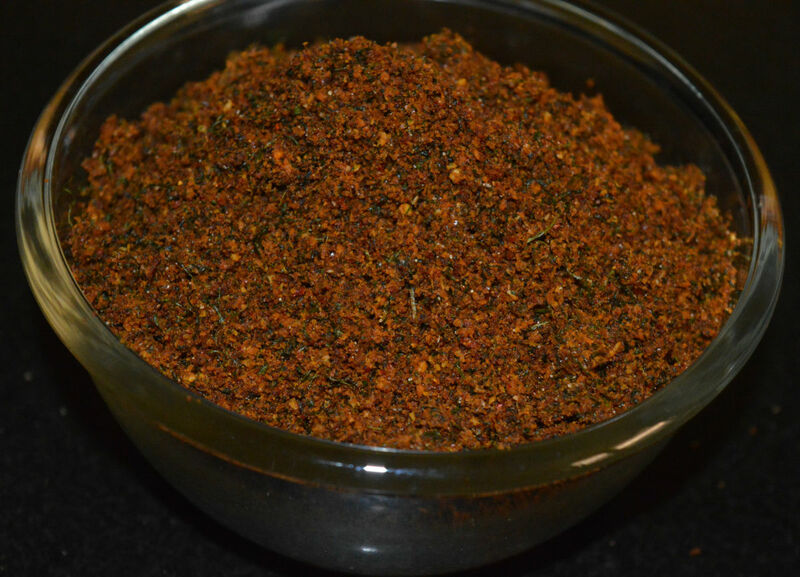 Buy this spice mix from your nearby Indian stores. Nowadays, I am obsessed with yellow pumpkins because of their health benefits. Their natural yellow color and soft texture attract me. 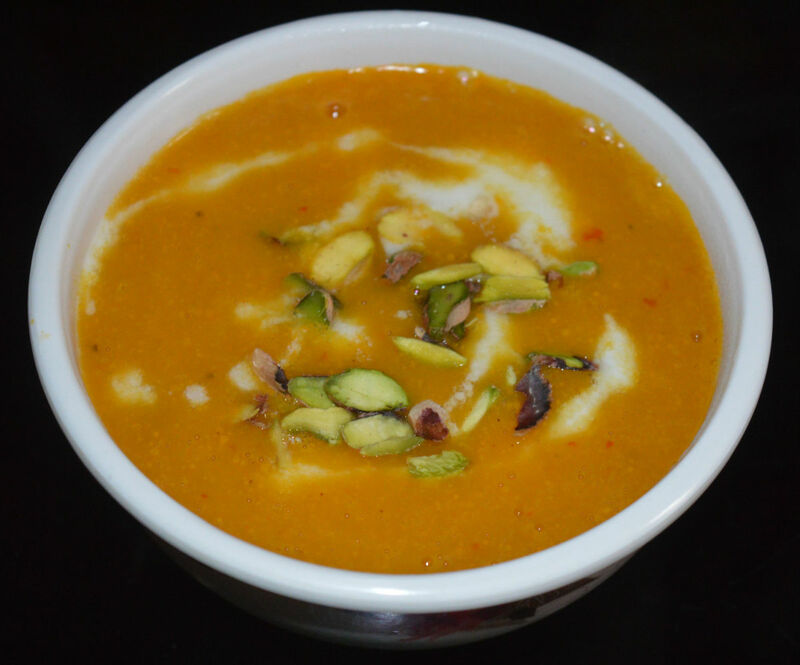 You can make this pumpkin raita in 12 minutes. 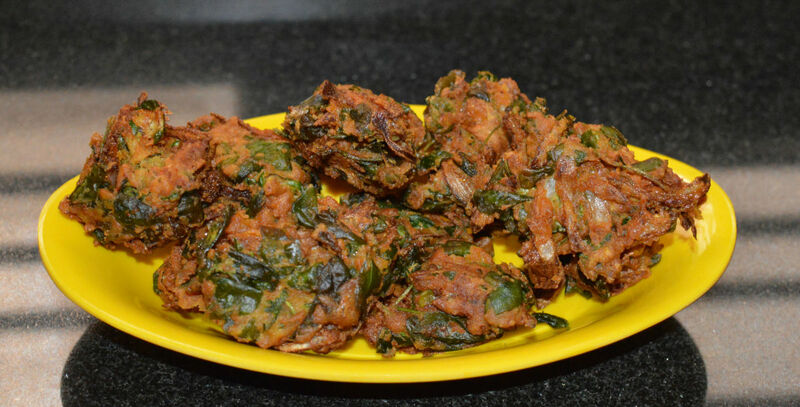 Methi pakora, or fenugreek fritters, are awesome gram flour snacks that are super crunchy and aromatic. This snack has all the benefits of fenugreek. Though a little bitter, they are truly appetizing. 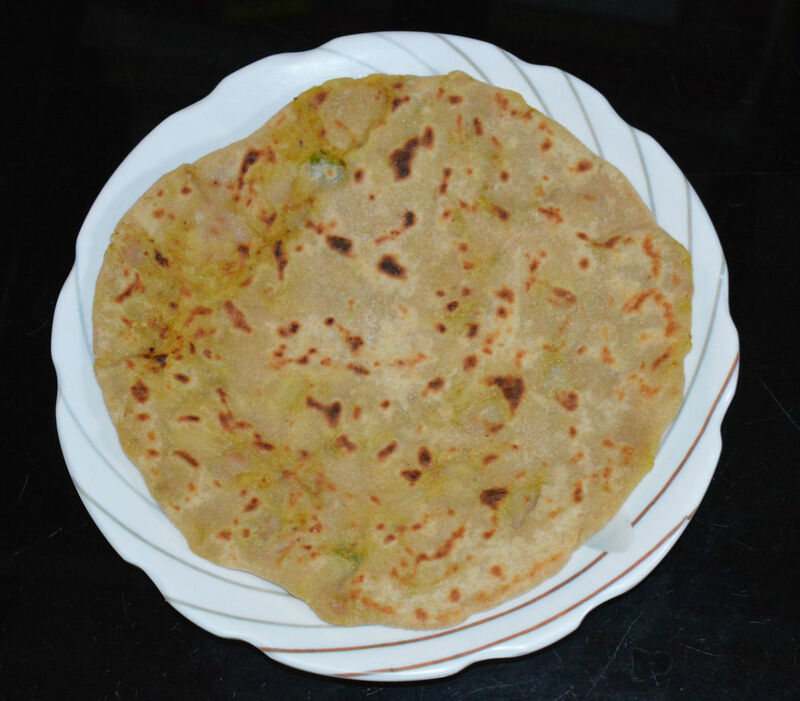 Yellow pumpkin paratha, or flatbread, is very delicious and aromatic. Though I had known about this recipe, I was unsure about how it would taste—until I made it at home yesterday morning. It was truly fantastic. 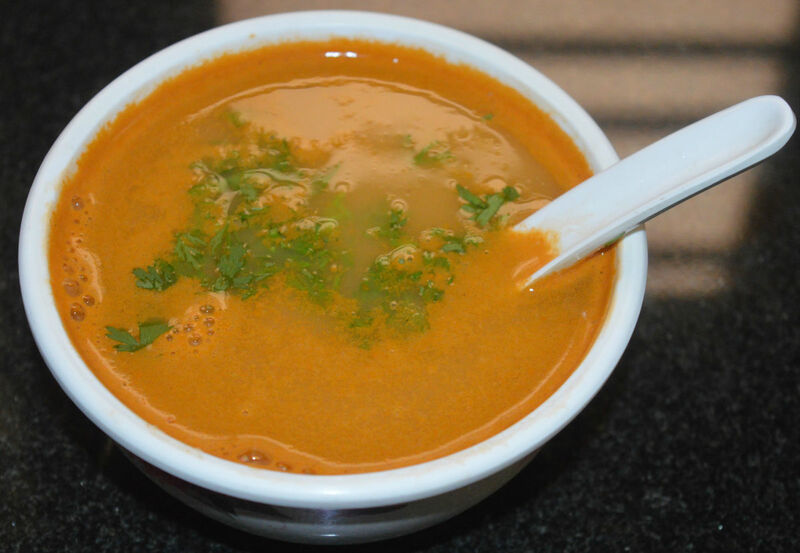 Restaurants serve many types of tomato soups. Often, they are either too sweet, too runny, or too spicy. 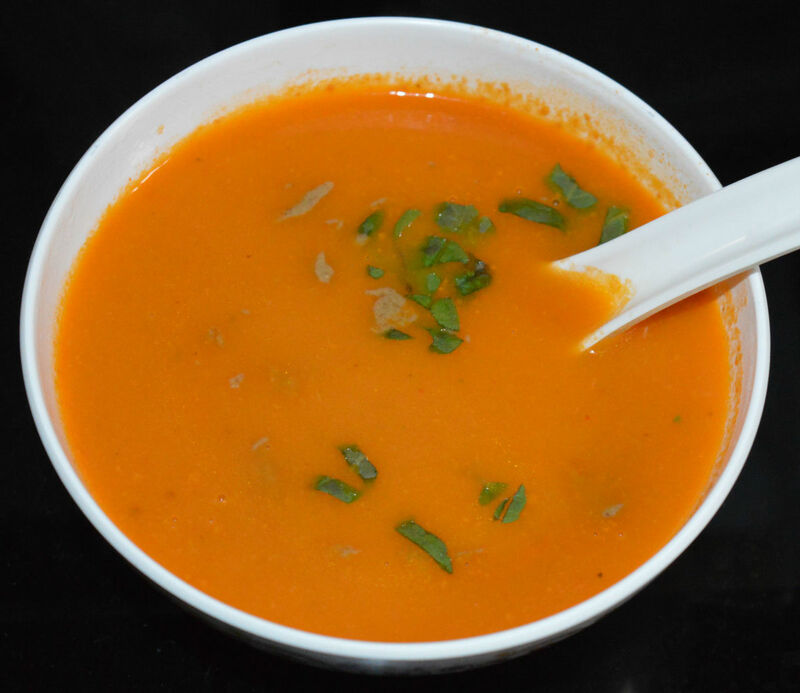 We rarely get a perfect tomato soup. This recipe is yummy, a classic, AND perfect. Try it! This is a traditional sweet corn recipe that is generally made during peak corn season. This snack is truly flavorful because of the crushed ginger and garlic. Try this!